Wednesday 5 July -The JULY NEWSLETTER, and the 'End of Season Sports Report - July 2017', have been uploaded and can be found under the 'News' tab, then 'Newsletters'. 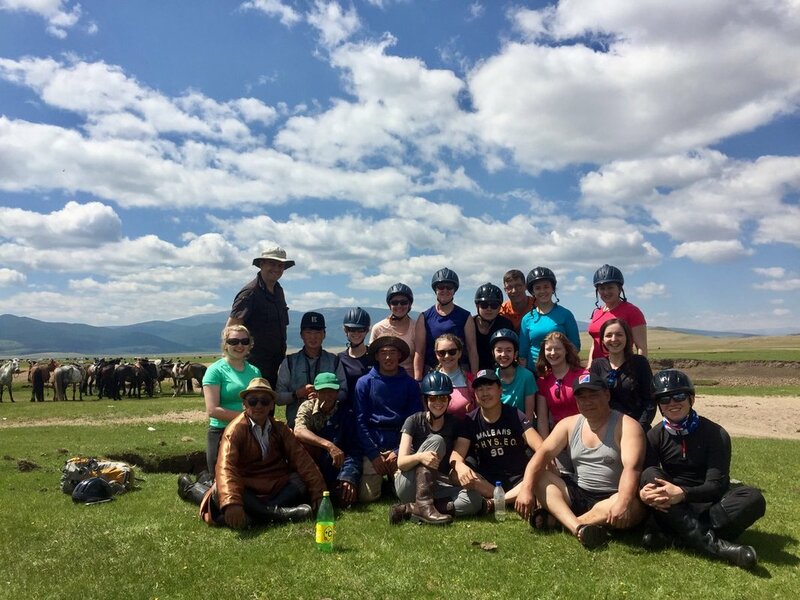 Tuesday 27 June - ......and Team 1 Mongolia have signal......they seem to have had an amazing time so far - Horse riding, wild camping, trekking and learning a lot about the Mongolian culture. Thanks Miss Badger for the update. 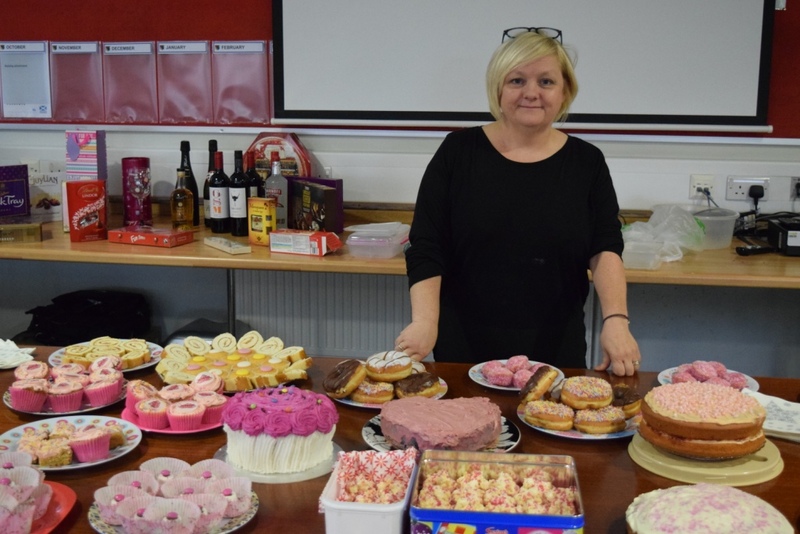 Thursday 22 June - An emotional day as some of the Bridge of Weir pupils say thank you to Head Teacher Mrs Vallance as she is retiring, next Wednesday. Yesterday was the P7 Valedictory Service, and today was a day of surprises - Flash Mob - and who knows what the next few days will bring. 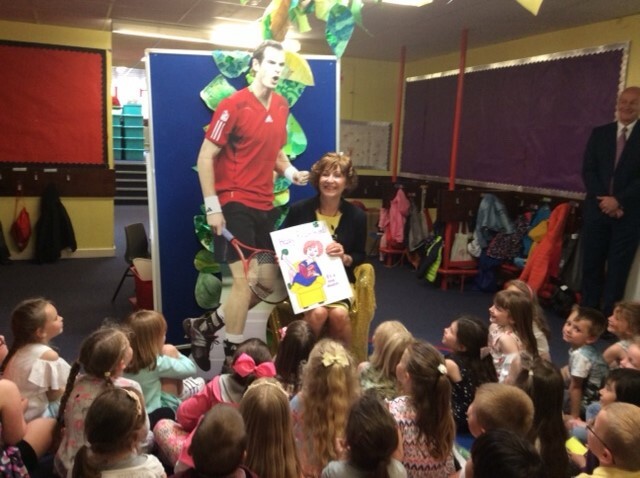 We wish Mrs Vallance all the very best in her retiral, good health and happiness. 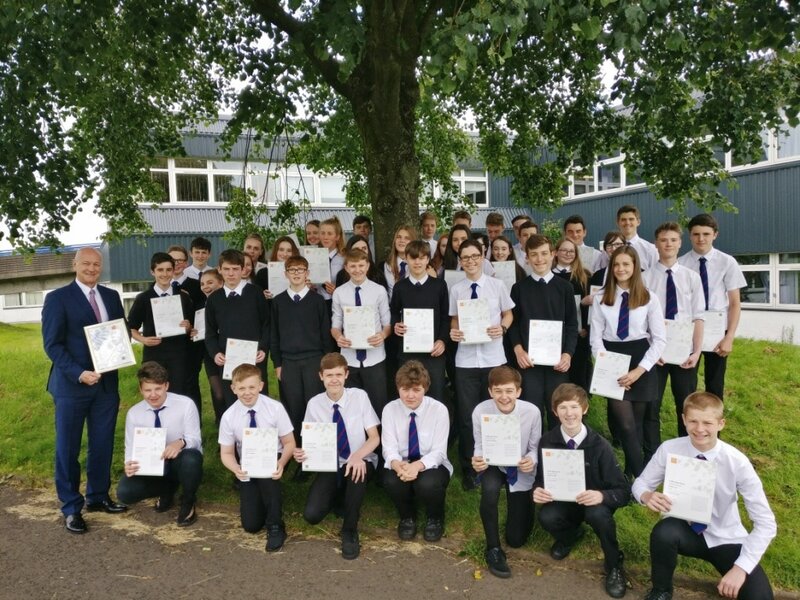 Thursday 22 June - Congratulations to 41 of our S3 (new S4) pupils studying Geography, who have been successful in achieving the Discovery Award from the John Muir Trust. More detail to follow in the July newsletter. 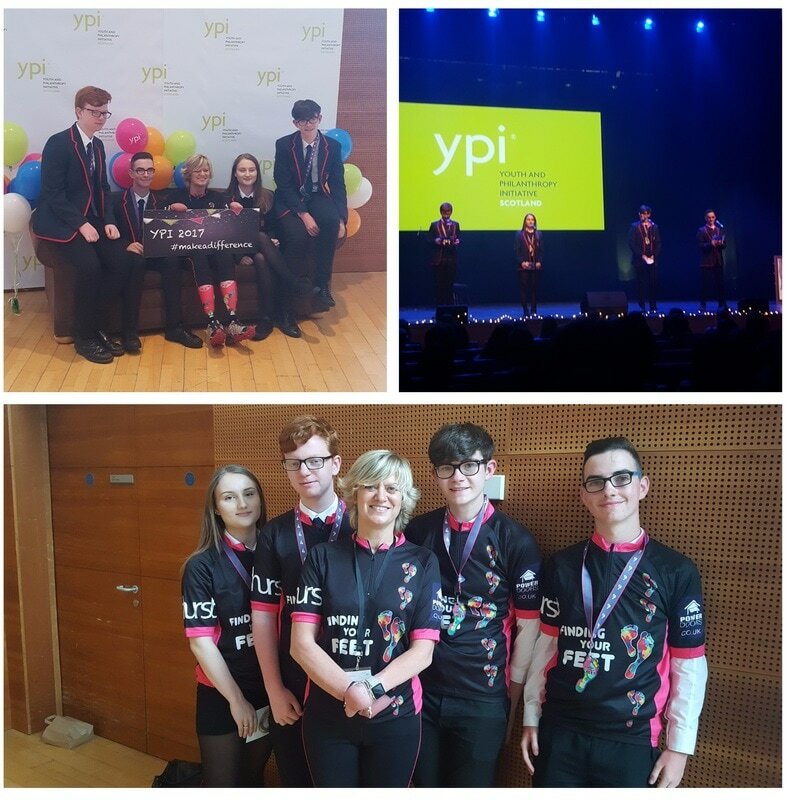 Wednesday 21 June - As a result of their dedication and commitment to the Youth and Philanthropy Initiative in S4, Ewan Robertson, Scott Blair, Lauren Lindsay and Samual Dickie represented Gryffe High School and Renfrewshire at the annual YPI National Event in Perth. They met with and introduced the founder of 'Finding Your Feet' charity, Corinne Hutton, on stage. 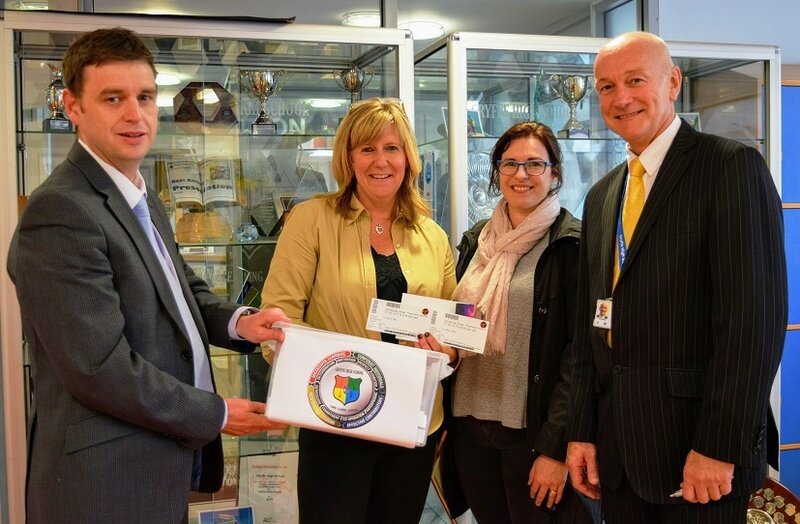 She spoke proudly to a packed auditorium of how the £3000 donation has greatly impacted on the lives of those in our community. 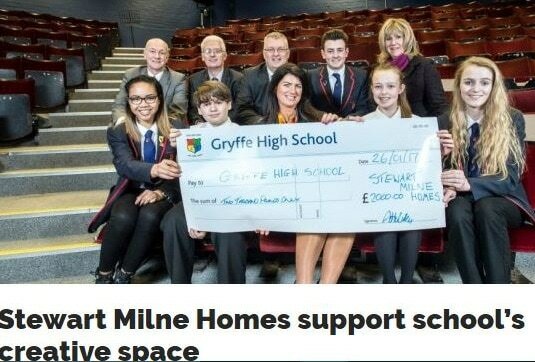 The pupils are a great inspiration for future years of philanthropic activity in Gryffe! Excellent work! 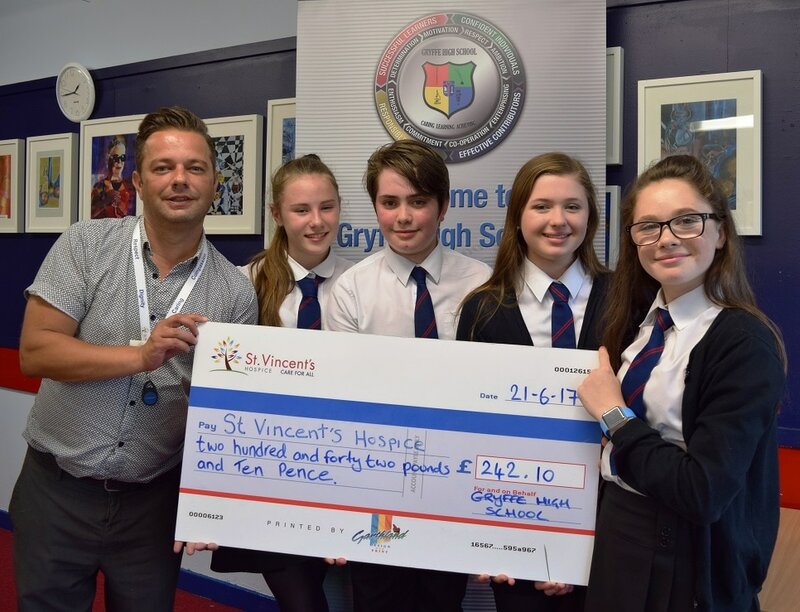 Wednesday 21 June - Louise, Rory, Olivia and Indeah are pictured here presenting a cheque to Mr. Paul McGregor who is a Fundraiser with St. Vincent's Hospice in Howwood. 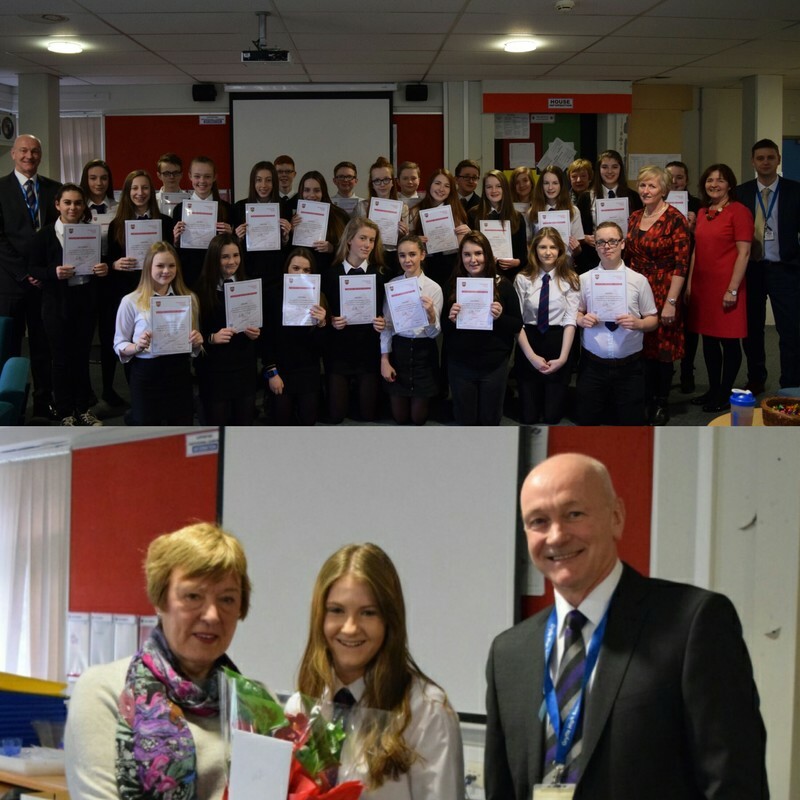 All S1 pupils took part in an enterprise project in ABC, where they personalised mugs and sold them to family members with the profits going to charity. 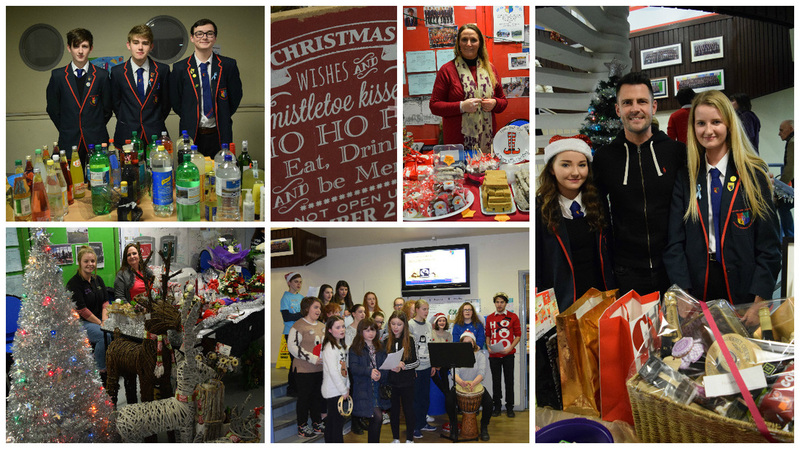 The pupils pictured were the 'best sellers' in the year and overall the year group raised £242.10. Very well done! 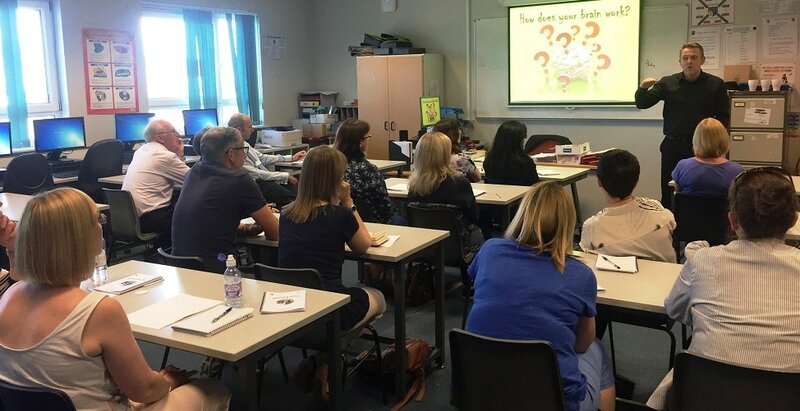 Tuesday 20 June - Last night was our first P7 Parents into Transition Programme and it was encouraging to have a good attendance of parents who attended classes in Literacy, Numeracy, Growth Mindset and Social Media. 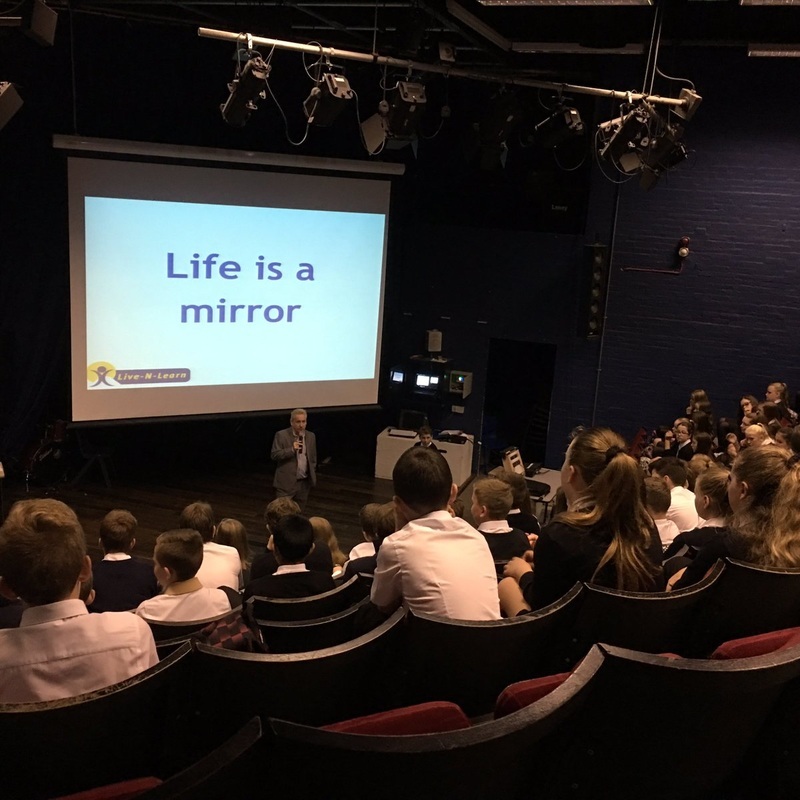 The concept of the event was to provide a series of workshops designed to help support pupils in their transition to High School. Mr Anderson and Ms Dhesi would like to thank all staff involved in making the night a success, our workshop providers and all of the parents who participated so enthusiastically. 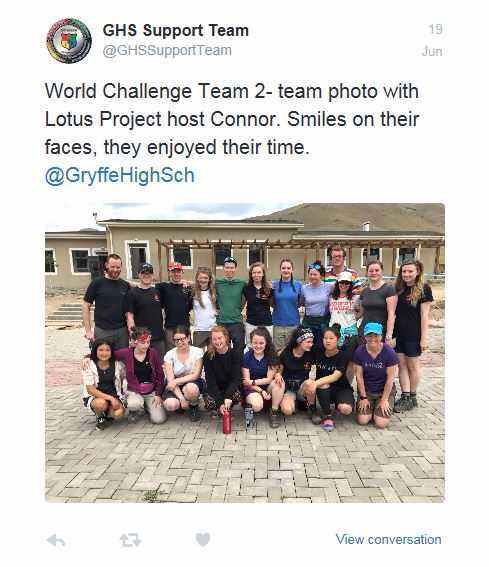 ​Monday 19 June - Great to hear from Mongolia - Team 2 have just completed their project in the Lotus Children's Centre. 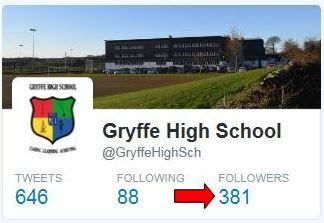 Follow @GryffeHighSch on Twitter for updates. 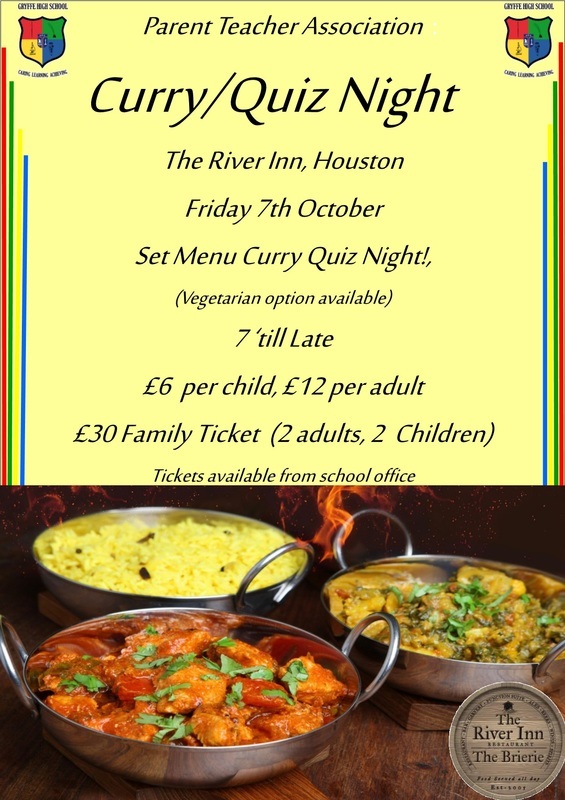 Many congratulations to all our winners and thank you to all who bought tickets and supported the school. We also drew the winner of the 200 Square Game, which raised a total of £100. A cash prize was won by Grey Surgenor. Well done! 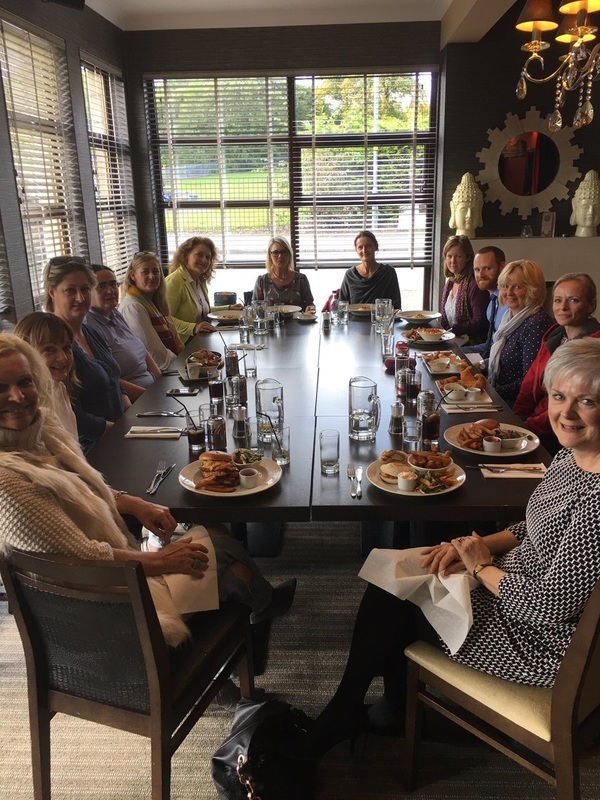 Our thanks go to the PTA Members for their tremendous efforts all year round. 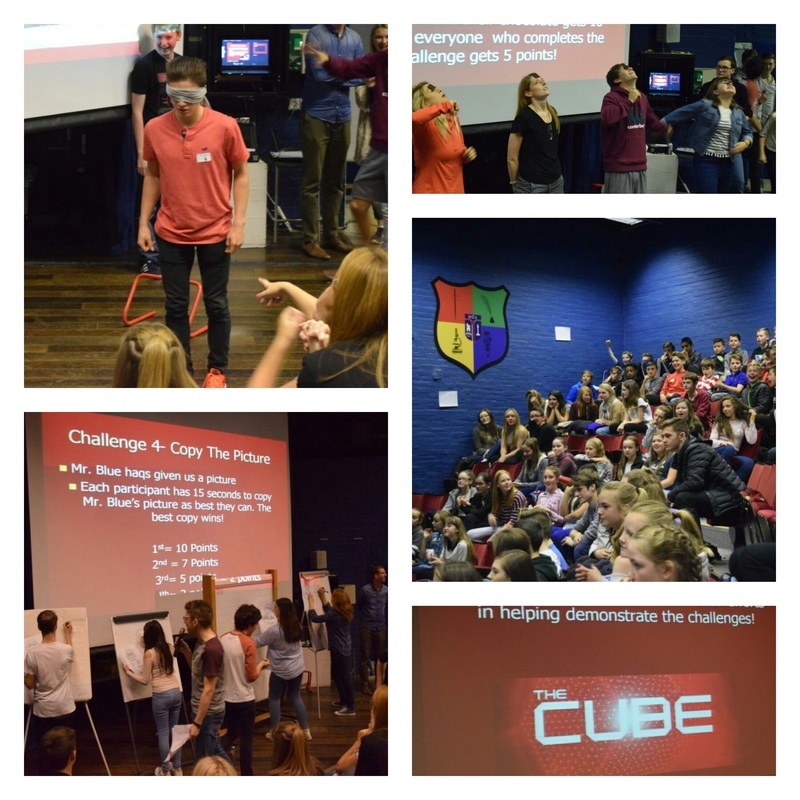 Friday 16 June - Vertical Learning Day involving the whole school is well underway. This is the last day in the P7 Induction Week. 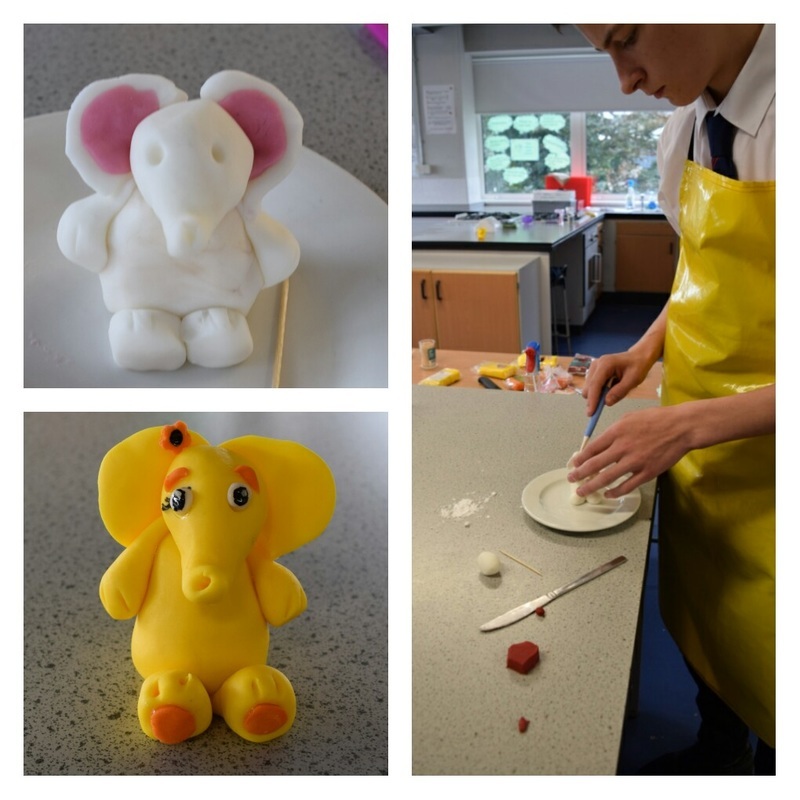 Pupil groups are from mixed stages and Miss Holmes has organised a varied range of events and activities for the day. 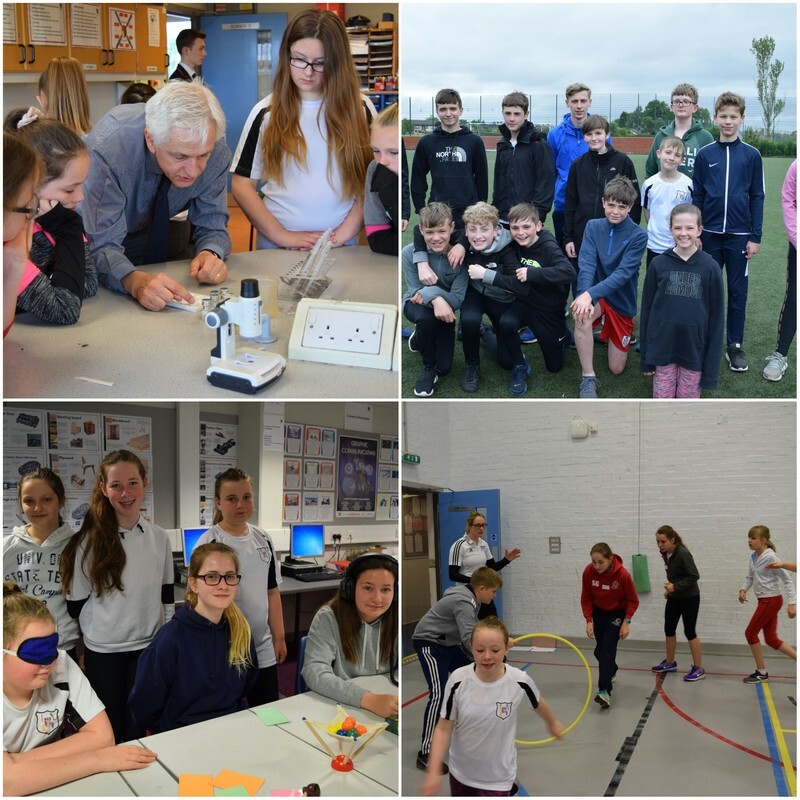 P7 - S3 are taking part in their themed event 'A Day in the Life of an Athlete', which includes guest athletes and Doping analysis in science. 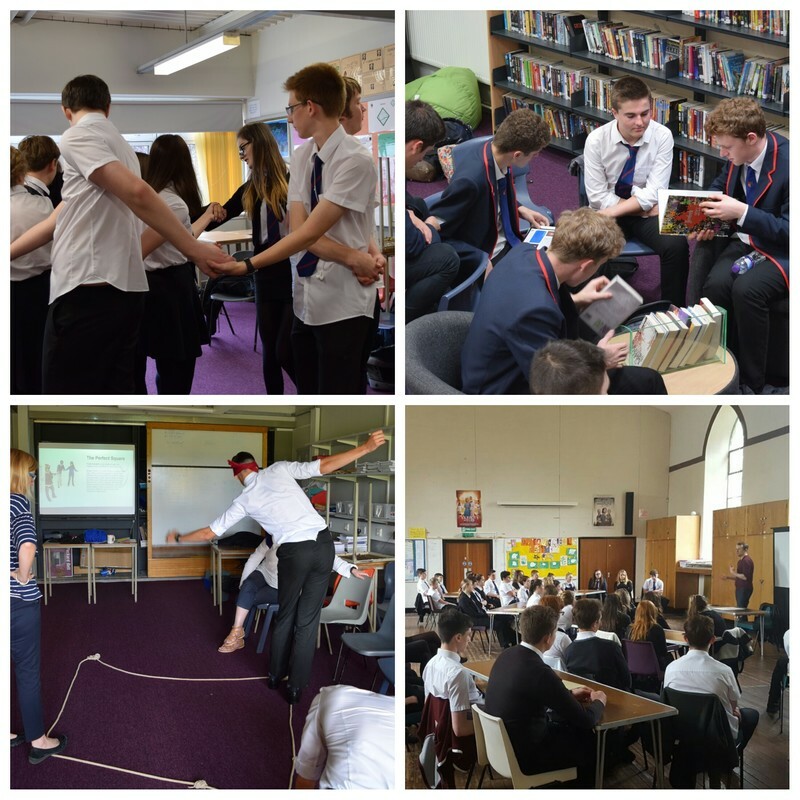 S4 - S6 are between the school and Houston and Killellan church hall taking part in a series of Skills development and Motivational workshops. 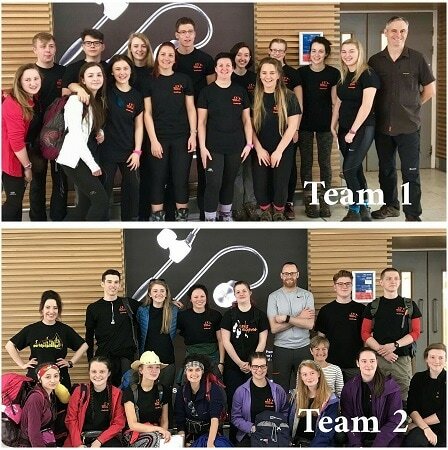 Tuesday 13 June - An exciting day for World Challenge Team Mongolia - it is Build-Up day - checking kit and paperwork before Take-Off tomorrow morning.......we wish them well on their exciting adventure! Friday 9 June - Congratulations to our prize winners in this year's Paisley Arts Institute Competition 2017. Please feel free to go along to the exhibition and ‘check out’ the fantastic display. 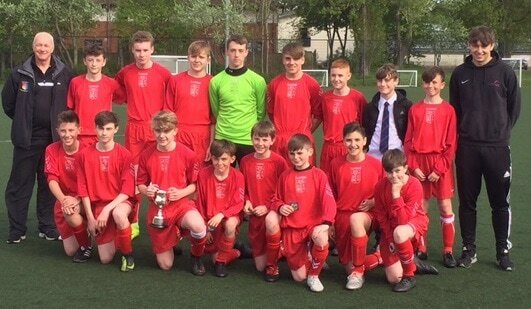 Thursday 8 June - Gryffe High School win the Under 15 Scottish Cup Shield ..... Look under the SPORTS UPDATES, right hand column of this homepage, for video and pictures. 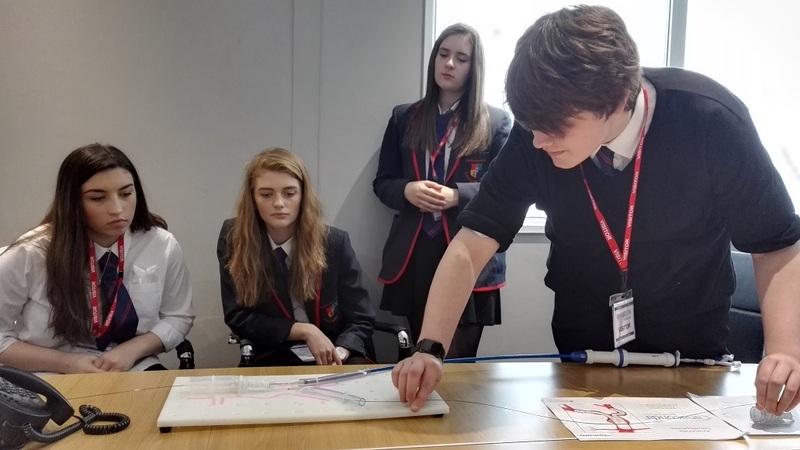 Thursday 8 June - Higher Physics pupils learned about Capacitive Touch Screen Technology from a Guest Speaker from the Department of Engineering from University of Glasgow. 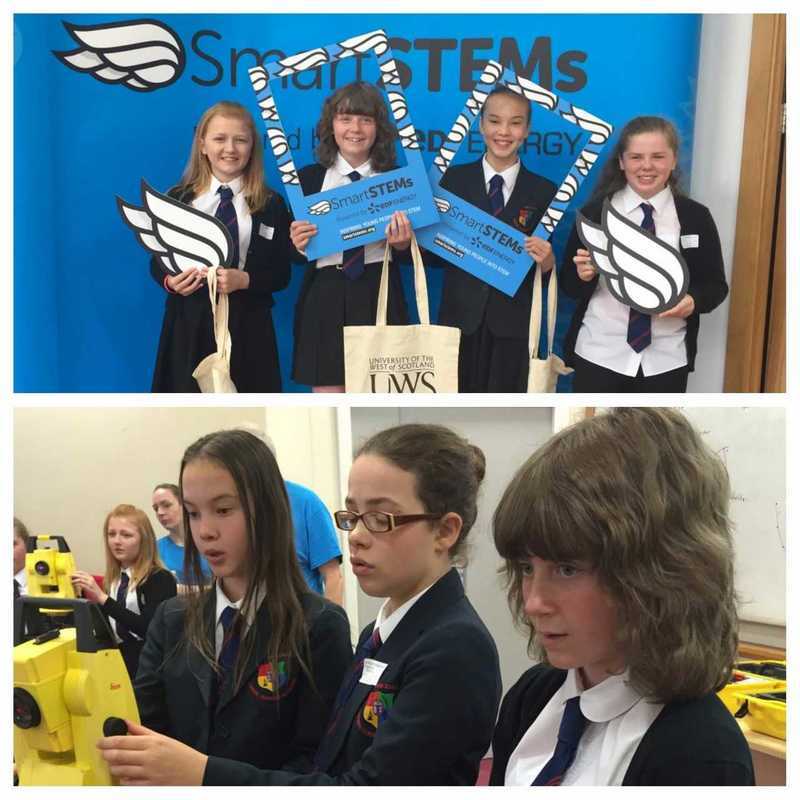 Pupils were able to control a fan and television in a model house by using a phone app. 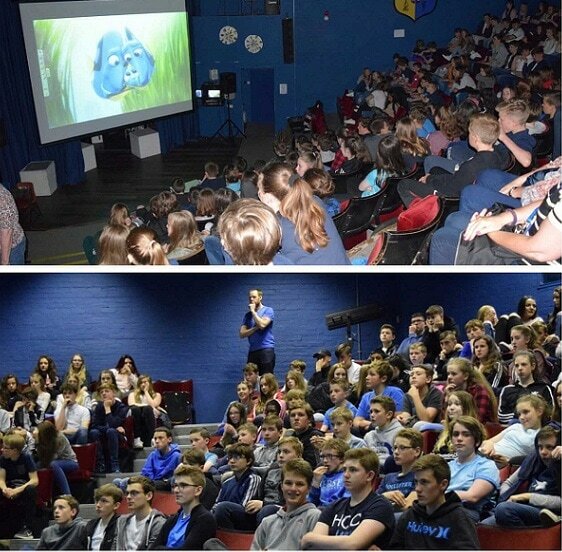 ​Thursday 8 June - 180 pupils across all year groups thoroughly enjoyed a treat today. They are all in Mackintosh house, which was the winning house this year. 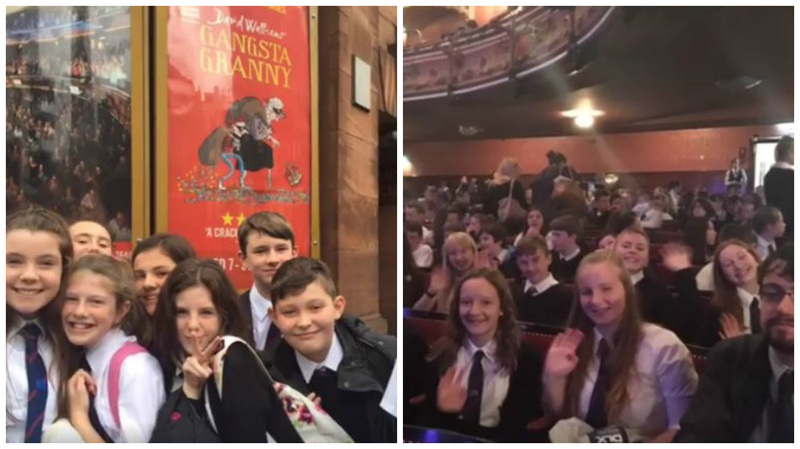 They started their day at Intu Soar Braehead and enjoyed 10 pin bowling, Paradise golf and then lunch, before returning to school to enjoy a cinema experience in the theatre. 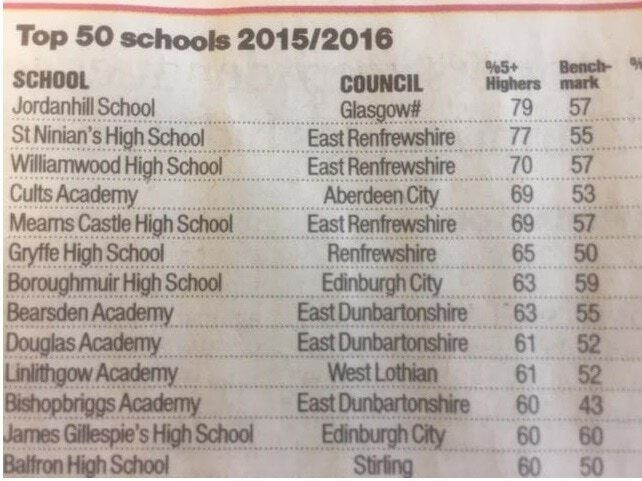 Well done to Mr Findlay and Mackintosh house - who will be the winning house next year? Wednesday 7 June -The JUNE NEWSLETTER has been uploaded and can be found under the 'News' tab, then 'Newsletters'. Tuesday 6 June - 'Old' S6 Pupils had a fantastic night at their PROM in the Grand Central Hotel in Glasgow. 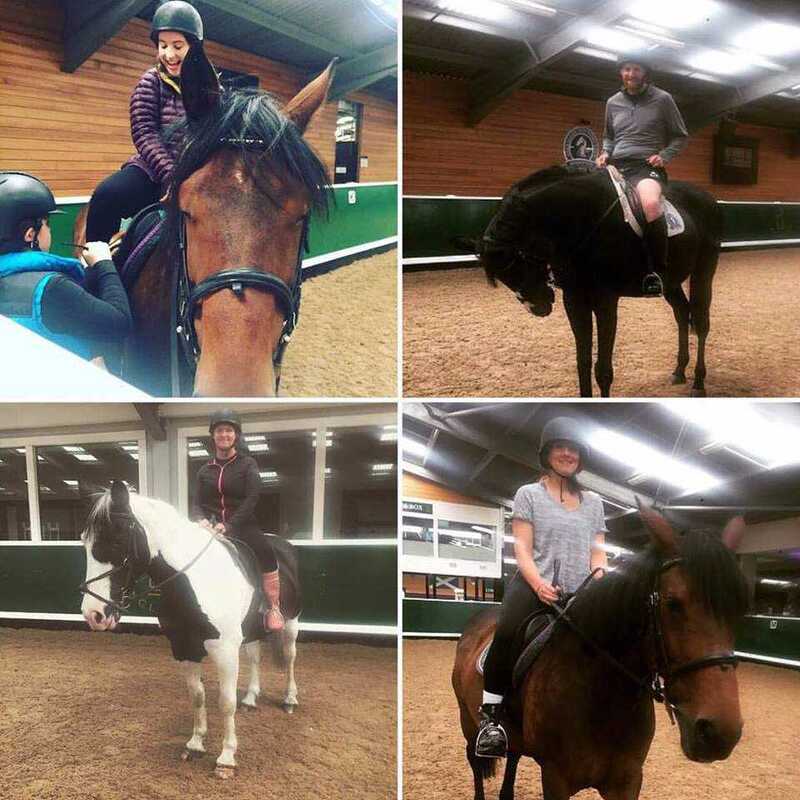 Monday 5 June - It was Horse riding lessons for team Mongolia staff this weekend! Getting prepared for World Challenge 2017. 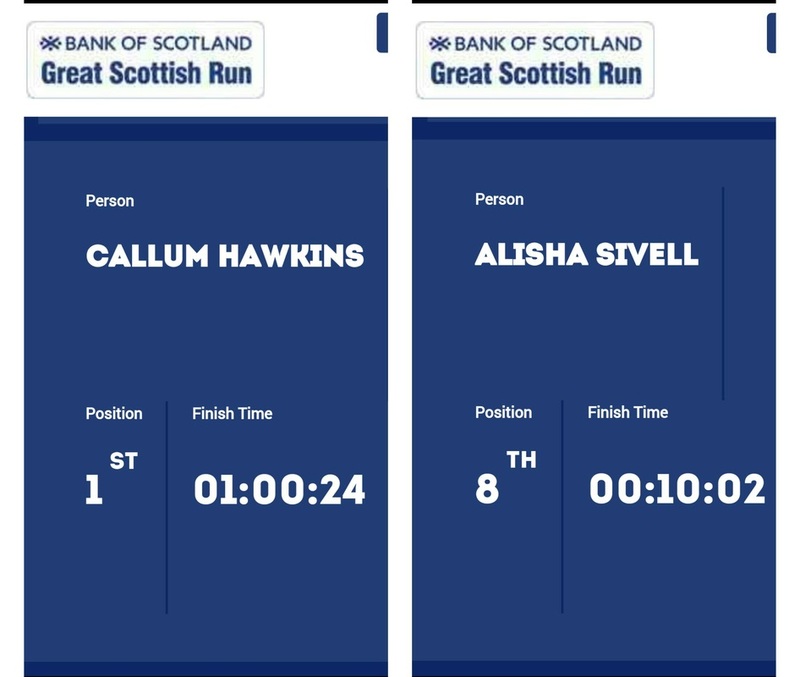 Well done Miss Badger, Mrs Dunlop, Mr Findlay and Miss Higgins........ 9 days to go! 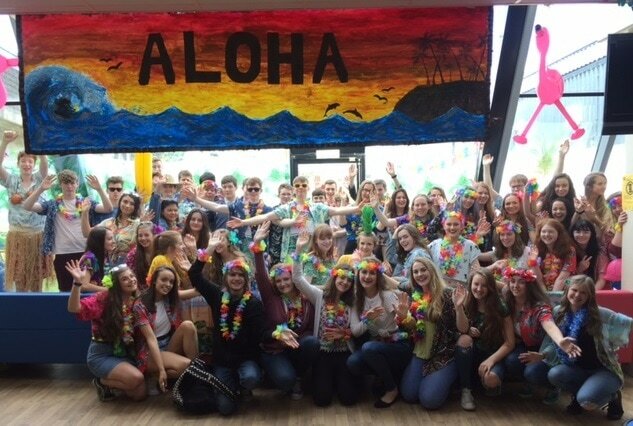 Activities Week 2017 - All S1 to S3 pupils enjoyed an amazing week of Activities (Week beginning 22nd May). 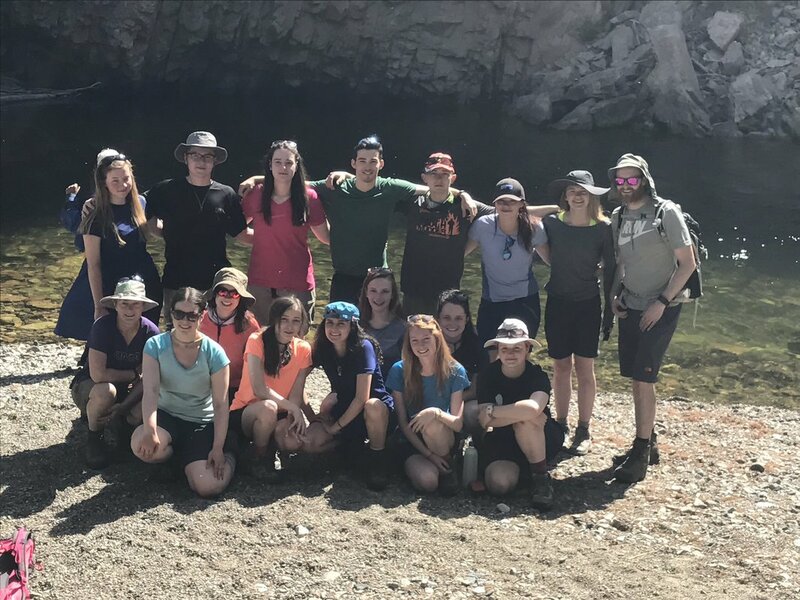 With a fantastic range of activities to choose from, there was something for everyone - Barcelona, Lanzarote, London, Rome, 'Float your Boat' Cumbrae, Braehead Experience, Fishing, Goal, Scary Scotland, Days Away......... click below for our Activities gallery. 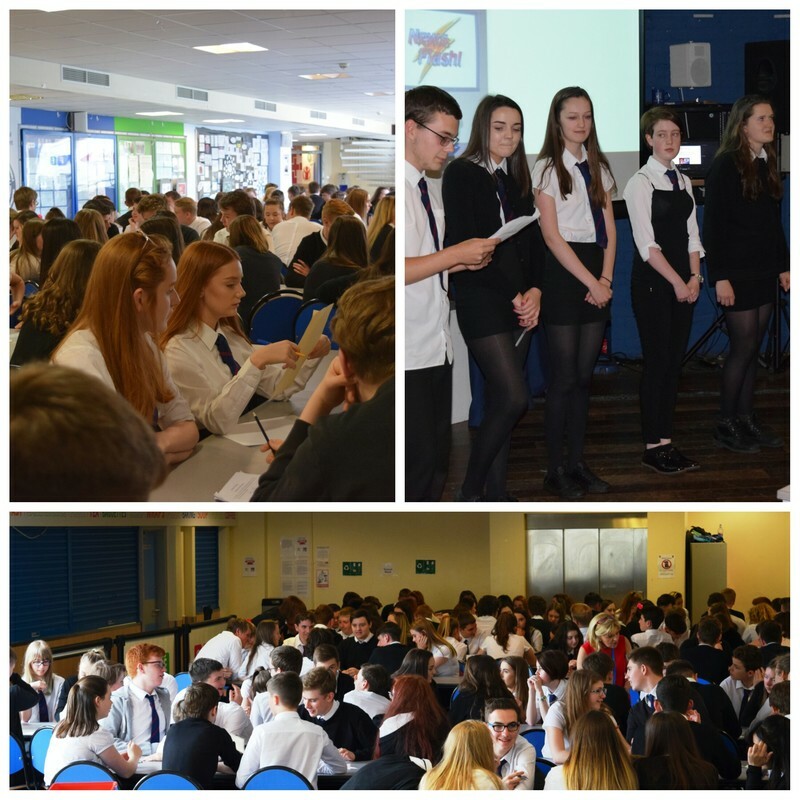 Thursday 1 June - New S5 returned to school today after their SQA exams and they took part in a full day of Induction. 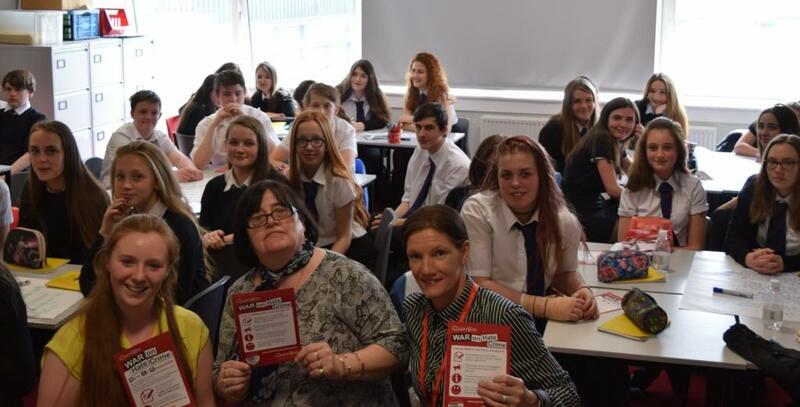 Mrs Skillen DHT (with responsibility for S4 and S5) had organised a welcome, some inspirational messages about the importance of the coming year and distribution of their new timetables in the morning. The pupils then spent the afternoon deep in group discussions, recognising their strengths and looking for evidence for any prospective employer. 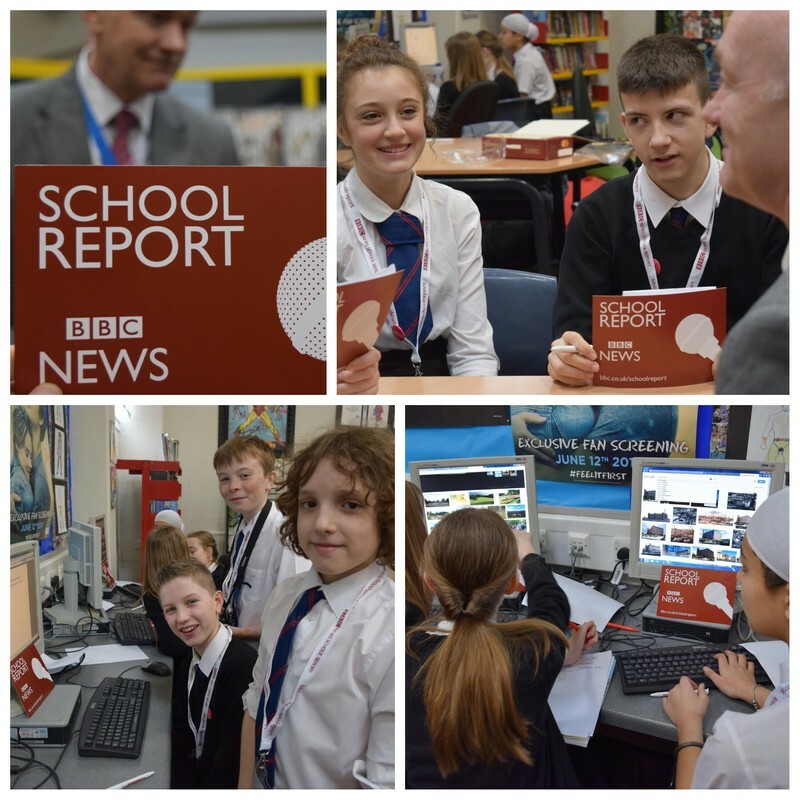 In News Bulletin style, the pupils then presented to their peers. 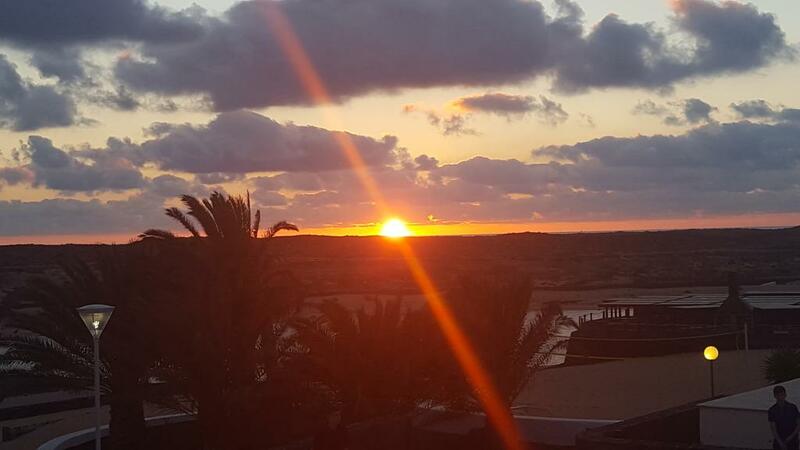 Friday 26 May - Beautiful sunset tonight from Club La Santa, Lanzarote. It is the last night there for the pupils. #GryffeActivities17 is coming to an end for another year. Pupils have had a fantastic week of fun. Barcelona, Lanzarote, London, Rome, 'Float your Boat' Cumbrae, Braehead Experience, Fishing, Goal, Scary Scotland, Days Away. There was also fabulous in-school Art and Crafts and an amazing opportunity in ICT for pupils to try out some (on loan) high-tech Virtual Reality equipment. 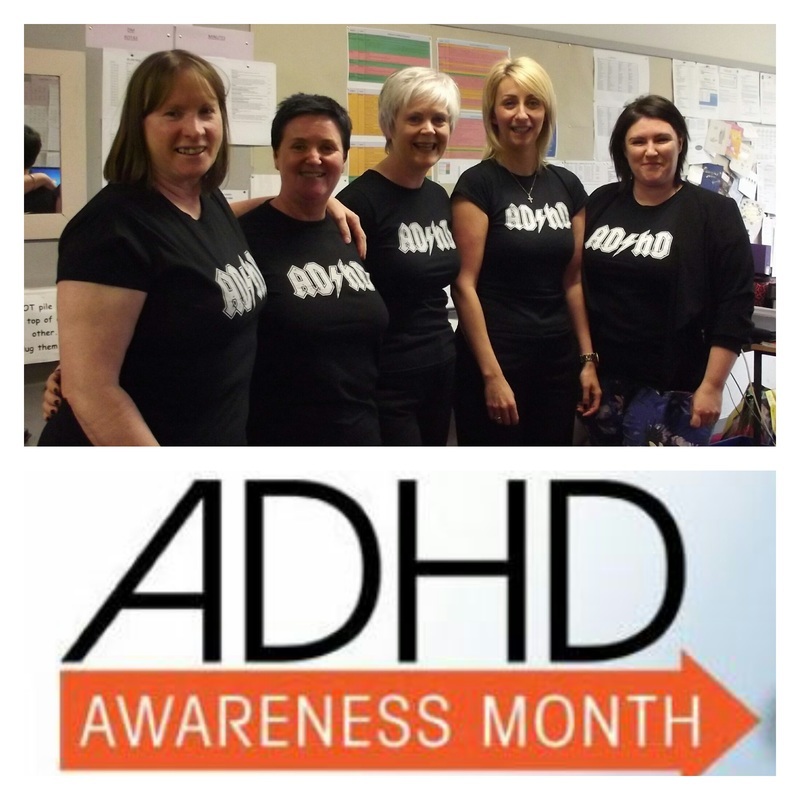 Thank you again to Mrs Mullan, the Activities Committee and all staff who helped to make all of the activities happen. Thank you to the pupils for making the week so enjoyable! ​Friday 19 May - This morning 7 teams of linguists took part in our Apprentice Challenge Final. All of our finalists did a fantastic job presenting in French or Spanish to an audience of their peers and a panel of judges. 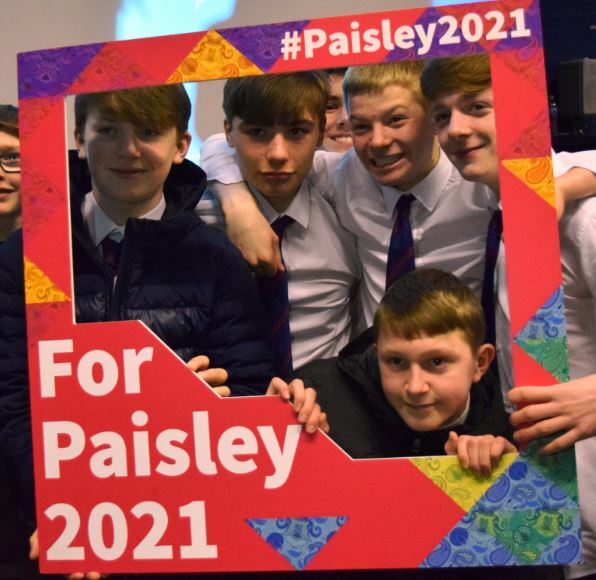 We were all very impressed by their wonderful presentations, posters and events flyers which supported Paisley's bid to become City of Culture 2021. Congratulations to our winning team members; Louie Ferris, Ryan Sims and Jack Young- first-time Spanish champions! Very well done to the runners up, we are proud of each and every one of you. Thank you to our panel of judges. 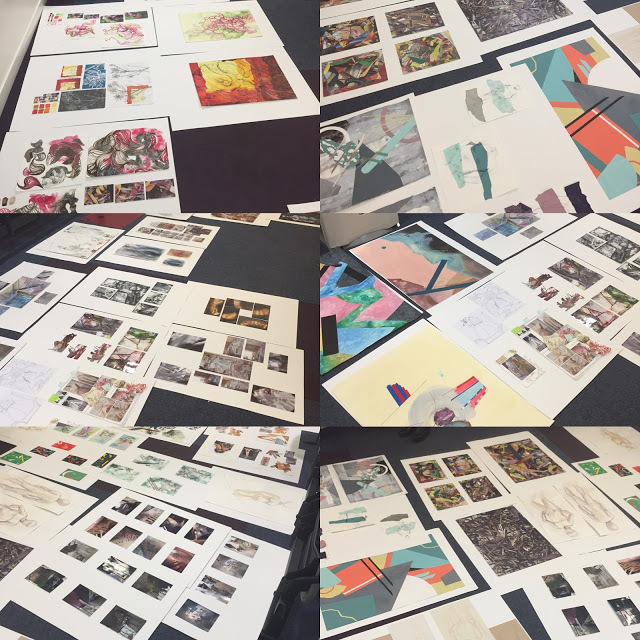 Friday 19 May - Senior Art & Design pupils enjoyed a most inspiring trip to Edinburgh College of Art. Lots of very creative costumes on show from graduates. 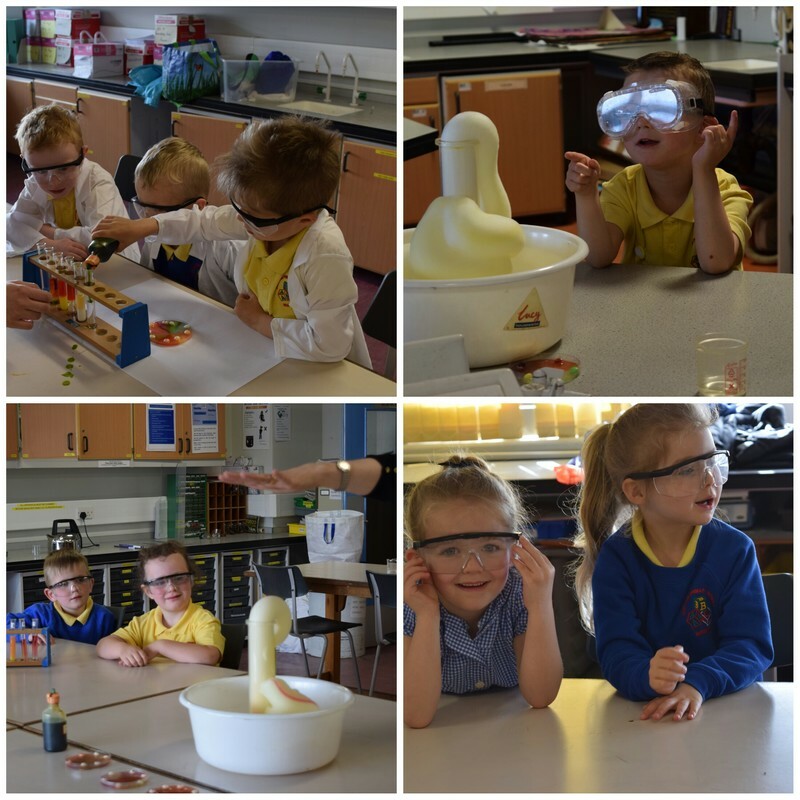 Wednesday 17 May - The Science department welcomed pupils from Houston Nursery today. 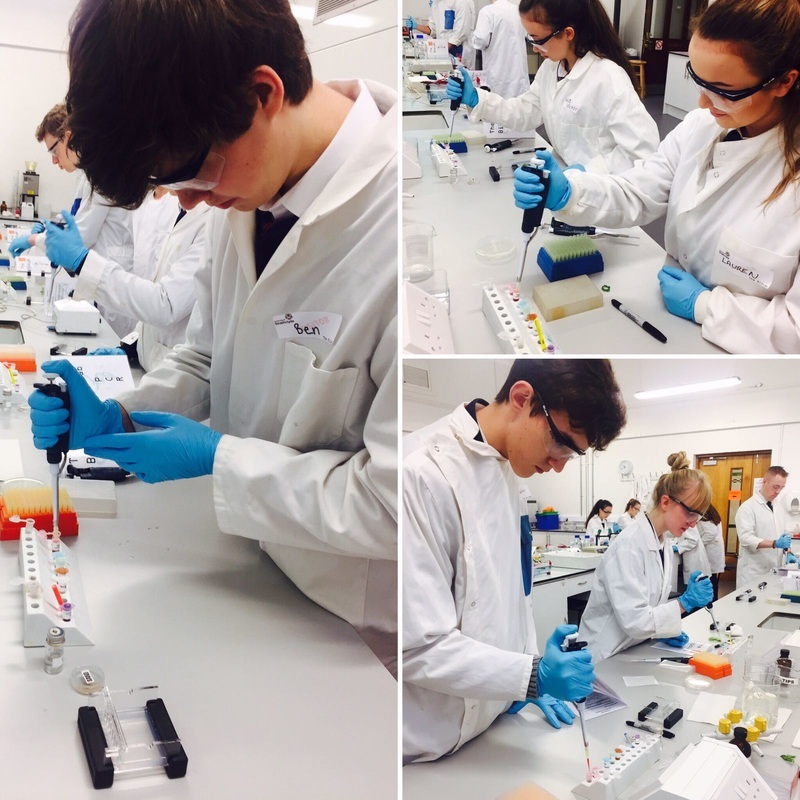 The pupils enjoyed carrying out experiments exploring healthy diets and how to keep an elephant's teeth clean. 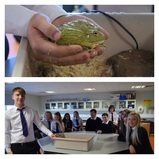 Both staff and pupils had great fun. 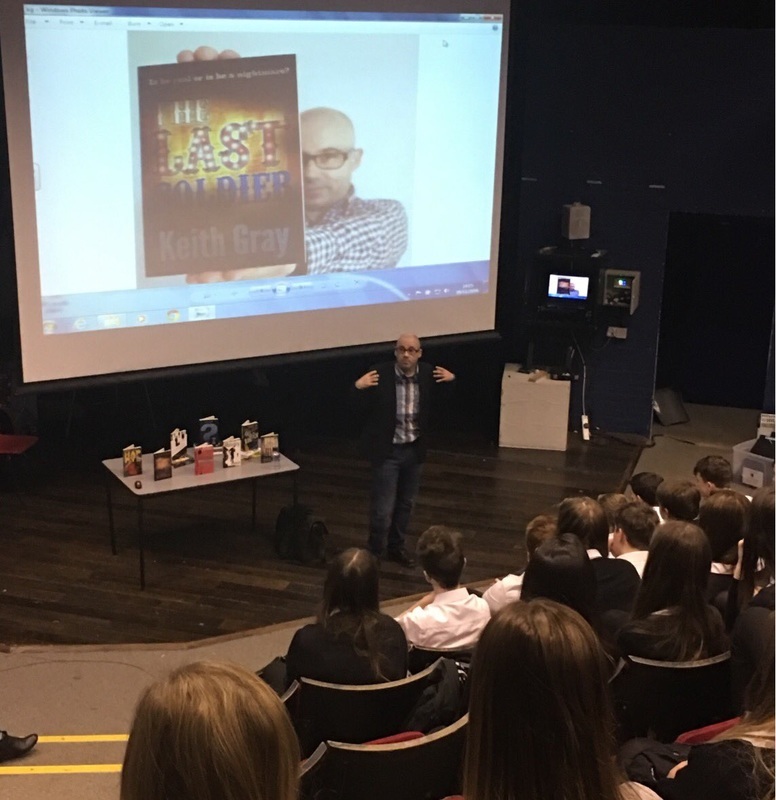 Friday 12 May - A huge thanks to Sky Sports Mentor, Steve Frew, for inspiring our S1 and Primary 7 pupils by sharing his key tips to overcoming challenge and being successful! 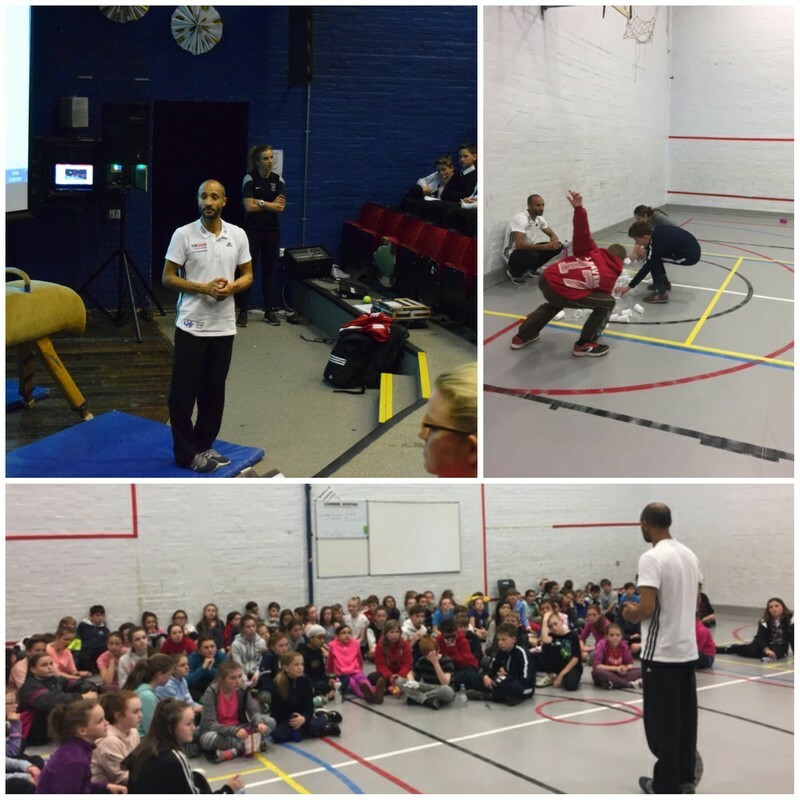 Pupils learned more about Steve's pathway to success and were treated to a gymnastics demonstration before getting involved in some team work and leadership challenges! 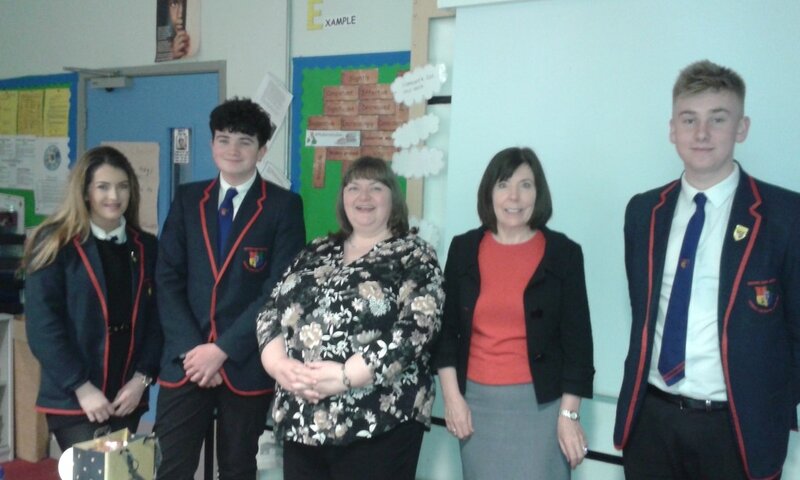 Thursday 11 May - S3 Modern Studies enjoyed an informative and thought provoking talk today on Disability Hate Crime from Quarriers Inclusion Team. 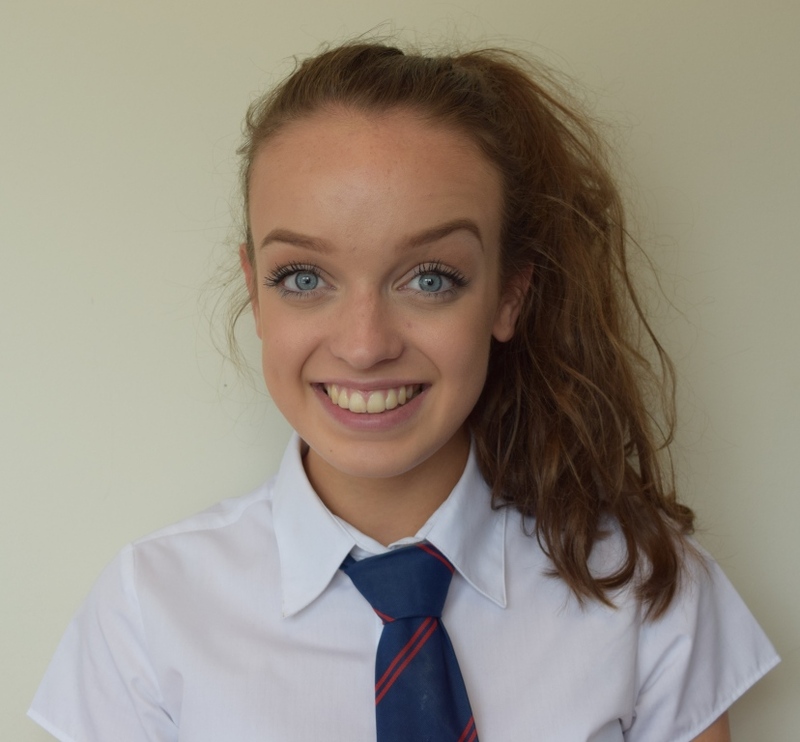 Thursday 11 May - Amy Ross's (S3)design has been selected for this year's Fringe Poster exhibition during the summer in Edinburgh. 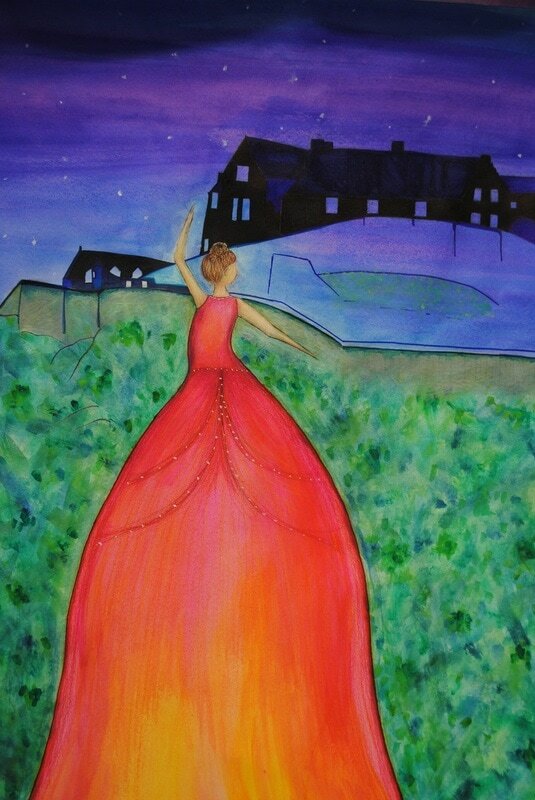 Amy designed this poster in her own time as part of her DoE personal activity which is terrific personal achievement. Well done! Wednesday 3 May -The MAY NEWSLETTER has been uploaded and can be found under the 'News' tab, then 'Newsletters'. 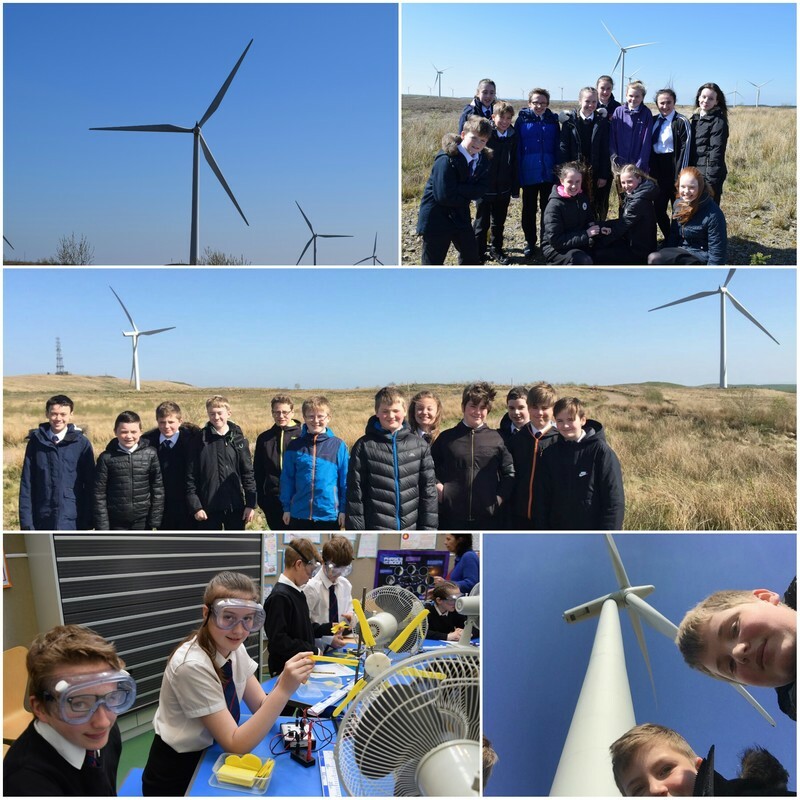 Wednesday 3 May - 24 S1 Scientists thoroughly enjoyed a workshop, exhibition and tour today at Whitelee Windfarm. 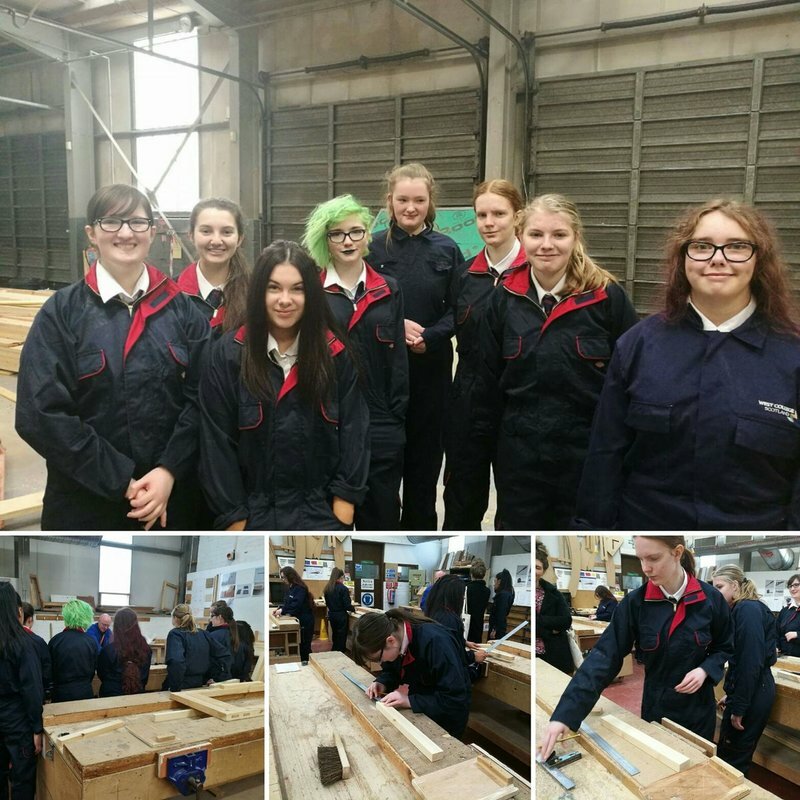 The pupils learned all about the importance of 'pitching' turbine blades, before touring the 215 Wind Turbines. 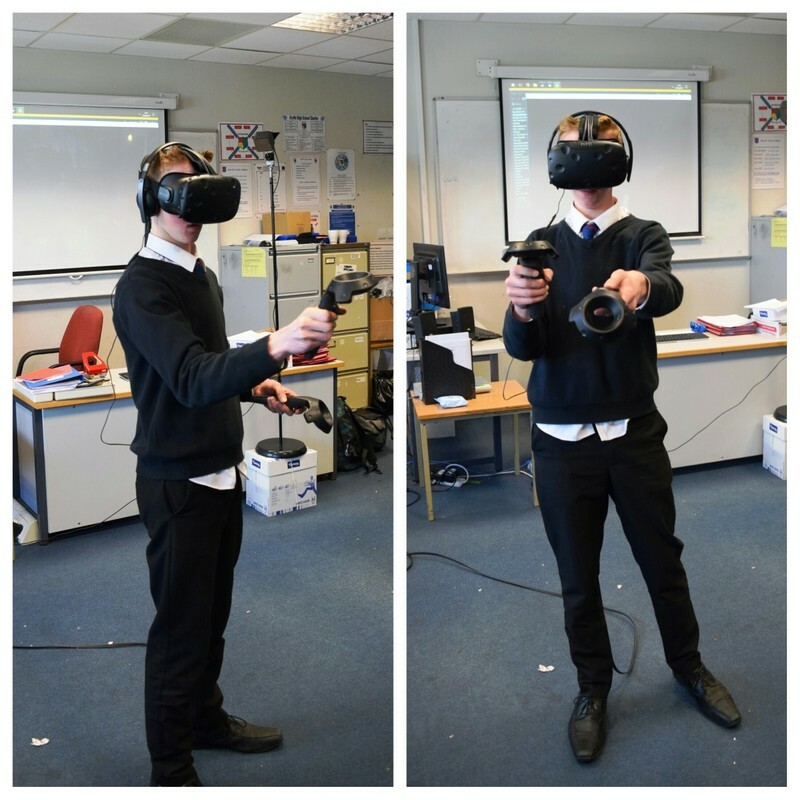 Tuesday 2 May - Pupils experienced state of the art Virtual Reality technology first hand in the computing department. They looked a blue whale dead in the eye on a sunken ship at the bottom of the ocean, ascended 400 feet in the air to peer of the edge of a sky scraper (walk the plank!) and destroyed some pesky robots in Space Pirate Trainer. 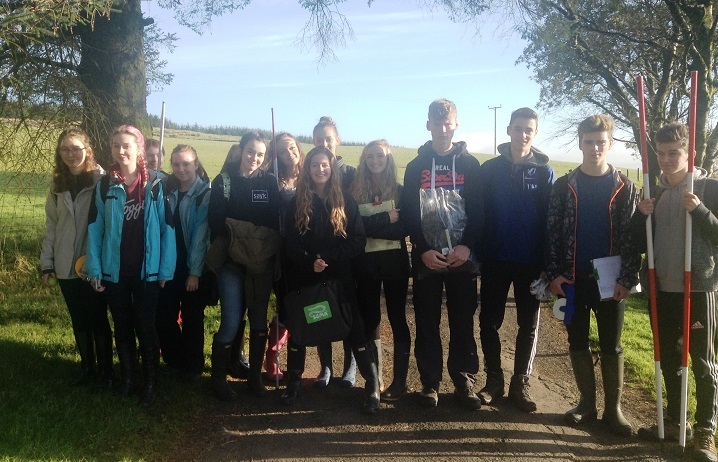 Friday 28 April - S6 ready to leave on their last day out trip to Millport...... suitably dressed! Thursday 27 April - The attached file details the Additional Support times for S4, S5 & S6 pupils during the SQA Examinations. Wednesday 26 April - How amazing are these? 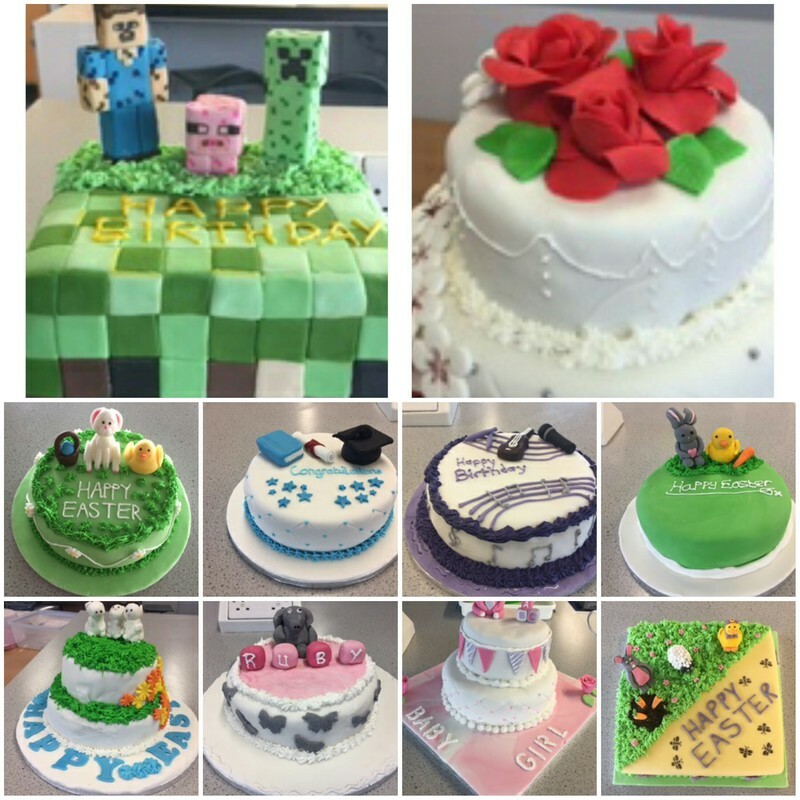 National 5 Cake Craft Final Assessment cakes. Very well done! 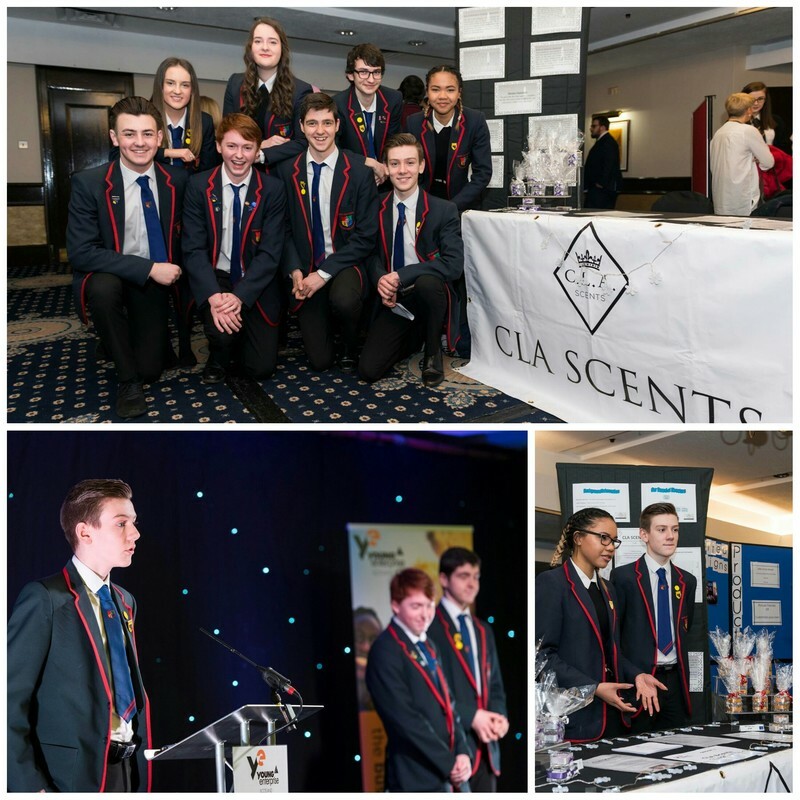 Friday 21 April - There were miles of smiles on display at last night's Awards Ceremony. Almost 600 awards were presented in a wide range of categories, all reflecting and celebrating the endeavours of not just the pupils receiving awards, but of all Gryffe pupils. 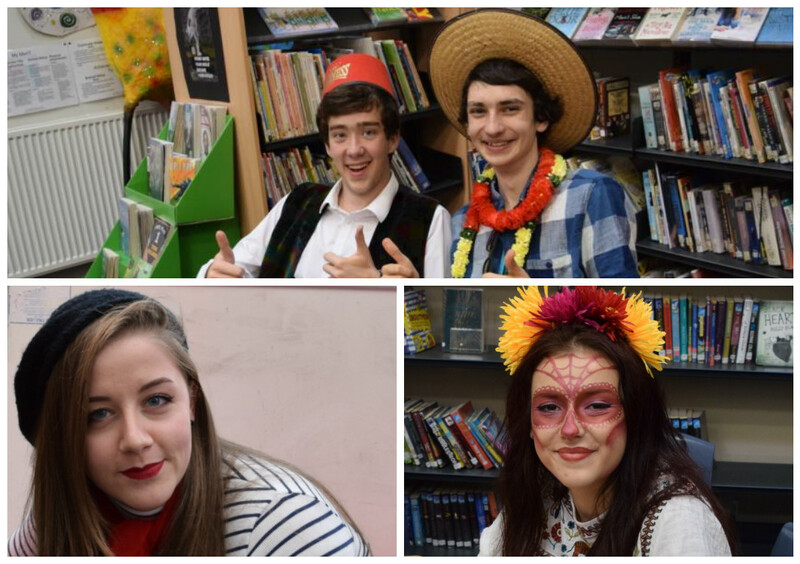 Several pupils spoke about their involvement in various rewarding activities within school. 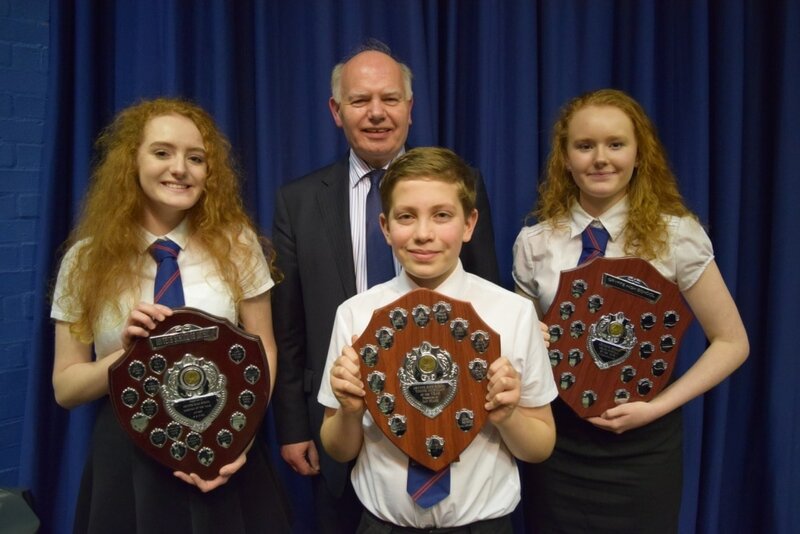 Awards were presented by former head pupils Rebecca Richardson and Angus Gane. Special Category awards were presented by Steven Quinn who is the Assistant Director of Education / Chief Education Officer for Childrens Services. 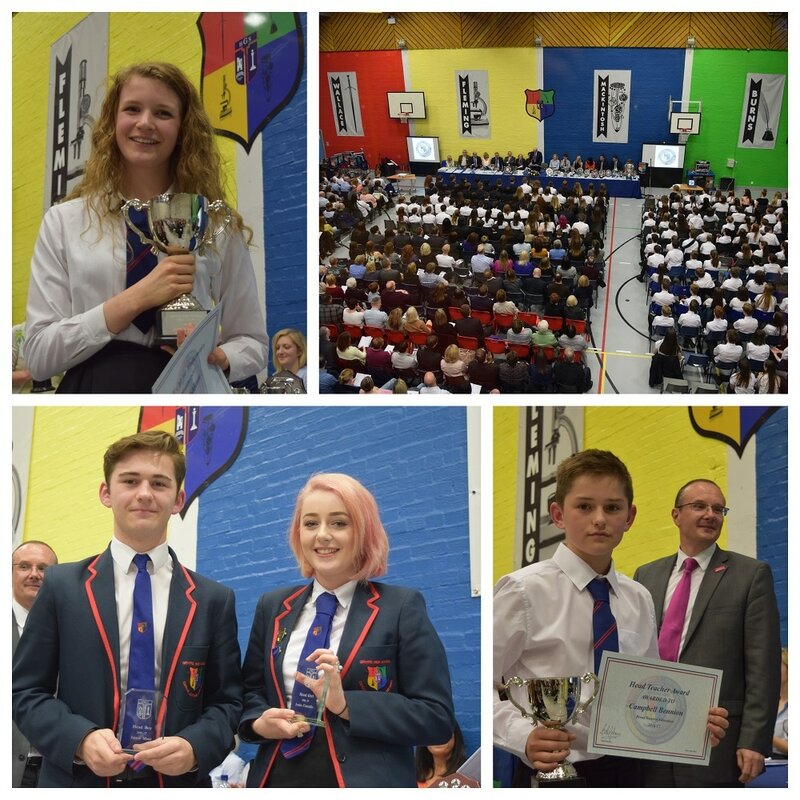 Current Head Girl Jodie Costello and Head Boy Jamie Muir gave the vote of thanks to a packed Games Hall of pupils and their proud parents and carers, with pupils also providing wonderful music to add to the evening. 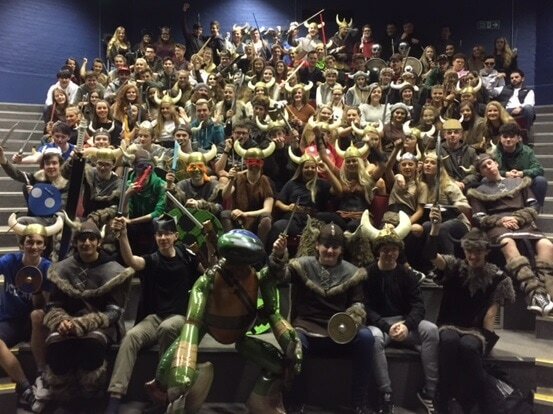 Thank you to EVERYONE involved in the preparation and organisation leading to a most enjoyable event........with a special thanks to Mrs Willbond and the office staff. It was indeed a night of Caring, Learning and Achieving. 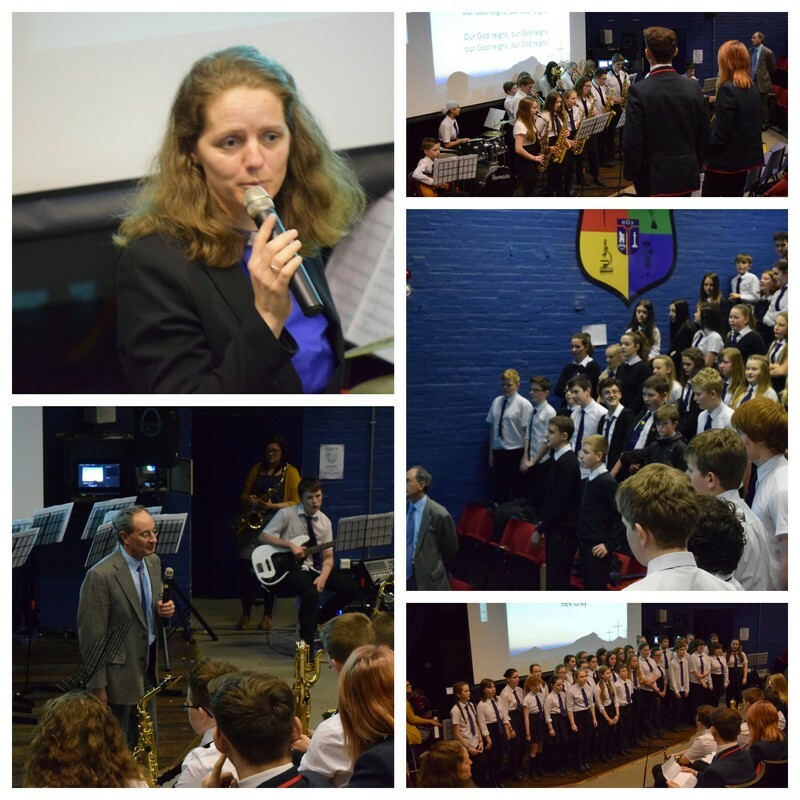 Friday 31 March - Today, we welcomed the Rev. Hanneke Marshall and the Rev. 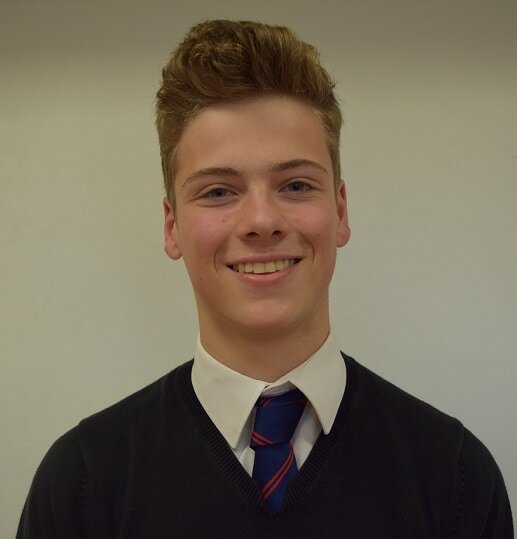 Kenneth Gray to lead our Easter Services, together with the Head Girl and Head Boy (Jodie and Jamie). 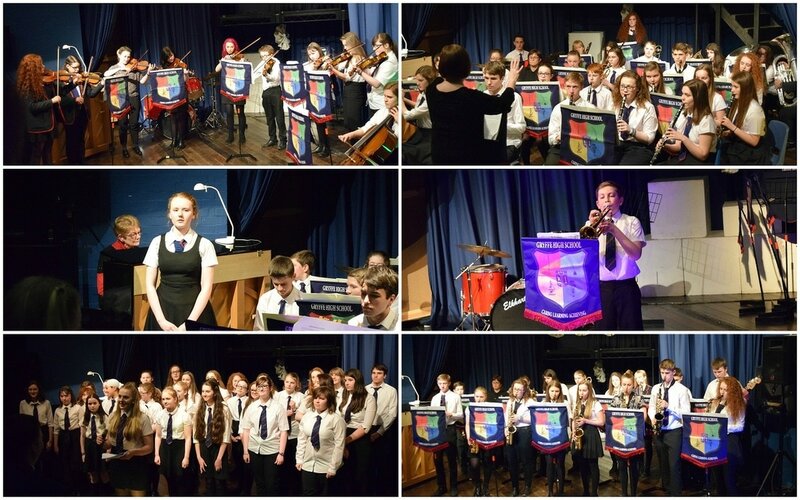 Beautiful music was provided by the school choir and band in services for both S1 and S2 pupils. We wish all pupils and parents/carers an enjoyable Spring break. 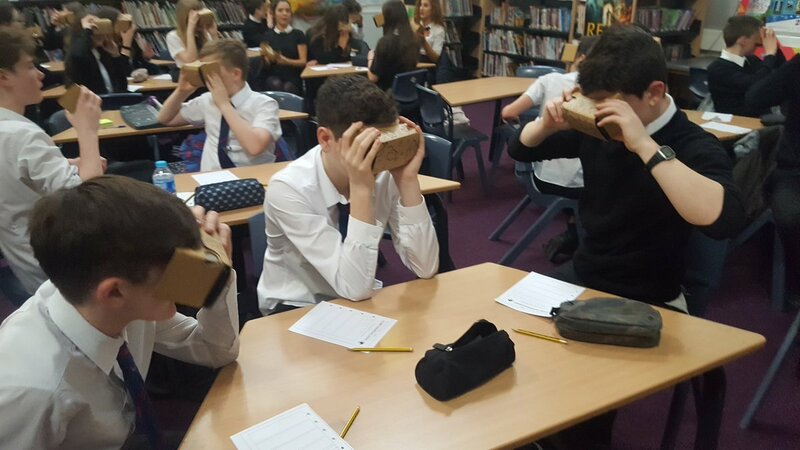 Monday 27 March - S2 Social Studies classes enjoyed visits to Hawaii, the Great Barrier Reef and Machu Picchu this morning when 'Google Expeditions' visited the school this morning. Pupils enjoyed exploring the world using 'Virtual Reality' headsets. 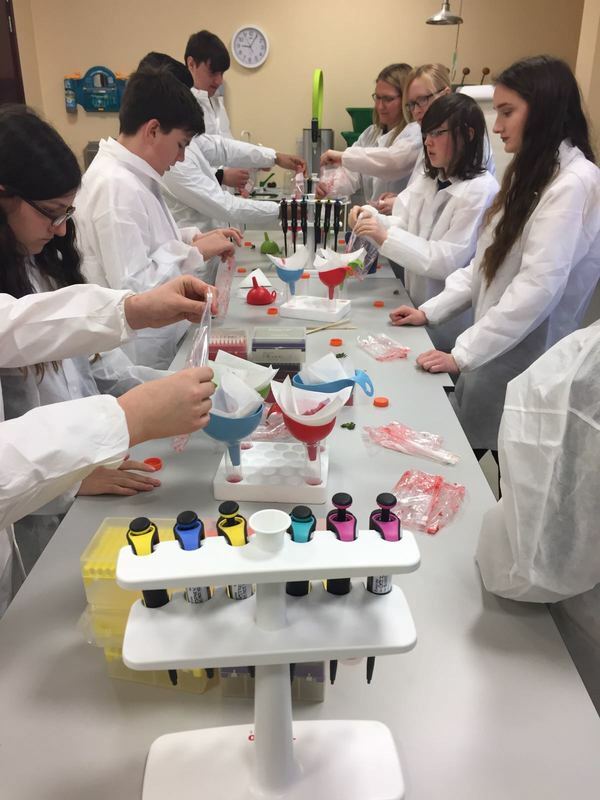 Monday 27 March - S4 National 4 Biology pupils enjoyed an early morning trip today to Thermo Fisher labs in Inchinnan, to learn all about cell culture and DNA Extraction from Strawberries. 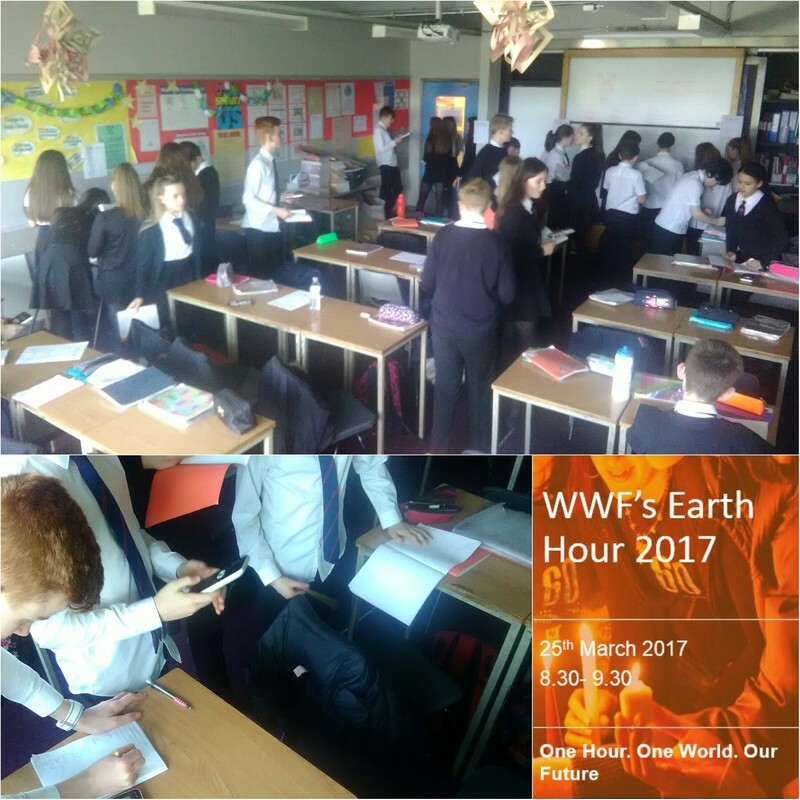 Friday 24 March - Tomorrow is WWF Earth Hour 2017, which raises awareness of the issue of Global Warming by encouraging people to turn off their lights between the time of 8.30pm - 9.30pm. The Eco Committee supports this challenge. As well as organising an informative short presentation for all S1 to S3 classes this morning, subjects were challenged to teach in the dark for a period. S2 can be seen here in the Maths Department engrossed in a maths related Treasure Hunt - working in the dark! 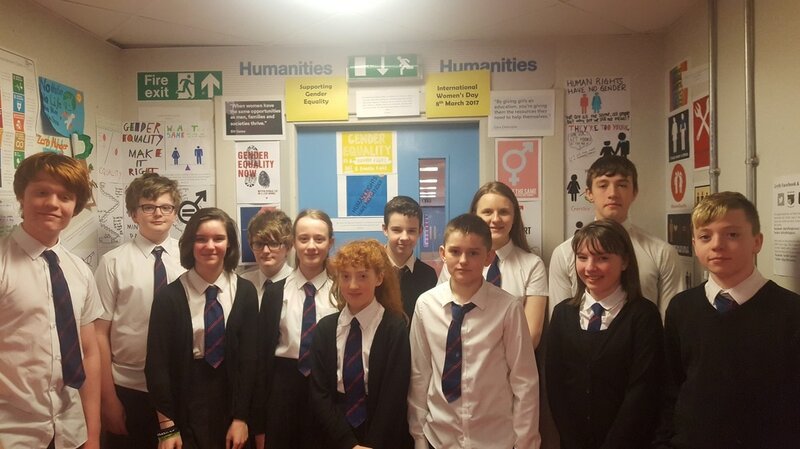 Wednesday 22 March - A group of senior pupils today attended the Multilingual Debate at Heriot-Watt University. The debate, in a number of languages, centred around the role of sport in promoting integration in society. 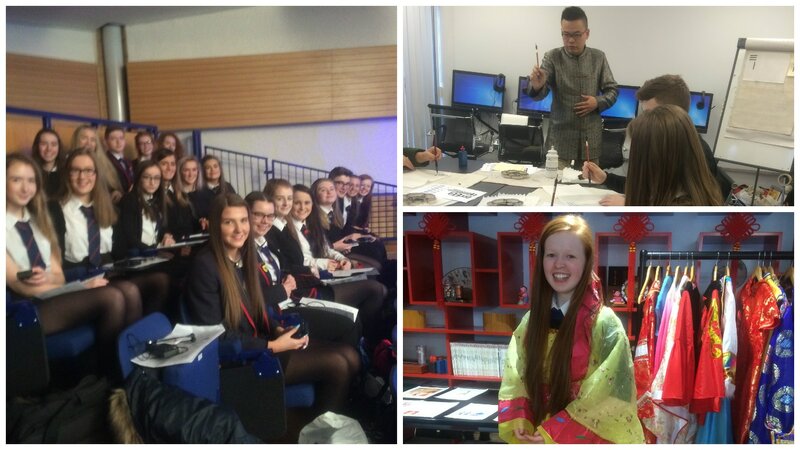 Pupils then visited the Confucius Institute for a cultural experience where they tried traditional Chinese cuisine, Chinese calligraphy, Chinese costumes and Chinese string art. 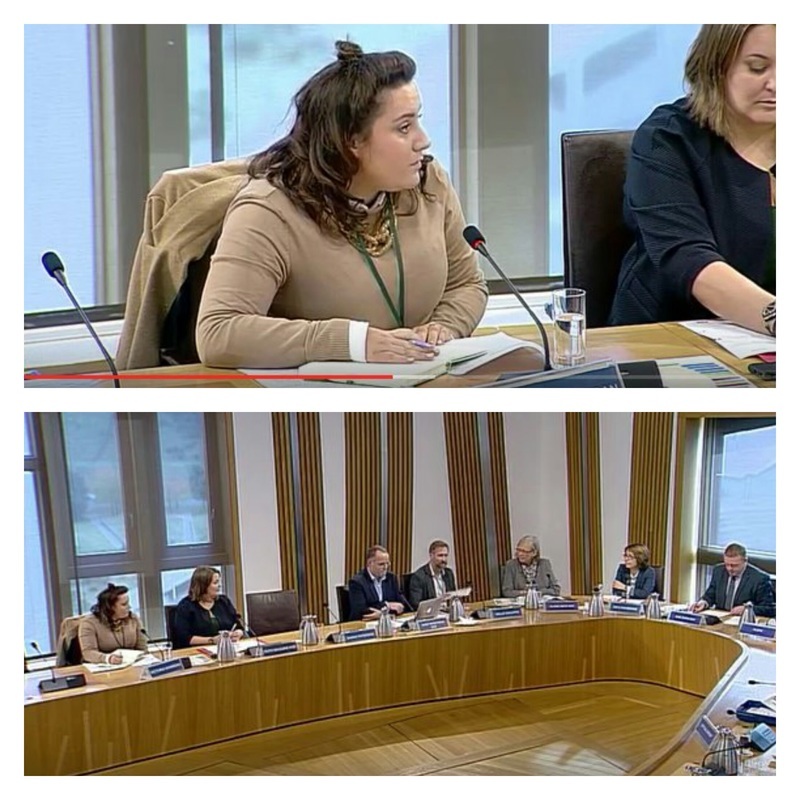 Thursday 16 March - Very well done to the 6 pupils who delivered CPD on Dyslexia to all of the Principal Teachers of Support for Learning in the local Authority as well as Michael Harker, Lead Educational Psychologist for Renfrewshire Council. 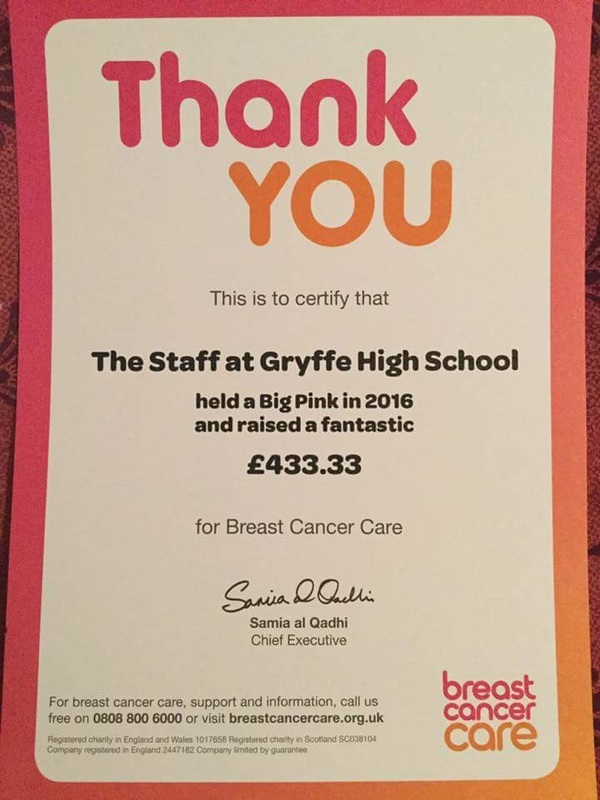 The pupils had previously presented to Gryffe staff and the Parent Council. Rachael Bell was also Overall Winner in her Age Category. 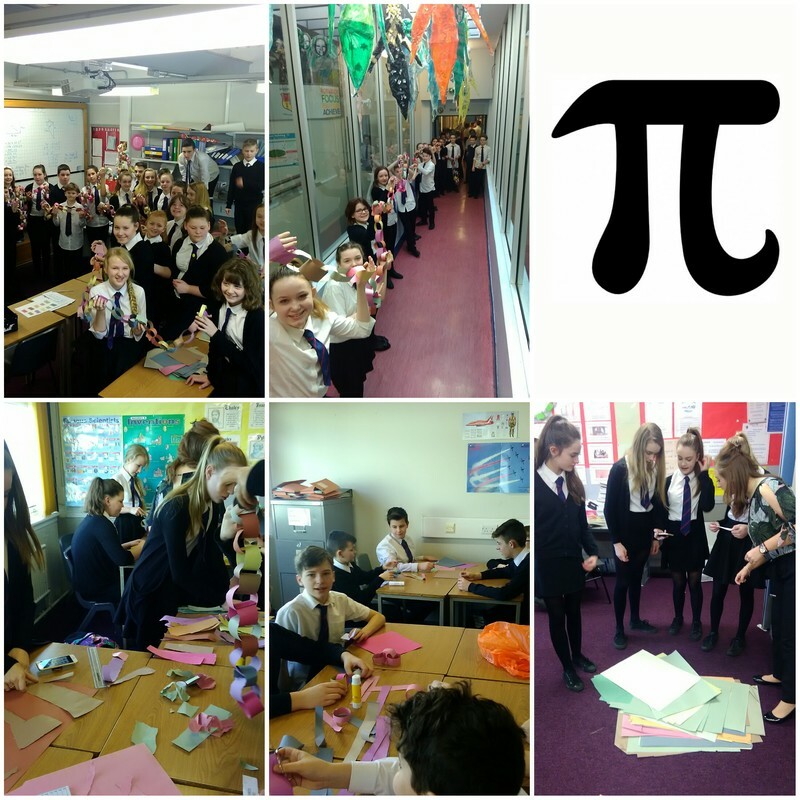 Tuesday 14 March - The Maths Department had great fun celebrating Pi day. 1Mk had the longest Pi paper chain and won 30 points for Mackintosh House. The pupils also listened to the Pi song during class. 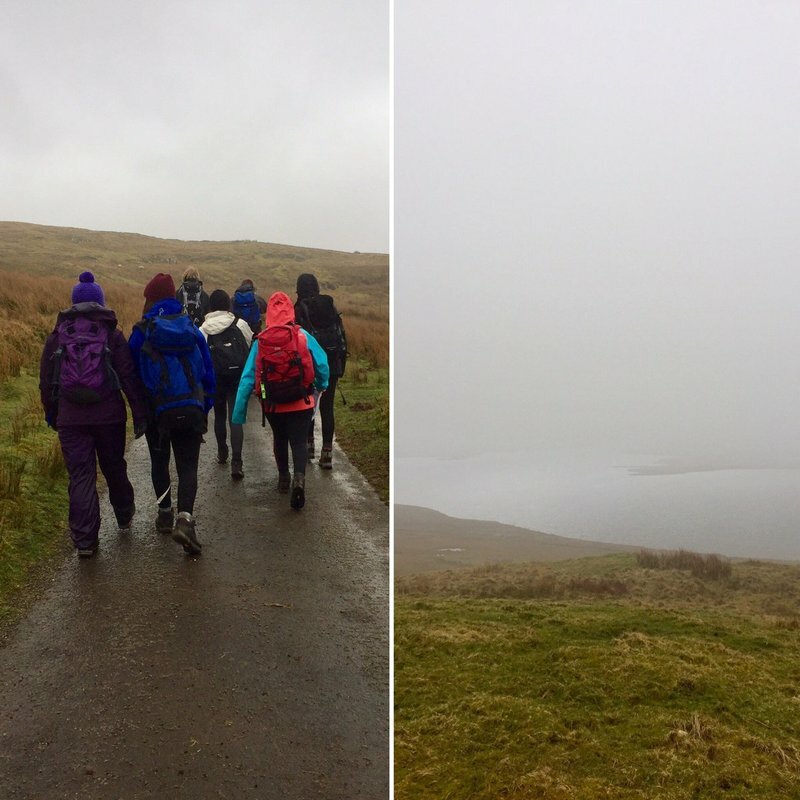 Sunday 12 March - Low visibility for the two Duke of Edinburgh Bronze groups out practising their navigation skills today. 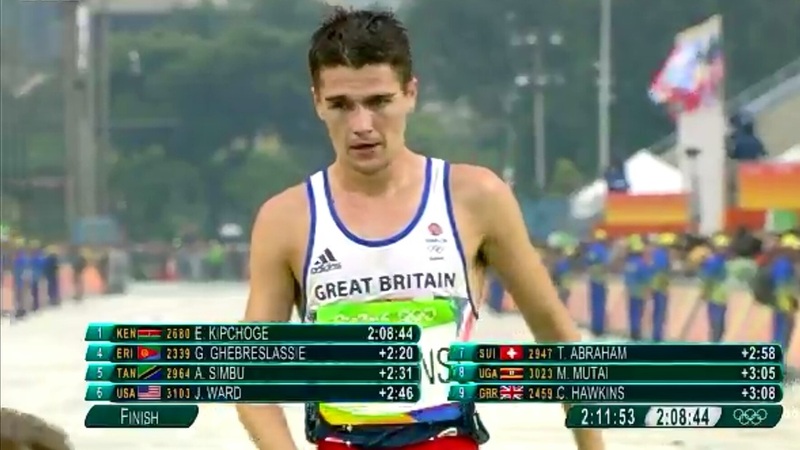 Both groups doing very well. 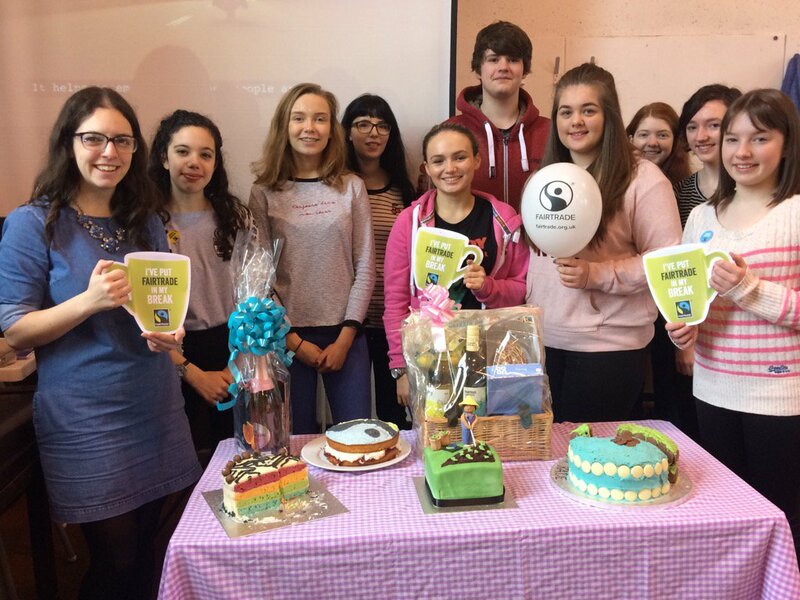 Saturday 11 March - Our Fairtrade Community Coffee morning at the Church Halls in Houston, raised the fantastic sum of £360 for Traidcraft and Rainbow Turtle. 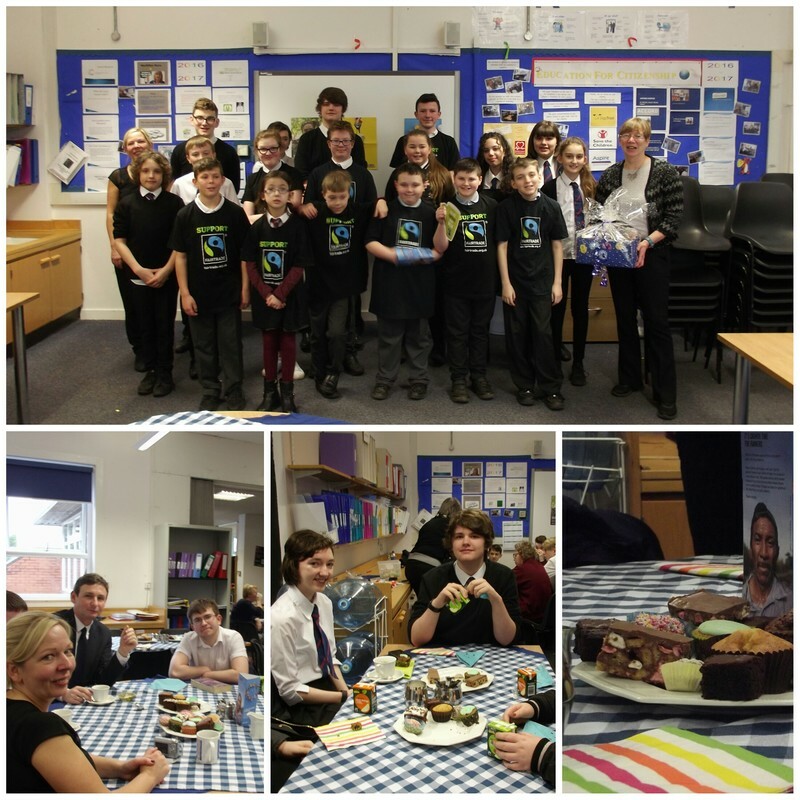 Thank you to everyone who supported this and all of the events during Fairtrade Fortnight. 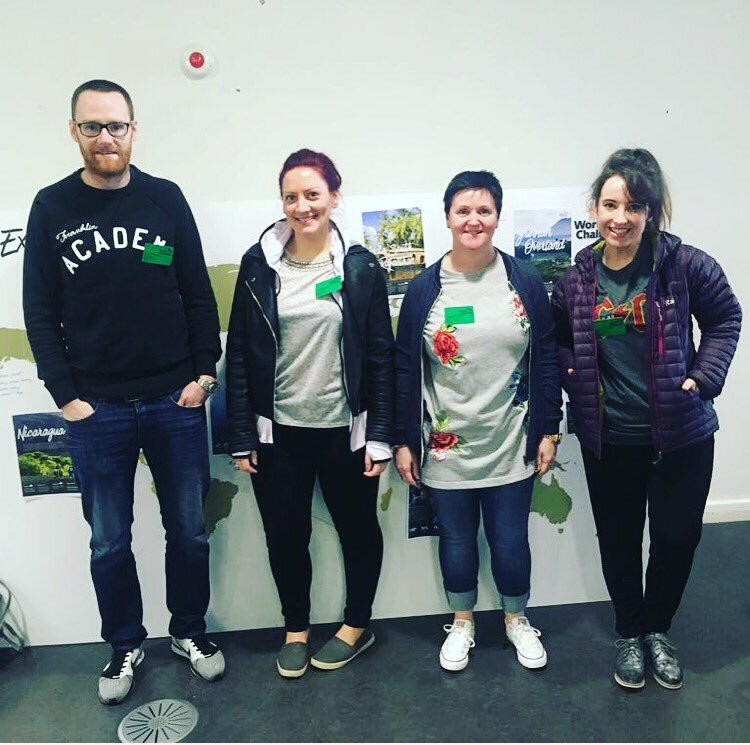 Saturday 11 March - World Challenge Mongolia 2017 staff spent a busy Saturday involved in summit training at the Queen Margaret University in Edinburgh. Only 13 weeks to go!! 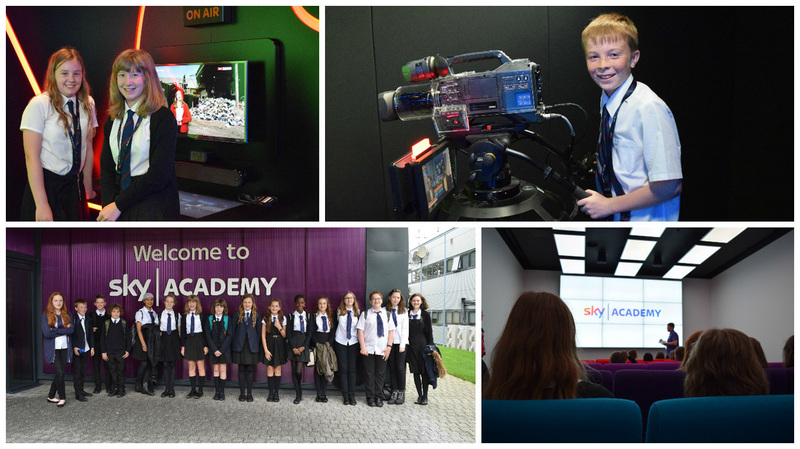 Thursday 9 March - A group of S2 pupils had a most enjoyable and successful day at West College Scotland on 'Developing the Young Workforce'. Jack McLean won a 'Rising Star' award. His prize is lunch for four at the College and a set of professional knives for the school - well done! 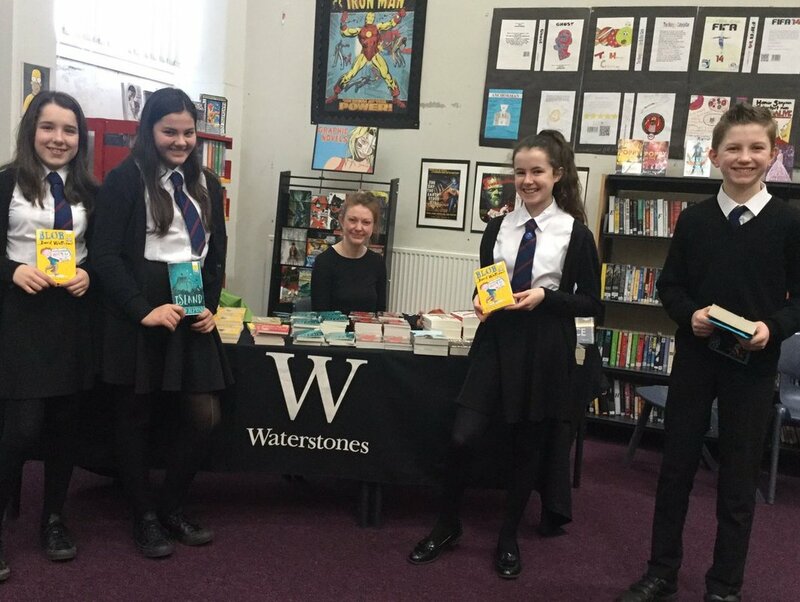 Thursday 9 March - Thank you to Waterstones Braehead for visiting Gryffe today with a great selection of World Book Day titles. To encourage reading, all school pupils receive a World Book Day voucher and they can use that to pick a book. Thursday 9 March - Great to see that our Litter Picking team is making a positive impact in the Community. Well done to them and to the local community for all their hard work and encouragement! 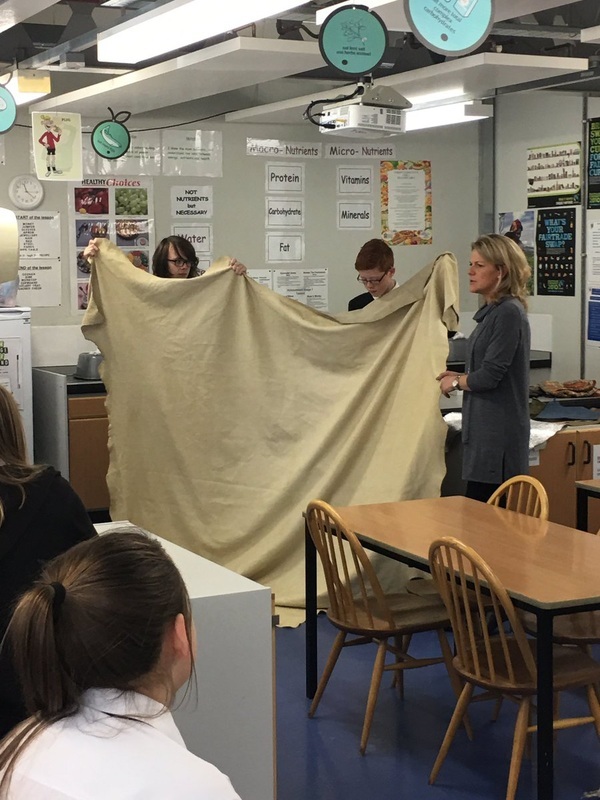 Wednesday 8 March - Mrs Malloch accompanied a group of S3 girls to a 'Renfrewshire STEM Awareness Programme for Young Women' event held at West College Scotland. The skills enhancing session in renewables, carpentry and joinery, bricklaying and painting & decorating was part of Scottish Modern Apprenticeship Week and International Women’s Day. 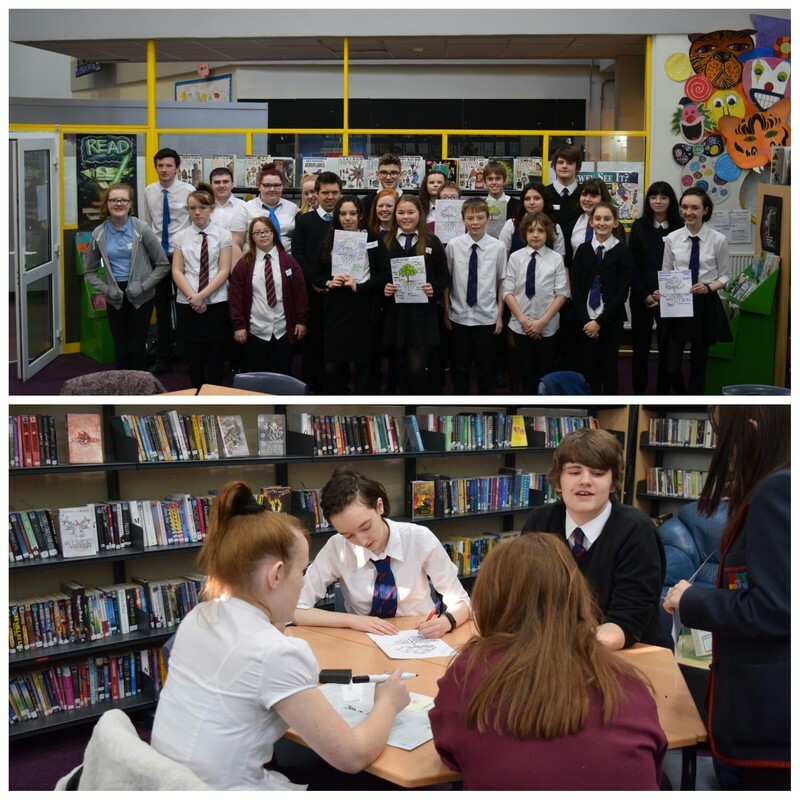 Monday 6 March - This morning S3 attended the launch of the 'Apprentice Challenge'- a project that enables pupils to work in groups to produce marketing materials in French and Spanish to promote a tourist destination. 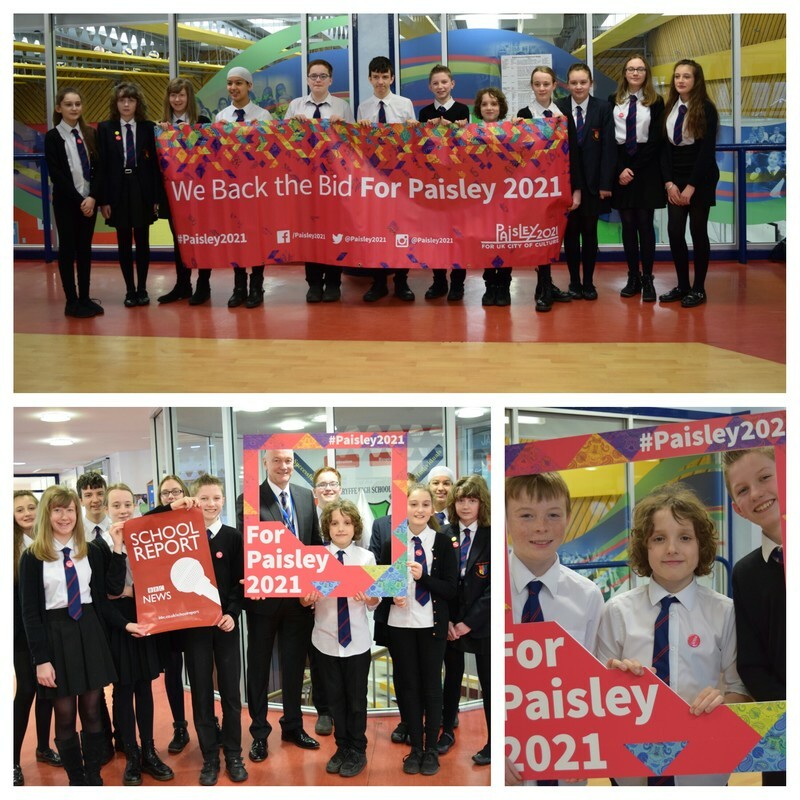 This year we chose Paisley in order to support the town's campaign to become City of Culture 2021. 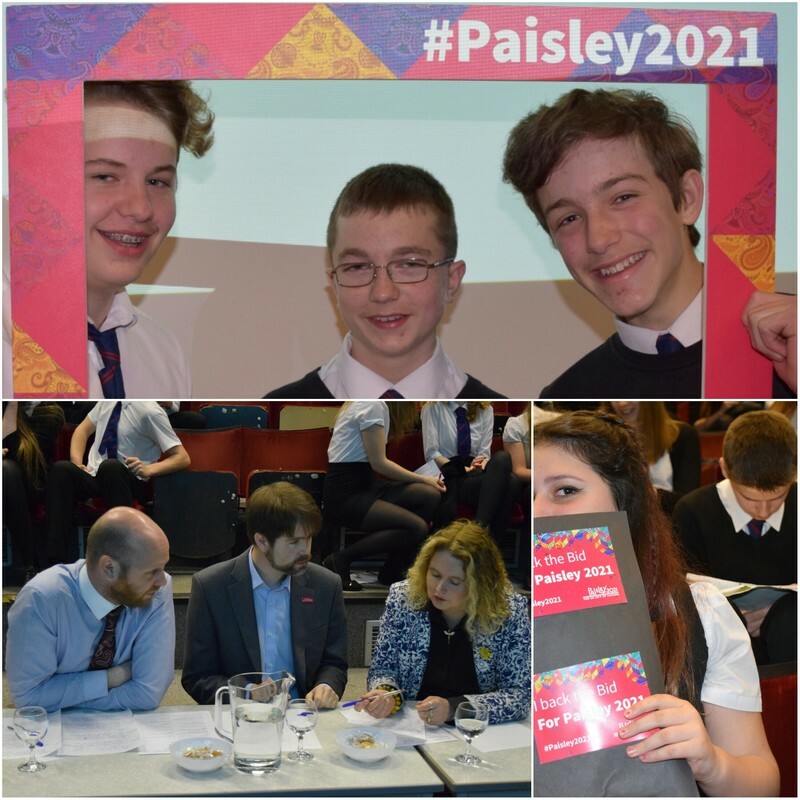 This event was attended by representatives from Renfrewshire council and the Paisley 2021 marketing team. 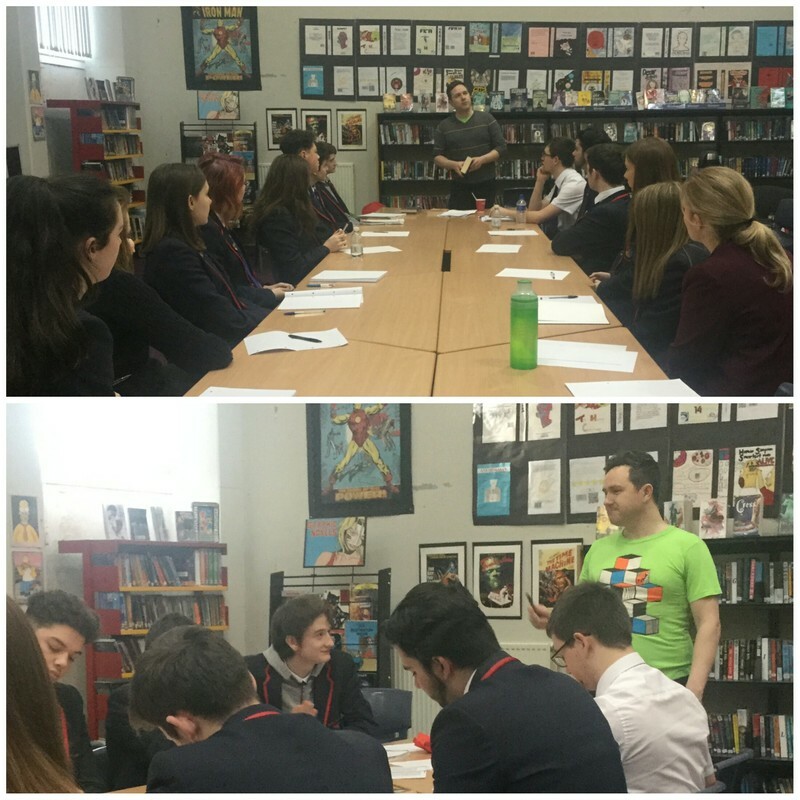 Friday 3 March - Higher Modern Studies and Geography classes were visited by two speakers from the UK Government Department for International Development (DFID) on Friday 3rd March. The speakers talked about the work of DFID generally and had a particular focus on the work of DFID in South Sudan. They also highlighted career pathways within the civil service. The talks were highly relevant to the course content and provided students with excellent examples to use to support their exam answers. 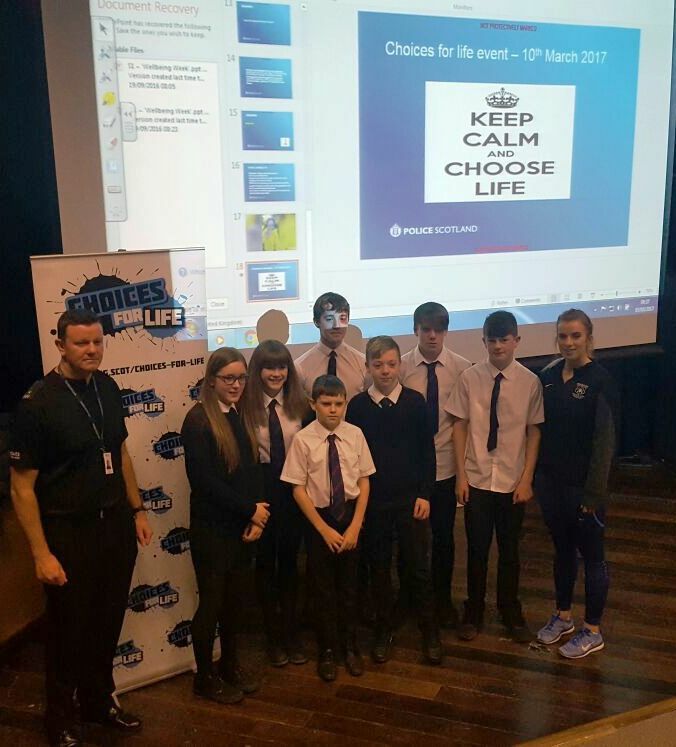 Friday 3 March - All S2 pupils enjoyed a 'Choices for Life' presentation, delivered in conjunction with Police Scotland, providing them with the information required to make positive life choices. This was followed by an interactive evaluation session in house groups! 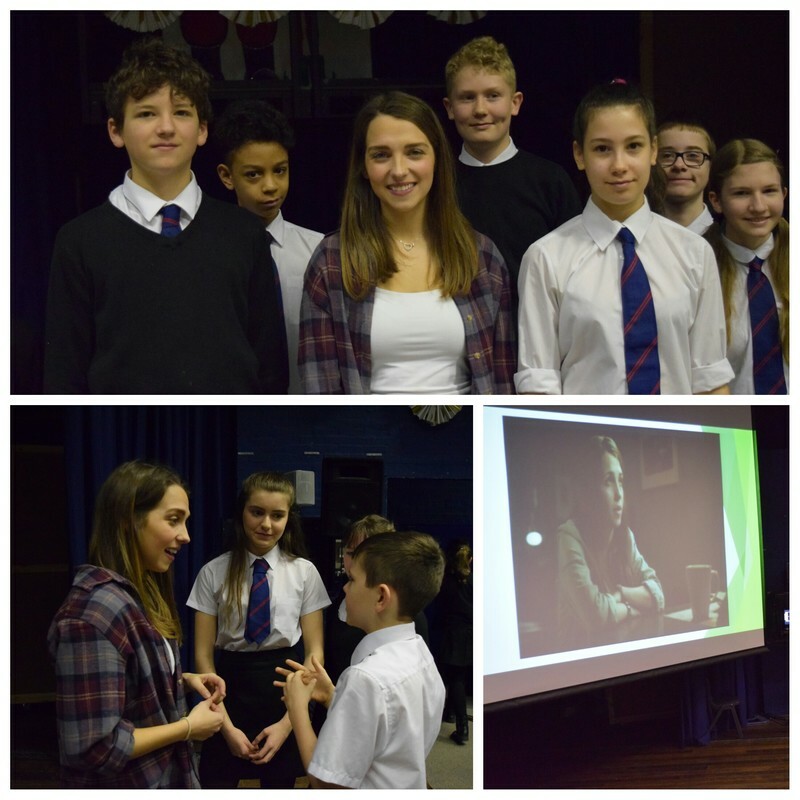 Thursday 2 March - S2 pupils (along with the Drama Group) thoroughly enjoyed a most informative talk from a special guest to Gryffe this morning, former pupil Erin Armstrong. 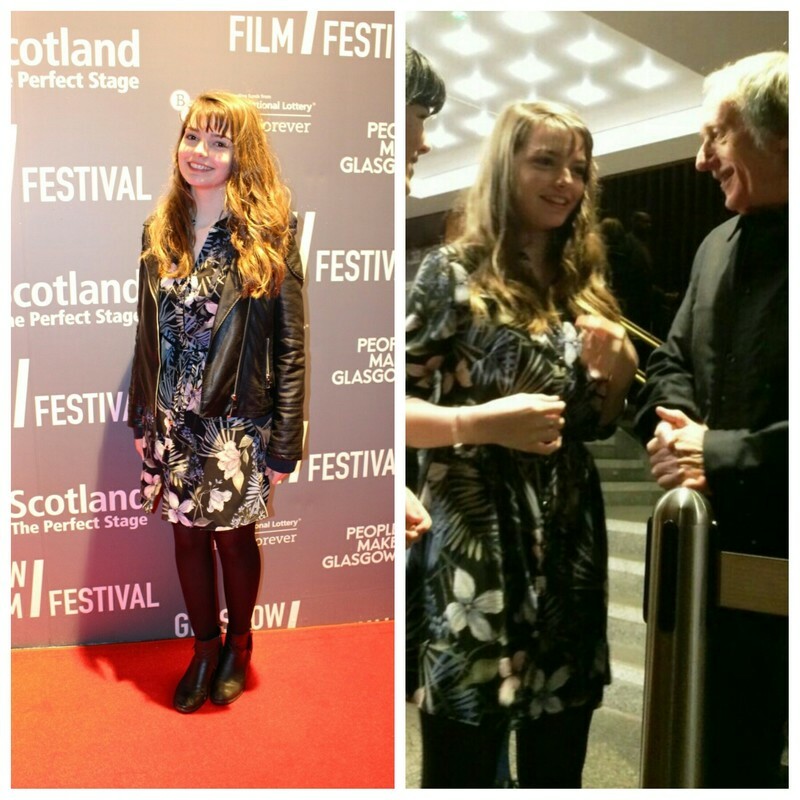 Erin is best known for her role in the BBC Shetland series. 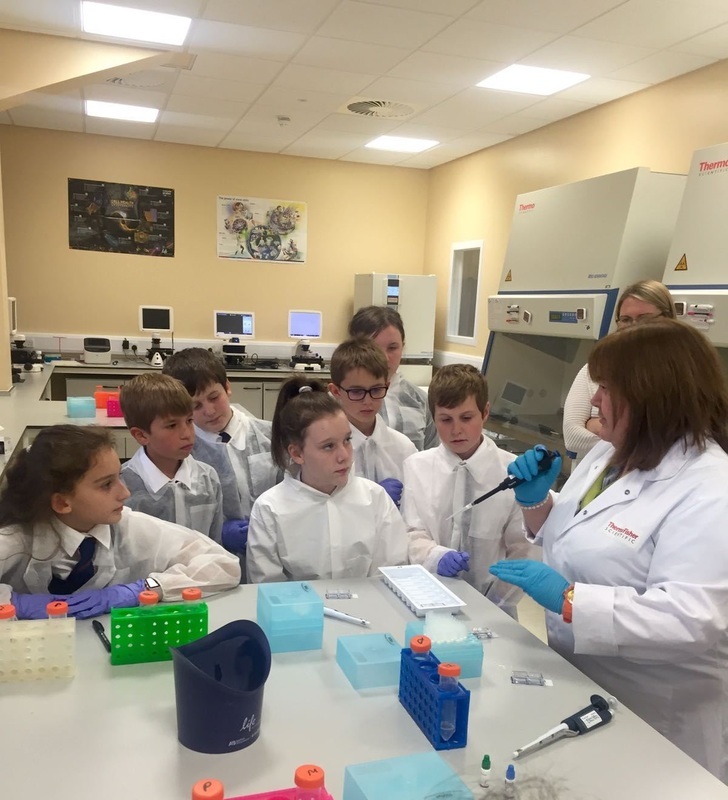 As well as describing and sharing the reality of her job, Erin was able to offer pupils an insight into a wide range of related careers. Thank you Erin for taking time out of your busy schedule. Wednesday 1 March -The MARCH NEWSLETTER has been uploaded and can be found under the 'News' tab, then 'Newsletters'. 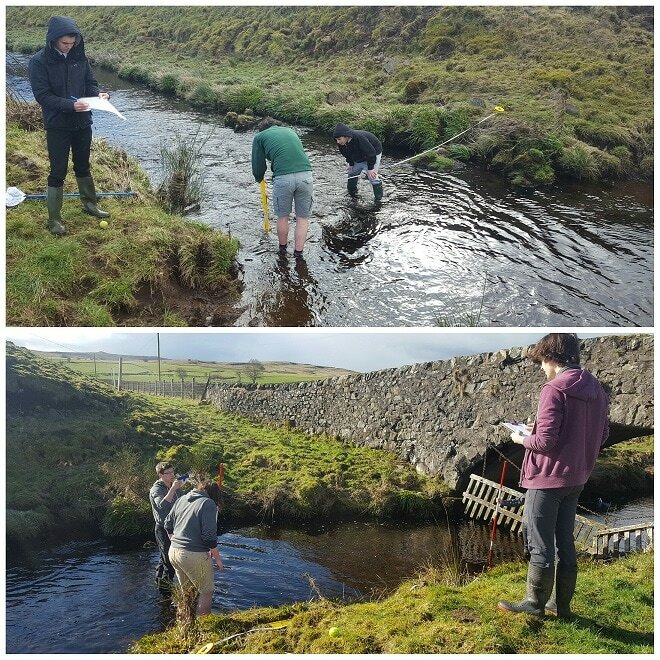 Wednesday 1 March - A lovely afternoon for the final group of S5 pupils to collect river data for their Higher Geography assignments at Green Water in Kilmacolm. 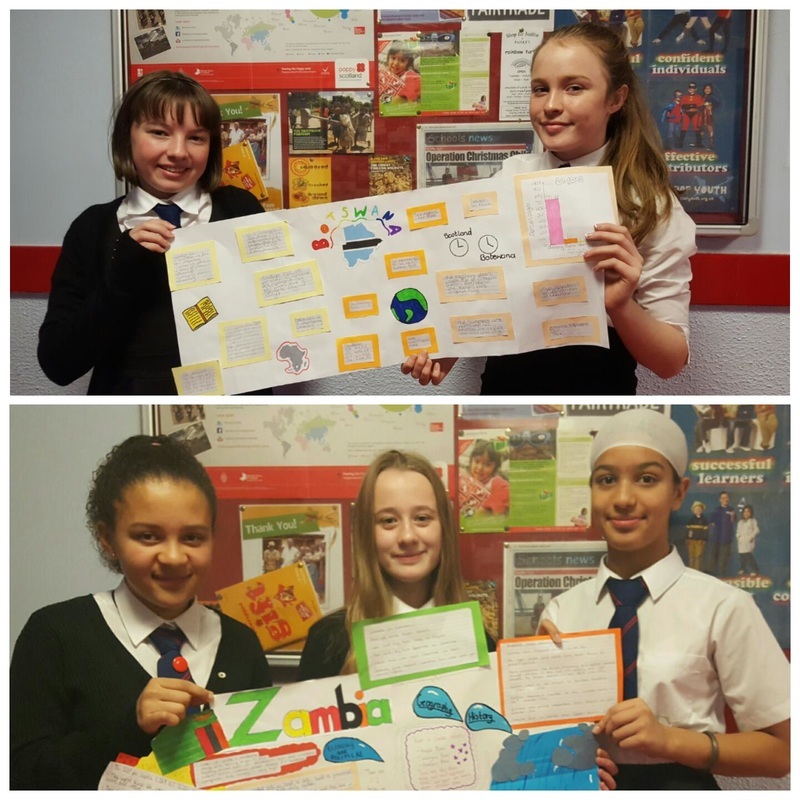 Tuesday 28 February - Thank you to Mary Russell School in Paisley for inviting our Citizenship pupils to share in their Fairtrade Coffee Morning this morning. They had a lovely time and were treated to delicious baking. This is one in a series of events taking place as part of Fairtrade Fortnight. 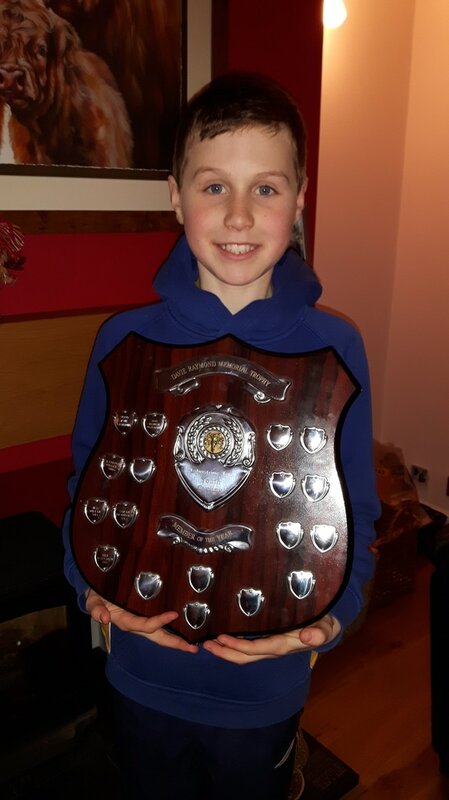 Monday 27 February - Very well done to S1 pupil Keir Gaffney, who has just been presented with the 'Jet of the Year' Shield from his cycling club 'Johnstone Jets'............and more points for Fleming House! 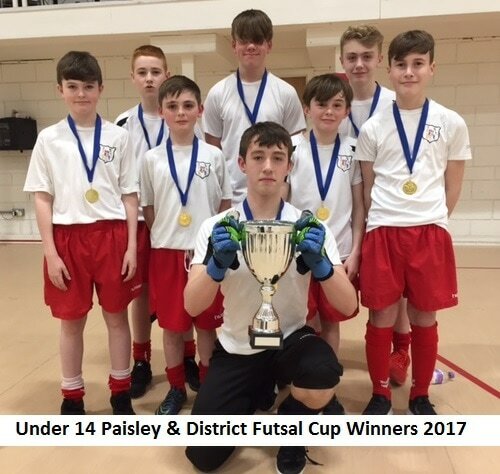 Thursday 23 February - Our Under 14 Football Team won the Paisley & District Futsal Cup at Lagoon Indoor Arena, Paisley. The Futsal is a 5 a-side competition, playing games of 15 minutes duration, and started with 16 teams from across the district, which narrowed to 4 teams in a play off this evening. Well done to all boys involved. 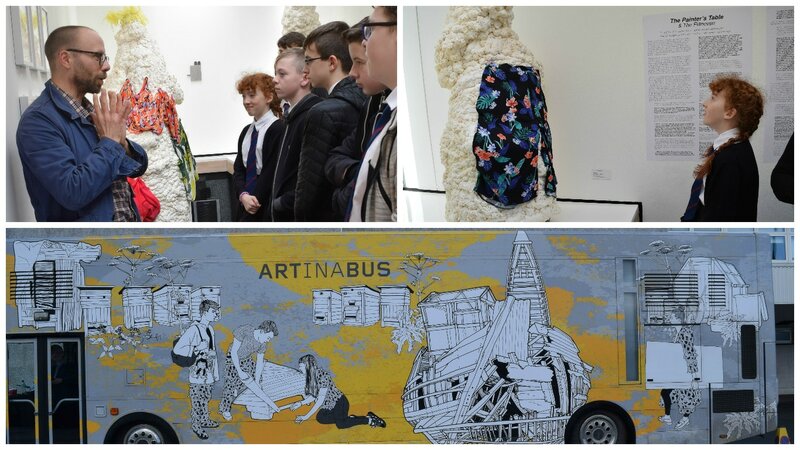 Wednesday 22 February - Art & Design Technology pupils were treated to a visit from the Travelling Gallery bus today. The current exhibition is abstract work and is entitled EAT SLEEP WORK REPEAT. 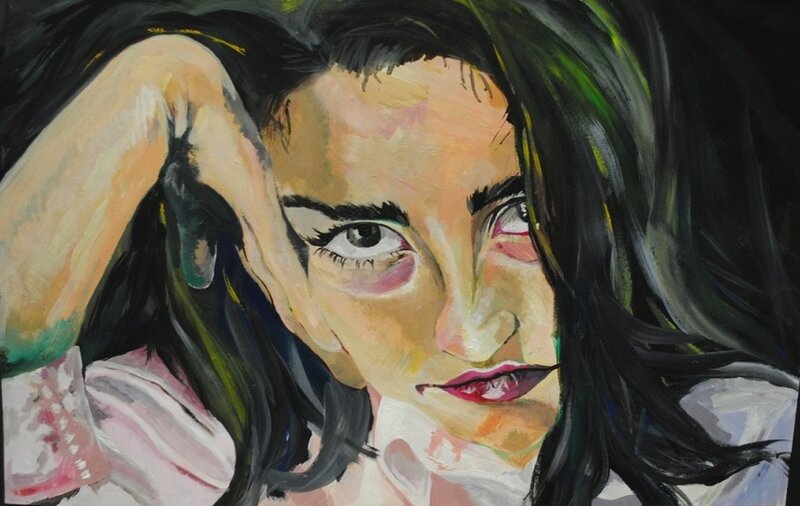 Pupils were encouraged to reflect on the art when they returned to class and compare it with their expectations. More detail in the March newsletter. 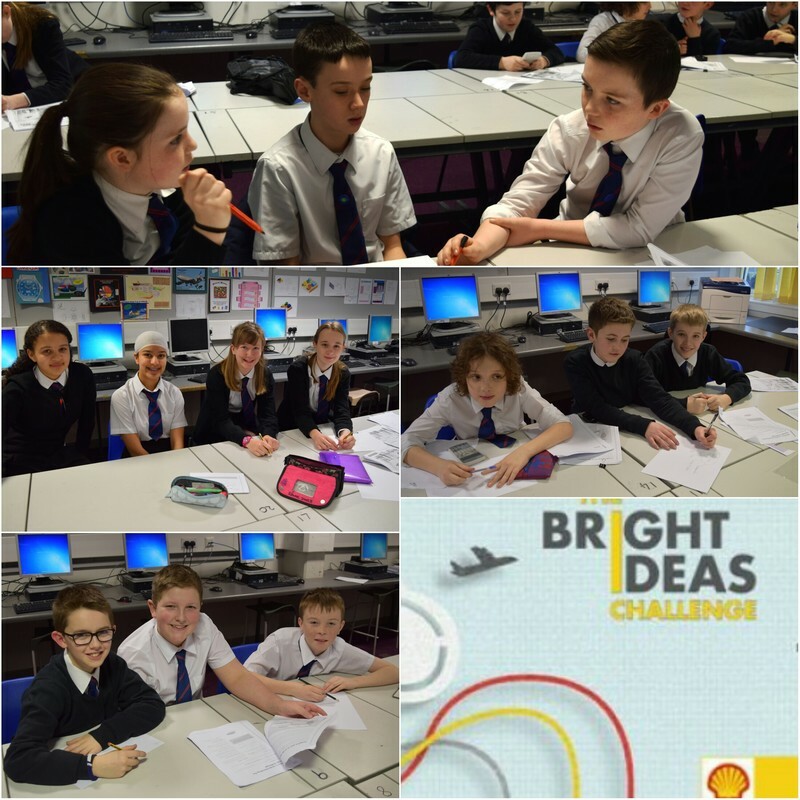 Tuesday 21 February - Today was the second session of the Shell Bright Ideas Challenge. 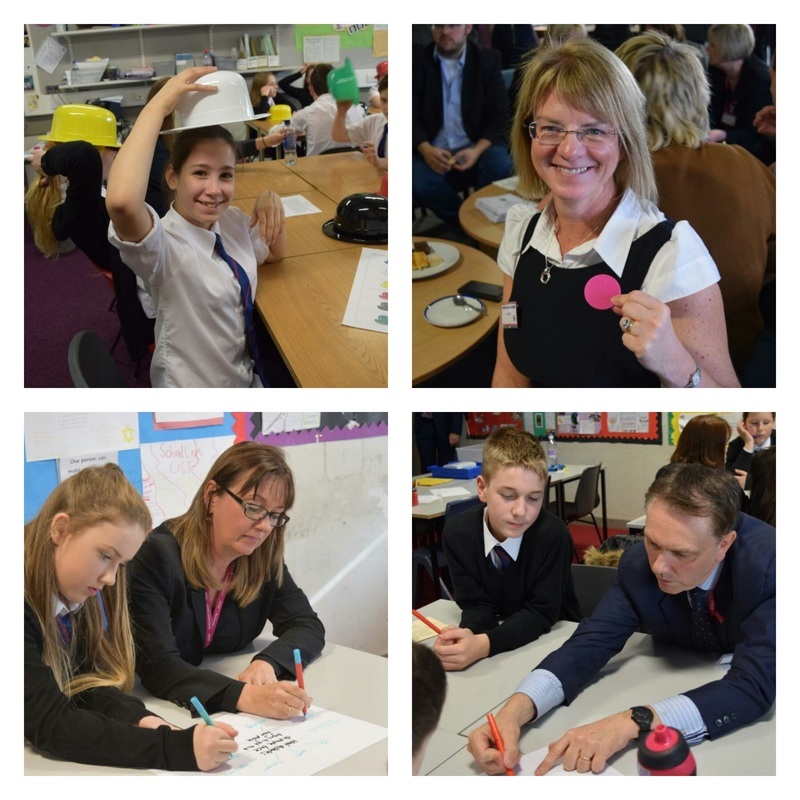 Pupils meet in GD2 at lunchtime with Mrs Malloch and put their STEM Thinking Caps on to develop a solution to the world's growing energy crisis. 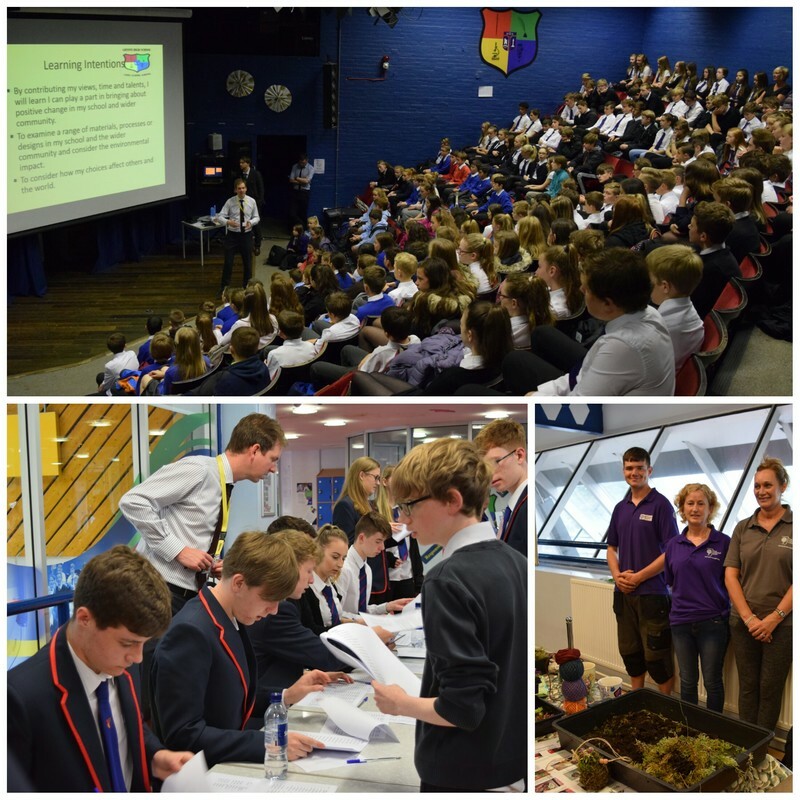 Pupils will learn about sustainability and real global issues and will enter regional competitions later in the year. Tuesday 21 February - Several pupils enjoyed success in the recent UKMT Intermediate Maths Challenge. 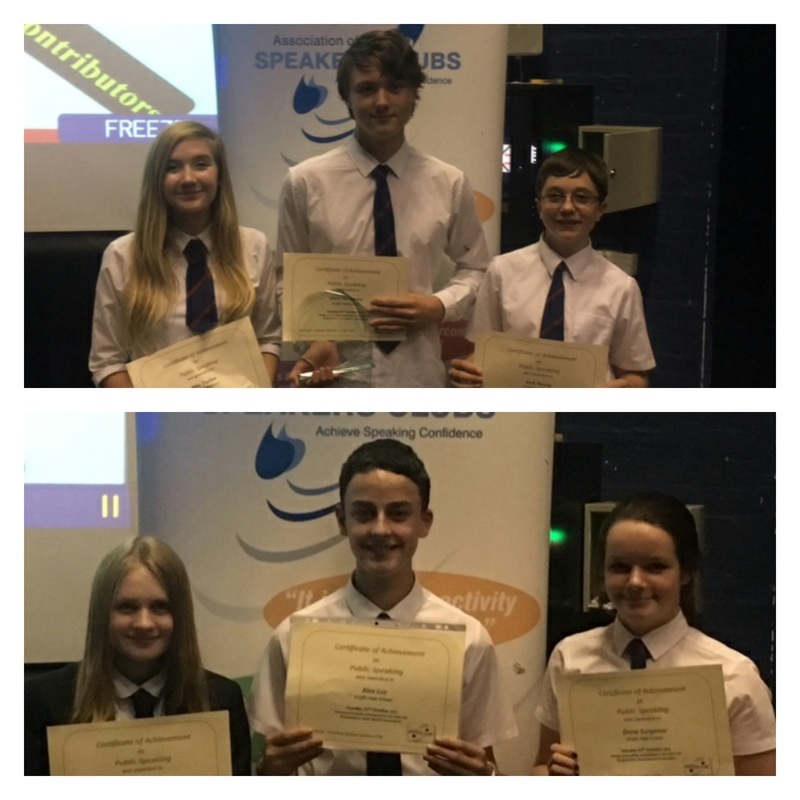 S3 achieved 1 Silver and 2 Bronze Awards and S4 achieved 1 Gold, 1 Silver and 11 Bronze Awards. Ross Moglia (S4) was Best in School and his High Score gives him selection for a further round of the competition. Well done to all! 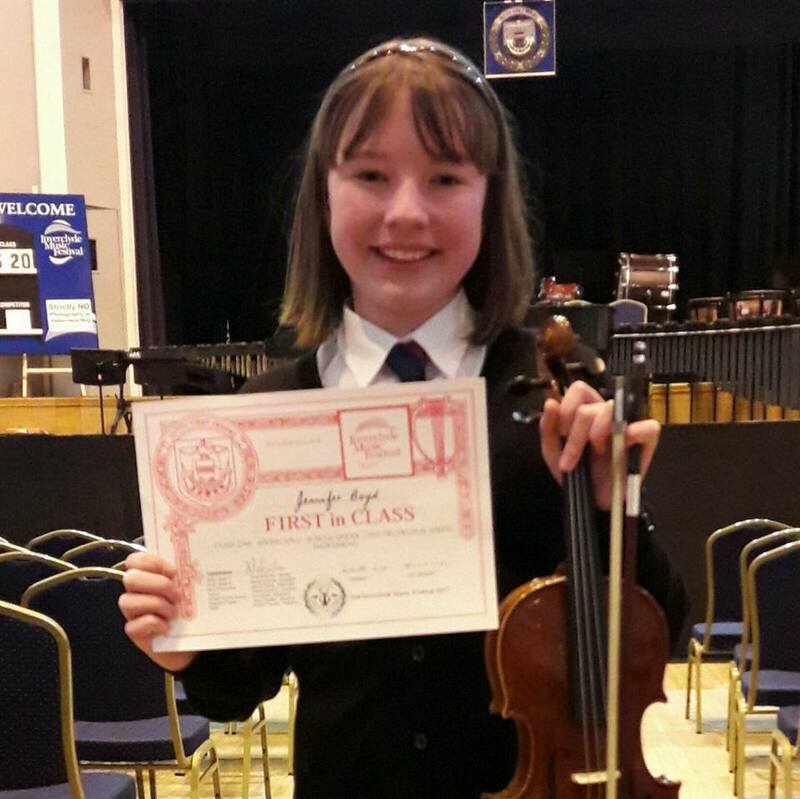 Tuesday 21 February - Well done to Jennifer Boyd S2, who recently achieved a 'First in Class' Award at the Inverclyde Music Festival for her violin playing. 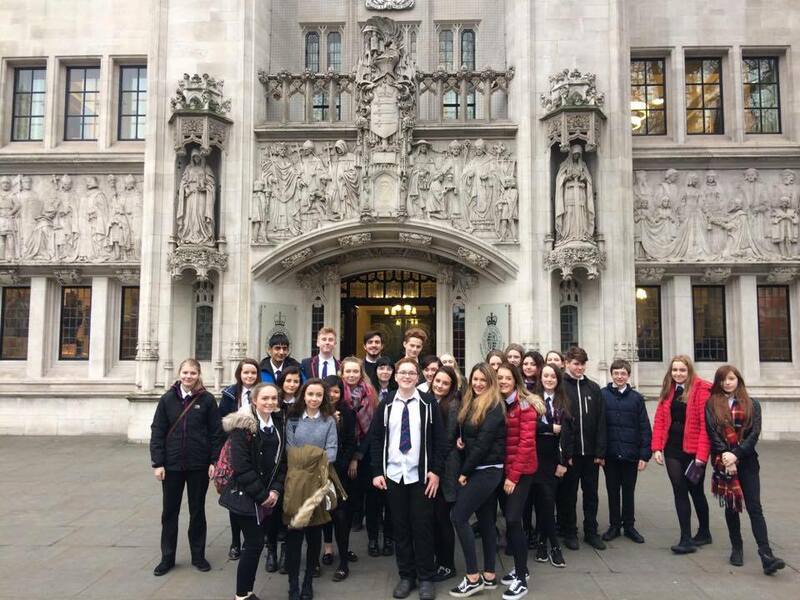 Wednesday 15 February - Modern Studies enjoyed an educational trip to London where they had the opportunity to visit The Supreme Court and UK Parliament. More detail in the March newsletter. Friday 10 February - Staff started the day with a presentation from Mr Ken Edward, Skills Development Scotland, on Career Education Standard. 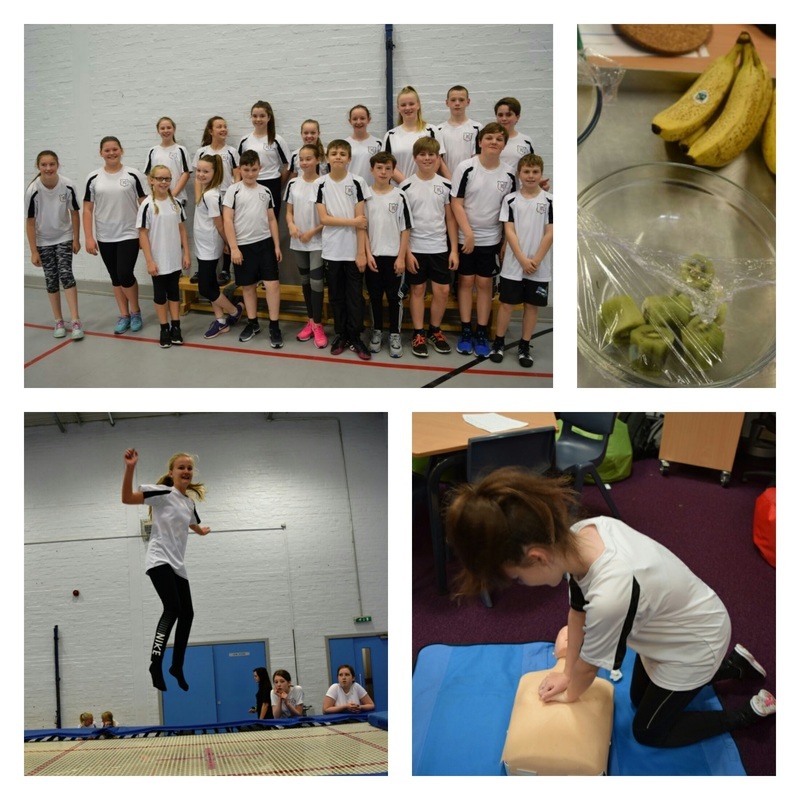 This was followed by presentations on: our school's Vision, Aims and Values; Peer Partnership; Resilience; followed by staff enjoyed a range of Healthy activities at lunchtime, as part of a busy In-Service Day focusing on Pupil Health and Wellbeing. 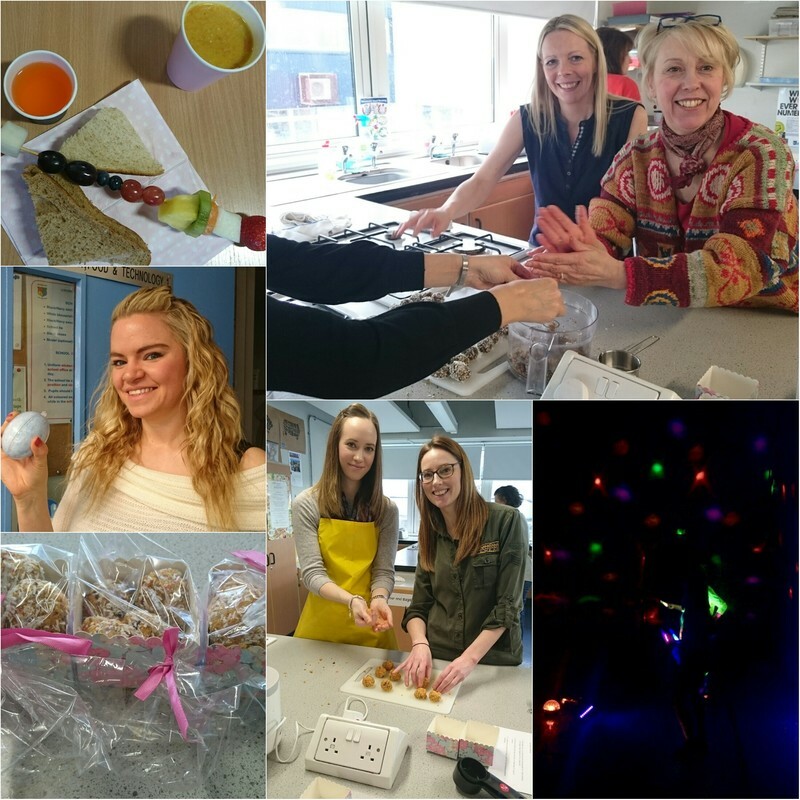 Our picture shows staff at lunchtime making a Lean Snack (in 15 mins), making a Bath Bomb and 'Clubbercise' (complete with Glowsticks). 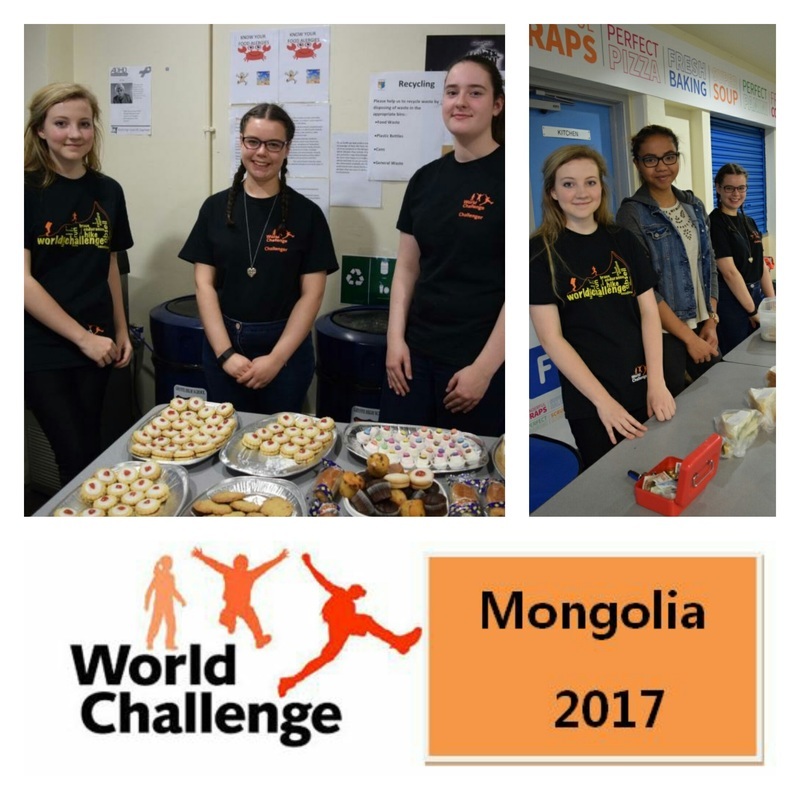 Staff enjoyed some delicious fruit at interval and gave a donation to World Challenge pupils who provided a lovely healthy lunch. 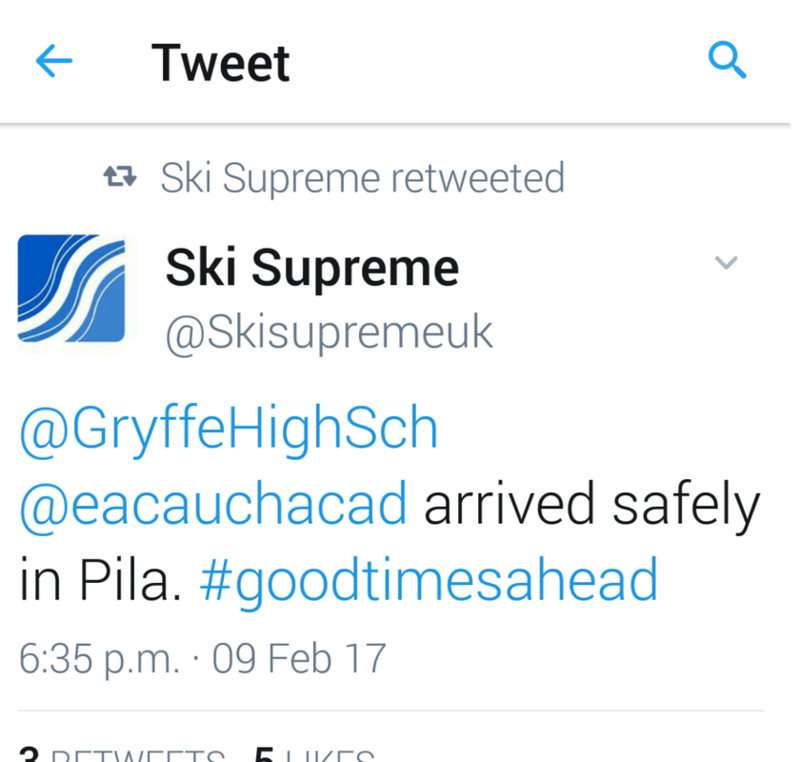 Friday 10 February - Pila Ski Trip - enjoy your first day on the ski slopes! 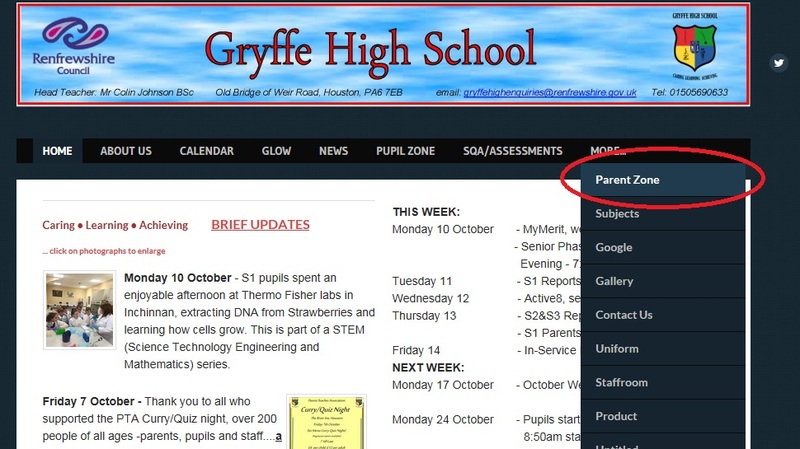 Follow @GryffeHighSch on Twitter where we will be retweeting SkiSupreme who are giving regular updates. 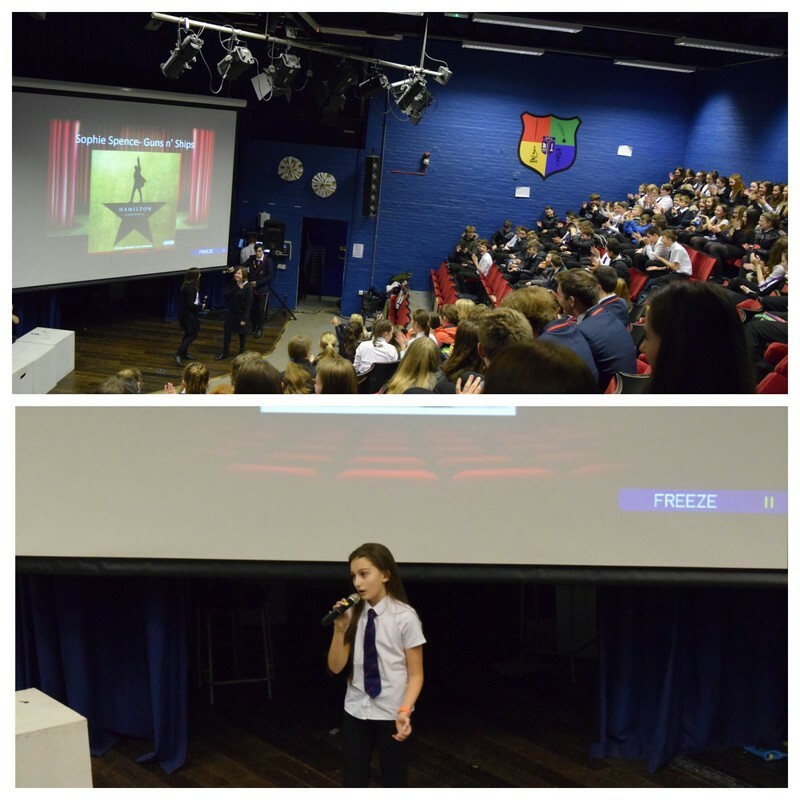 Thursday 9 February - S2 pupils found themselves in 'Contestants Row' as Mr Anderson (who has apparently been rehearsing for this starring role for quite some time!) 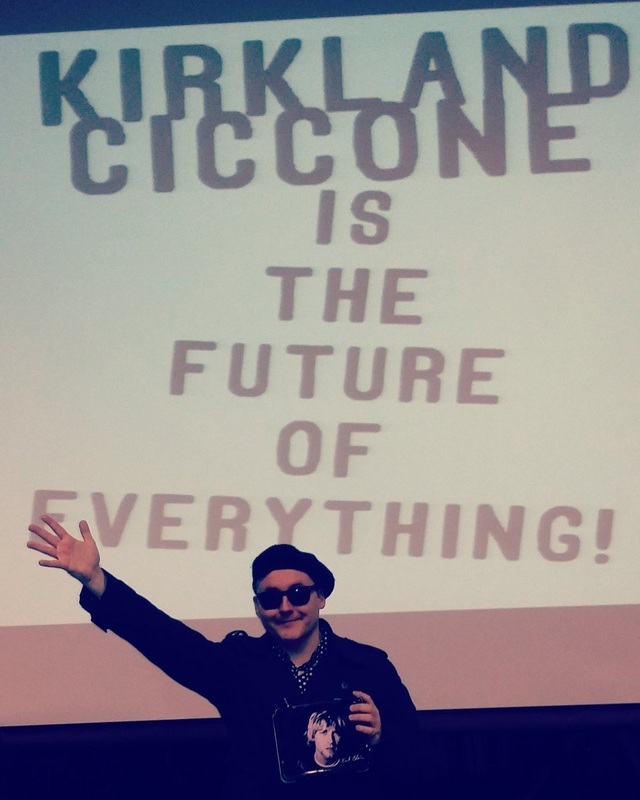 hosted an exciting edition of 'The Price is Right'. 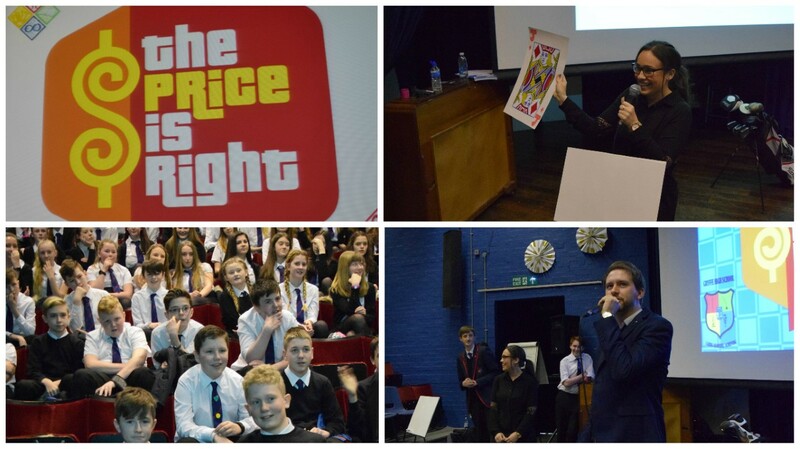 Pupils thoroughly enjoyed this S2 Money week event, where they even estimated the price of Mr Christie's golf clubs! 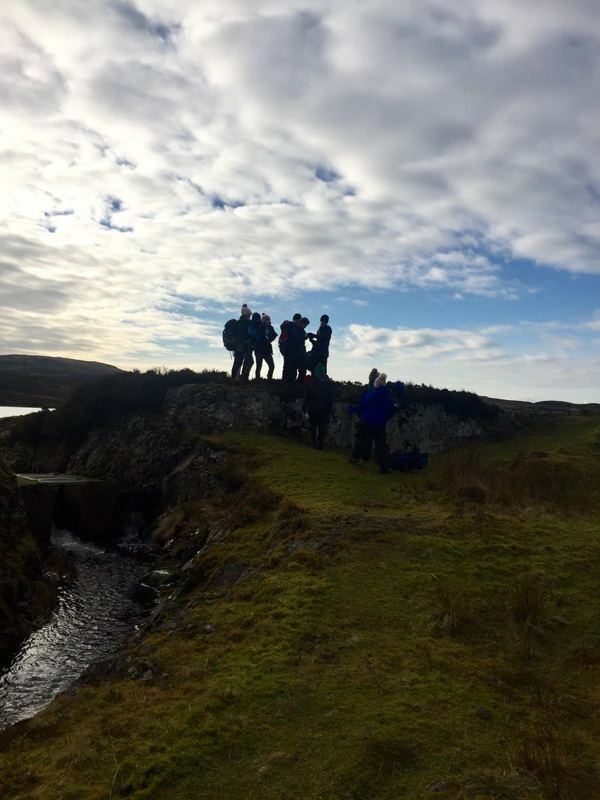 Thursday 9 February - S3 pupils enjoyed their Duke of Edinburgh Bronze Day Walk at Greenock Cut. This was their first walk and they were able to put their recently learned map reading skills to good use. This was the second group out this week, with a third group out tomorrow. 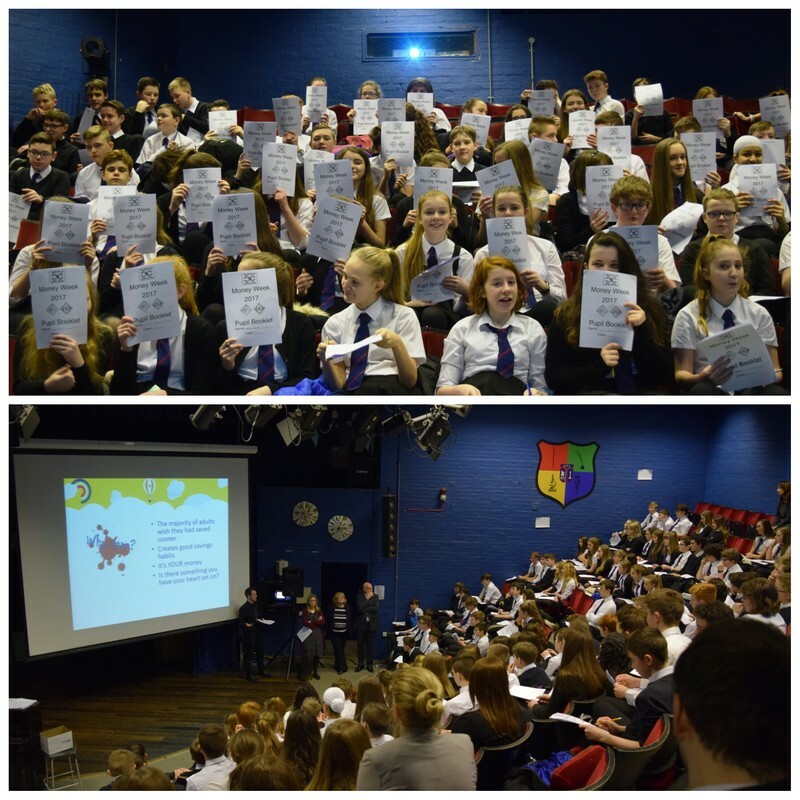 Monday 6 February - .......and it is down to Money Business for the S2 pupils. The pupils enjoyed Savings advice from Scotwest Credit Union who visited the school this morning to launch Money Week. The pupils have each been issued with a Money Booklet to complete throughout the week. A finance theme will be integrated with normal subject lessons. Monday 6 February - This is the start of Money Week! 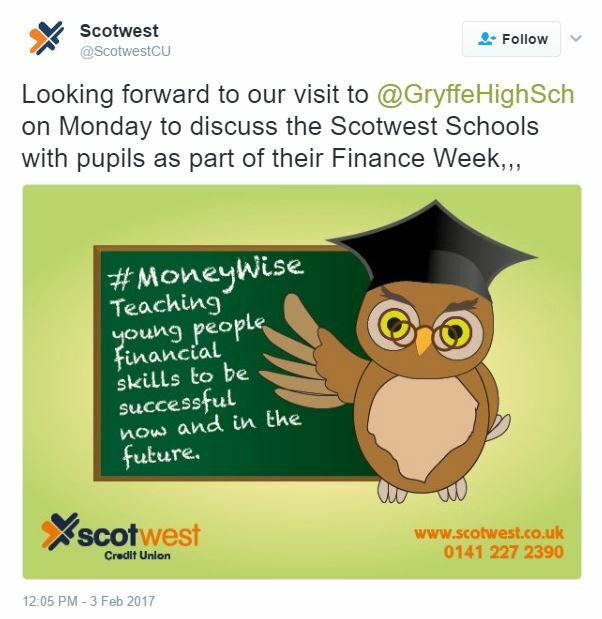 A numeracy focus primarily for S2, which includes a visit from Scotwest giving the opportunity to learn all about finance. 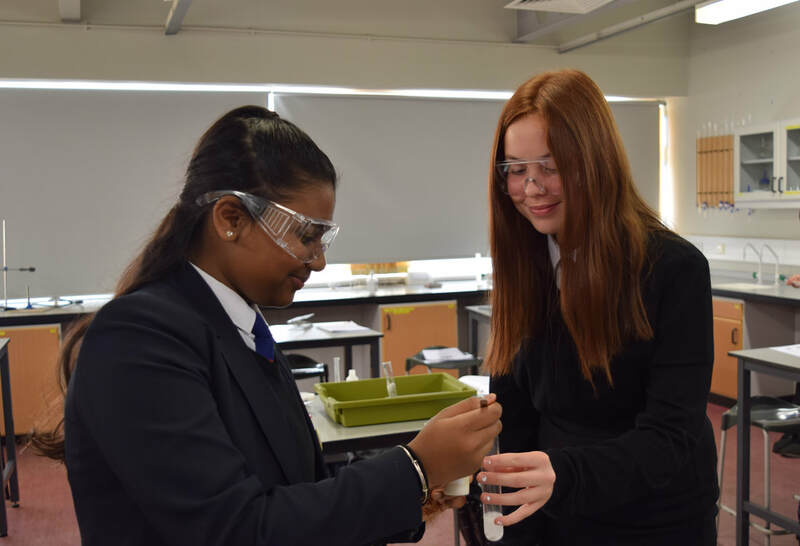 Wednesday 1 February -The FEBRUARY NEWSLETTER has been uploaded and can be found under the 'News' tab, then 'Newsletters'. 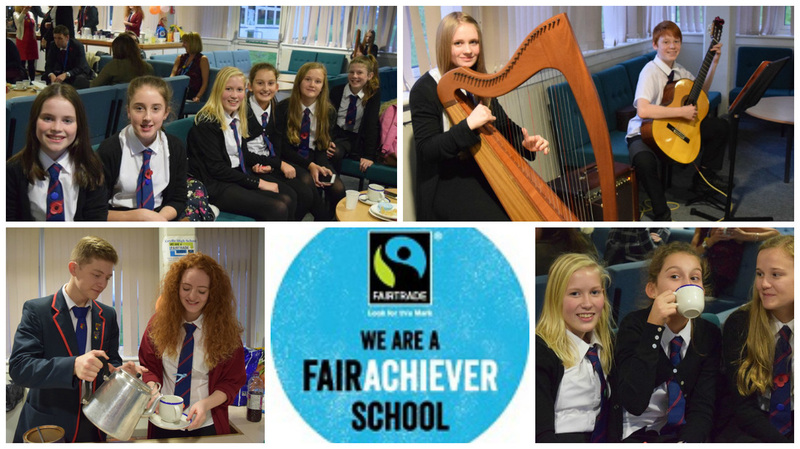 Friday 27 January - Gryffe hosted a most enjoyable Fairtrade Vertical Learning Conference today, in partnership with pupils from Mary Russell School in Paisley. Wednesday 25 January - A fantastic response to the Blood Donor bus in Gryffe today. The booking sheet is full with more than 40 S6 pupils signed up to donate blood. 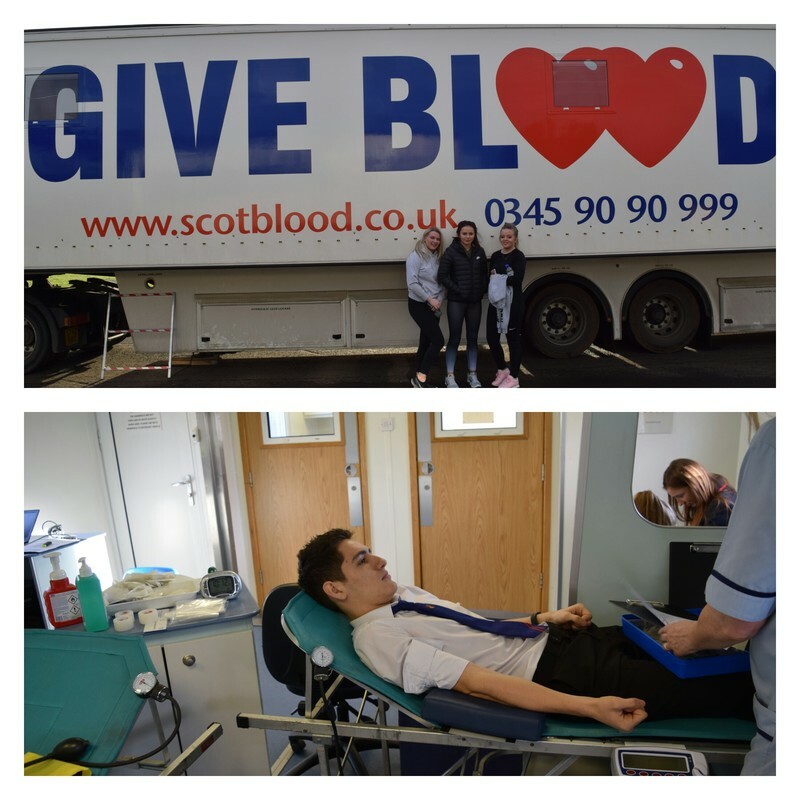 This is a reflection on the highly informative appeal from the Blood Donor Service that all S6 pupils recently attended. 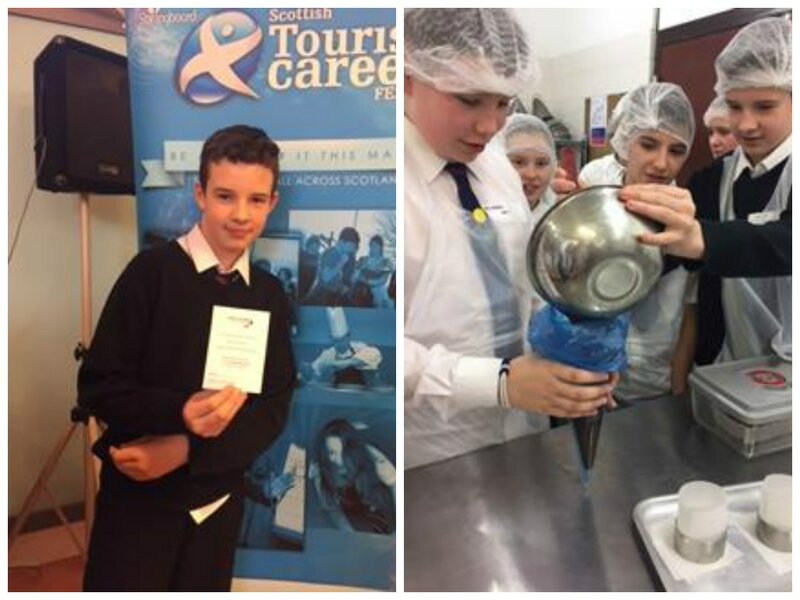 Friday 20 January - Well done to S3 Health, Food & Technology pupils on passing their 'Elementary Food Hygiene' course. 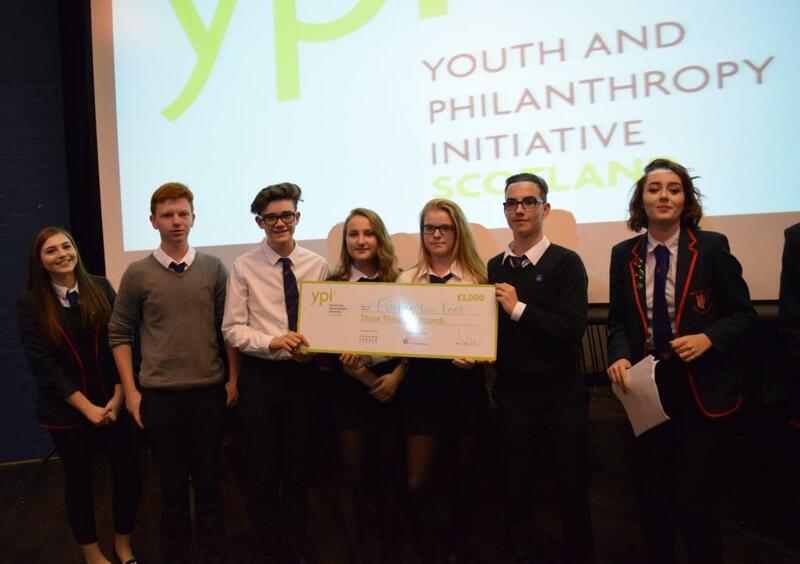 This award is presented by the Royal Environmental Health Institute of Scotland. REHIS acts as the awarding body for a number of qualifications in Food Safety, Food and Health, Control of Infection and Occupational Health and Safety. Friday 20 January - 12 amazing performances were enjoyed last night in the theatre from extremely talented Young Musician of the Year Finalists . Adjudicator David Murray had the difficult job of choosing the winners. Very well done to everyone involved and special congratulations to the winners in each category - Gregor Hewitt (Junior), Katie Reid (Intermediate) and Jasmine Galvin (Senior). 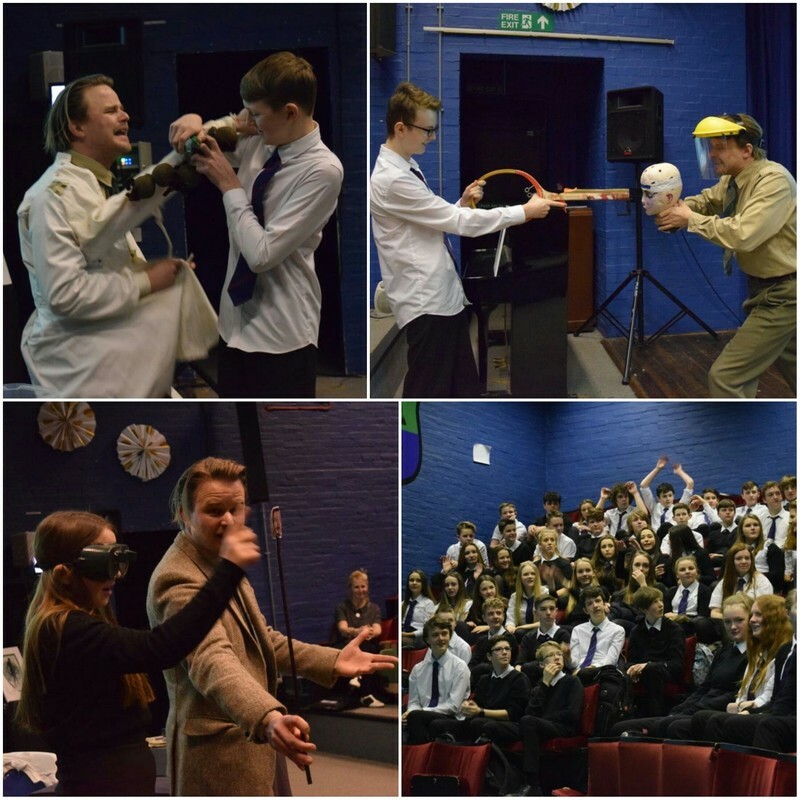 Wednesday 18 January - S3 Scientists were treated to an exploration of the Zombie brain by chief Zombie Scientist Dr Howe from the University of Glasgow. Inspiring stuff! 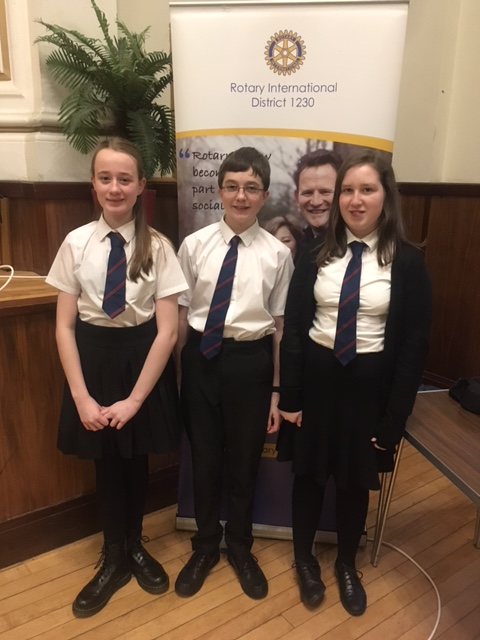 Sunday 15 January - The Youth Speaks 2017 Intermediate final took place in Pollockshaws Burgh Hall, Glasgow. 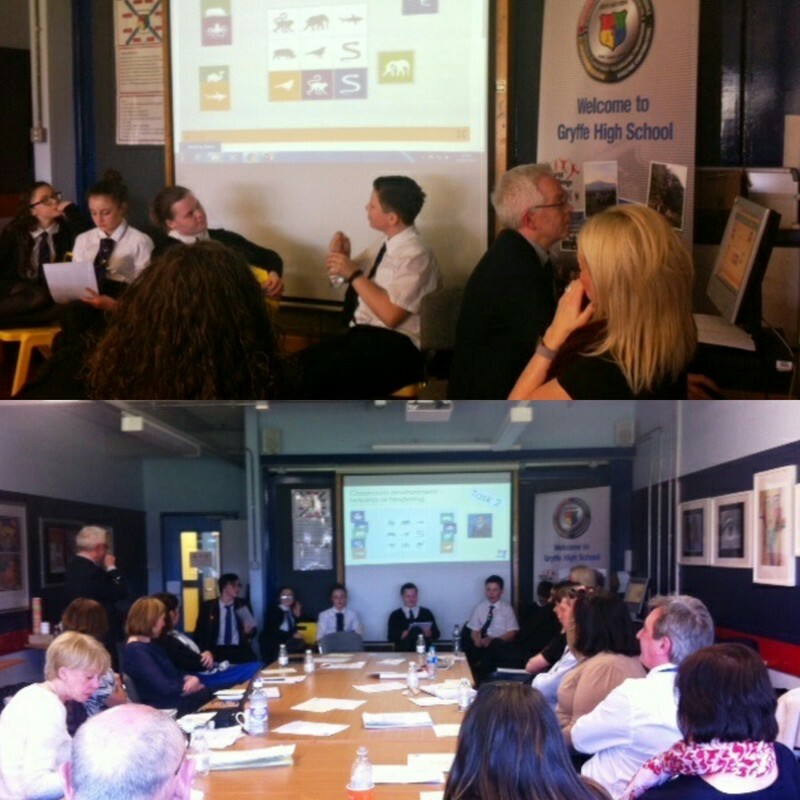 Our Gryffe team explored the extent to which prison is the best option when it comes to dealing with criminals. More detail will be in the February Newsletter. 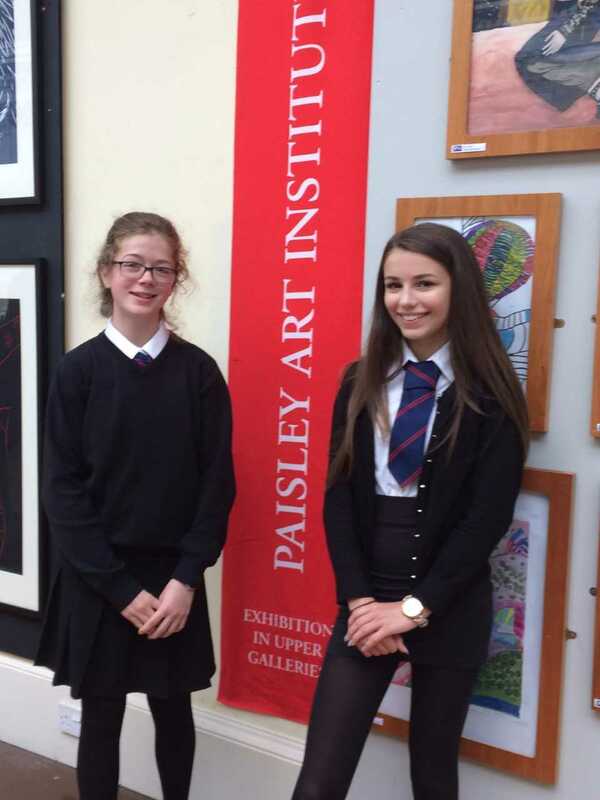 Tuesday 10 January - ​Well done to - Laura Maskrey, Ciara Nicholson, Paul Hamill, Alix Stewart, Emma Campbell, Mhairi Reid Carly McCallum, Amie Moran & Libby Cole - for having their drawings selected for this year's Inspired exhibition in Paisley Art Gallery & Museum. The picture shown here is Laura Maskreys. Friday 6 January -The JANUARY NEWSLETTER, and the Mid Season Sports Report - January 2017, have been uploaded and can be found under the 'News' tab, then 'Newsletters'. 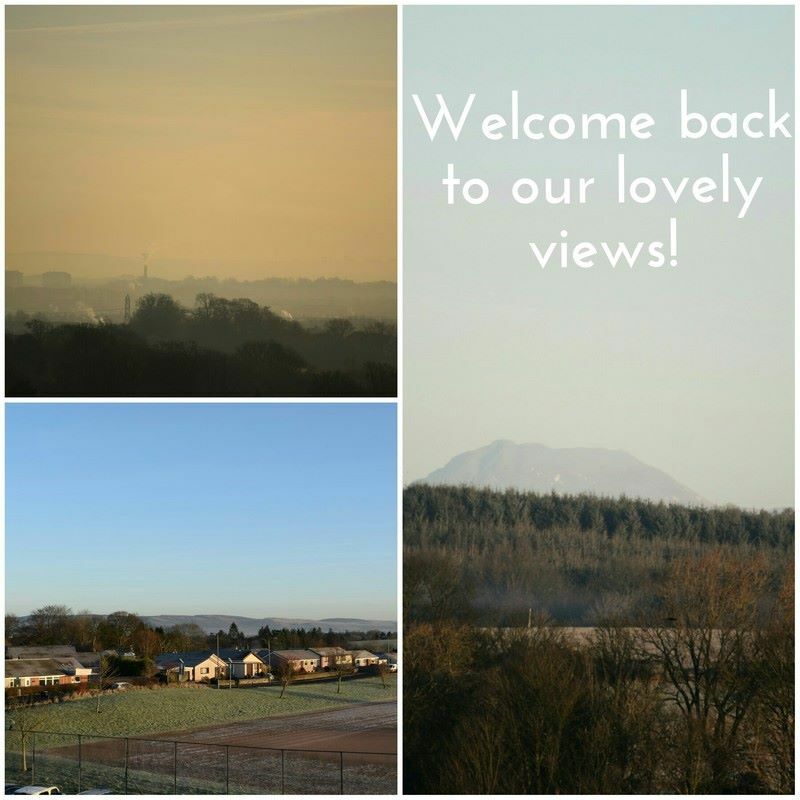 Thursday 5 January - Some great views from the school this morning (including Ben Lomond) to welcome everyone back to 2017. 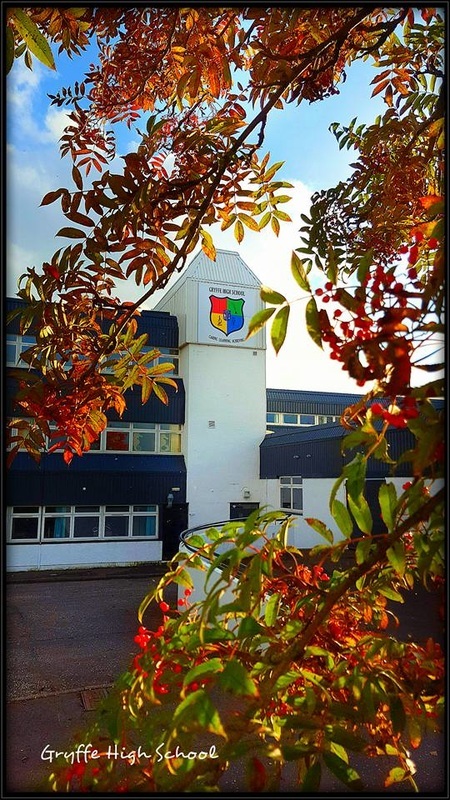 With S5/6 Prelims starting on Monday 9th, we wish all of our pupils, staff, parents/carers a happy and successful year. 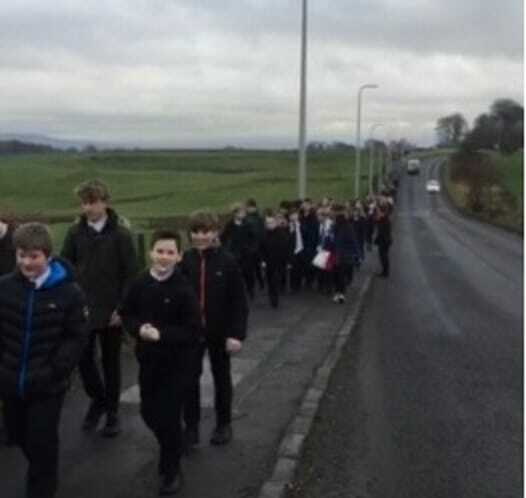 Tuesday 20 December - S1, S2 and S6 pupils just keep coming over the hill and enjoy a brisk walk to Freeland Church, Bridge of Weir, for our Christmas Service. 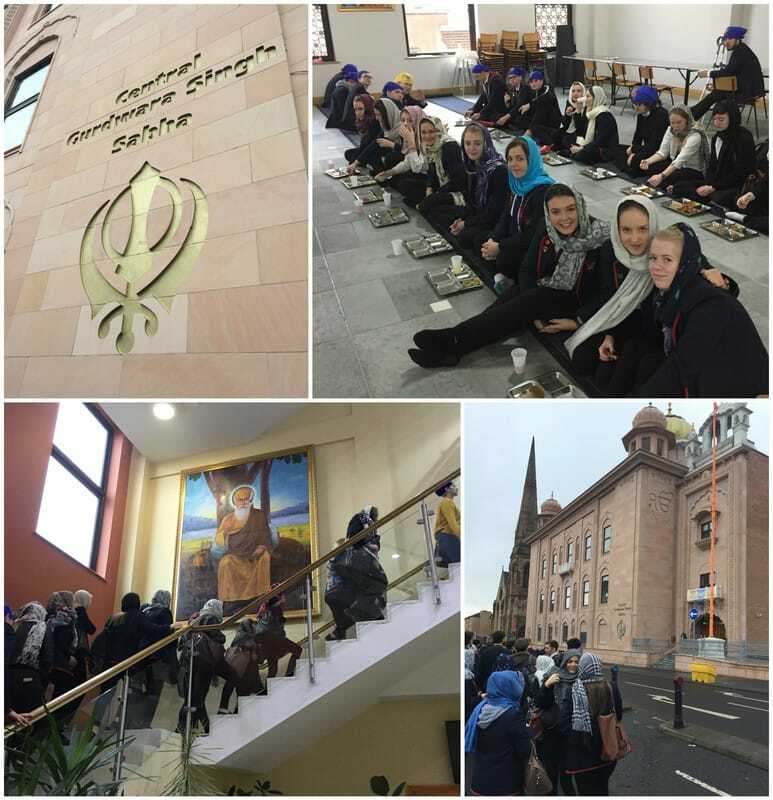 Monday 19 December - Higher RMPS pupils had a highly enjoyable and informative trip to the Sikh Gurdwara in Glasgow. 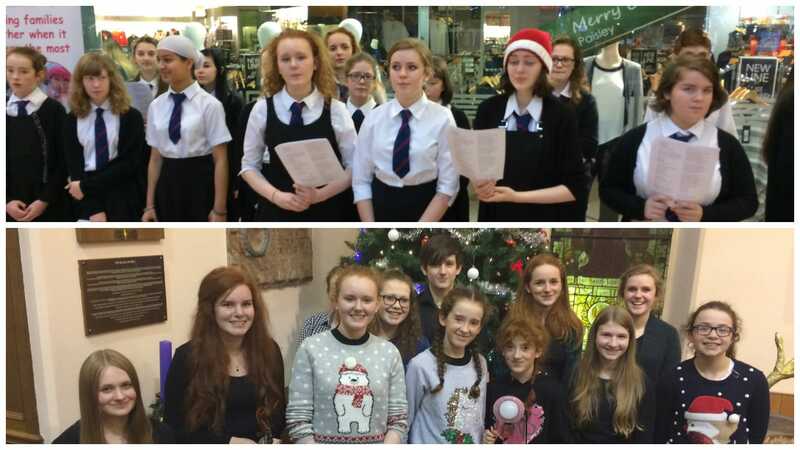 Monday 19 December - The choir have been out and about singing for some very good causes. Firstly, in the Paisley Centre for Ronald McDonald House and then joining in the Big Sing in Houston and Killellan Church raising funds for Solar Lamps for Mwandi. 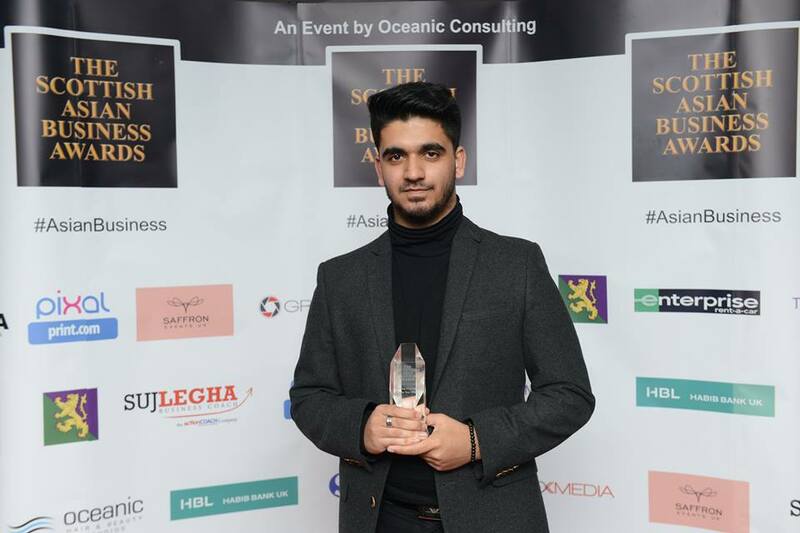 Monday 19 December - Well done to S6 pupil Aqib Afzal awarded 'Young Achiever of the Year' at The Scottish Asian Business Awards held at the Crowne Plaza in Glasgow. Aqib has started his own promotion company called 'AQMedia' specialising in short, fast paced videos. Photo used with kind permission from 'The Scottish Asian Business Awards'. 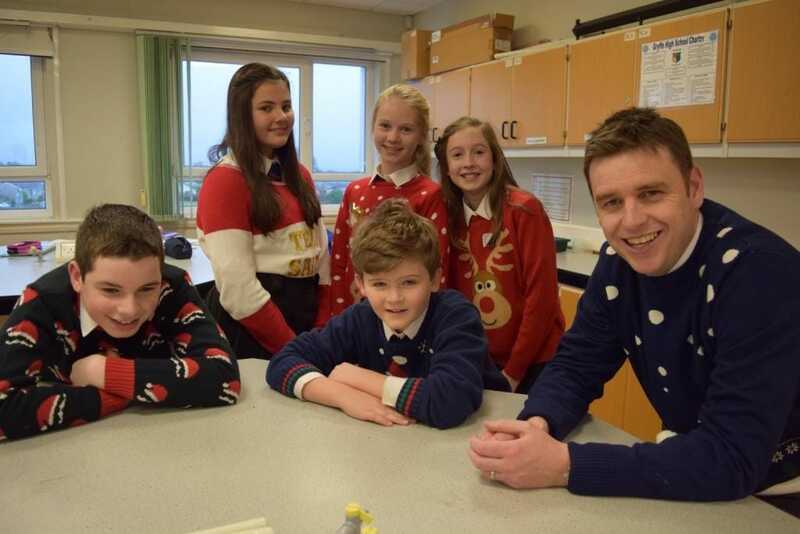 Friday 16 December - It is beginning to look a lot like Christmas!........Today pupils and staff took part in National 'Save the Children' Christmas Jumper Day. A little Festive Fun, but a more serious message that the money raised will help children around the world enjoy basics like healthcare, education, protection and food. 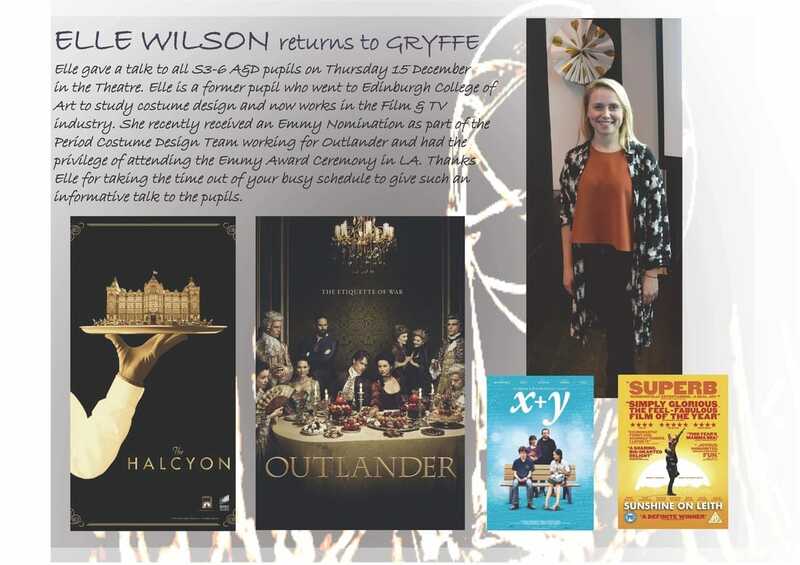 Thursday 15 December - Former pupil Elle Wilson gives a presentation to pupils about career pathways in the Film and TV Industry. Thursday 15 December - The Higher/Advanced Higher Preliminary Examination diet for January 2017 has been uploaded under the 'News' tab, then letters. 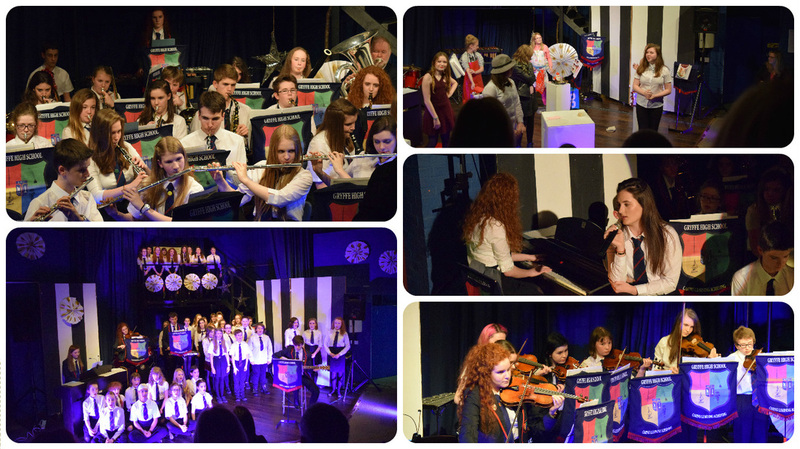 Wednesday 14 December - It was great to see a packed theatre last night for a most enjoyable Christmas concert. 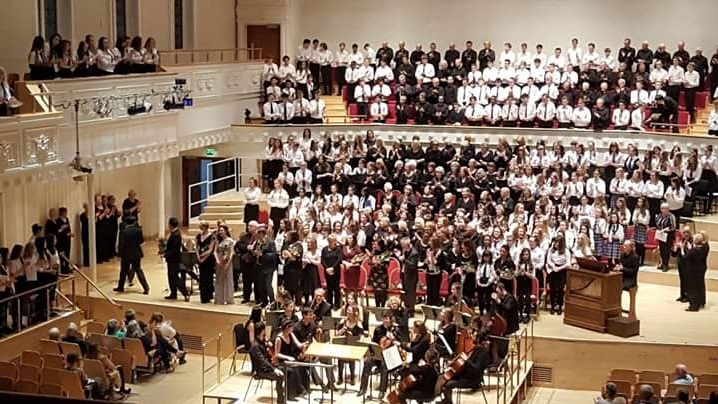 A Festive Feast of excellent musical talent on display from more than 100 pupils across all year groups.....including a little ballet, the S1 Drama Bake-Off and a return guest conductor to encourage A LOT of audience participation. Full detail in the January newsletter. 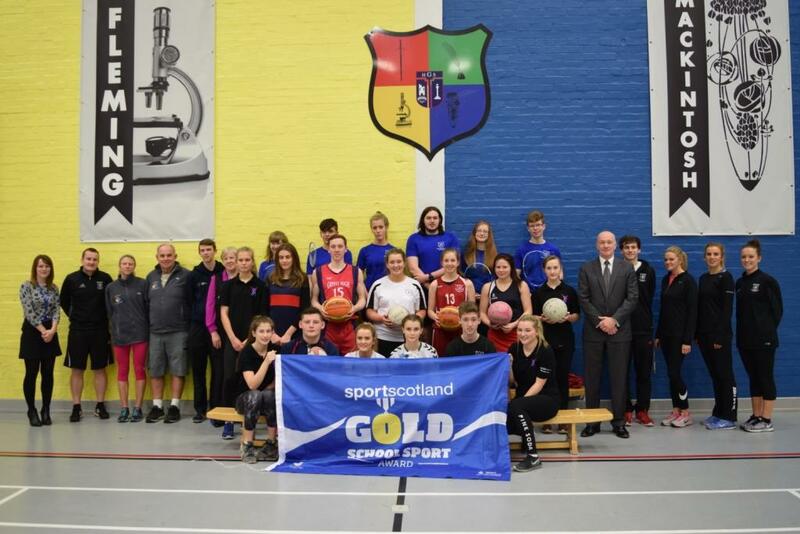 Monday 12 December - Following our application for a sportscotland School Sport Award at the end of last session, we were delighted to receive a Gold School Sport Award. ​More detail will be in the January Newsletter. 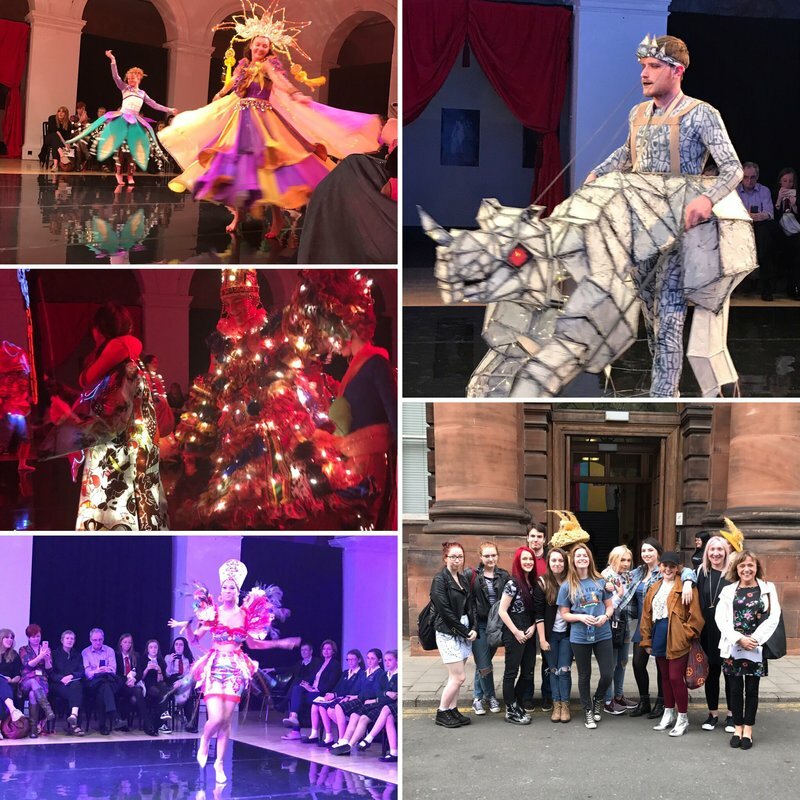 Monday 12 December - A group of senior A&D pupils visited the Fashion & Textiles departments at Glasgow Clyde Cardonald campus. It was an opportunity to see the range of courses on offer and also meet up with some ex pupils studying these courses at present. This was both a productive and enjoyable trip for everyone. 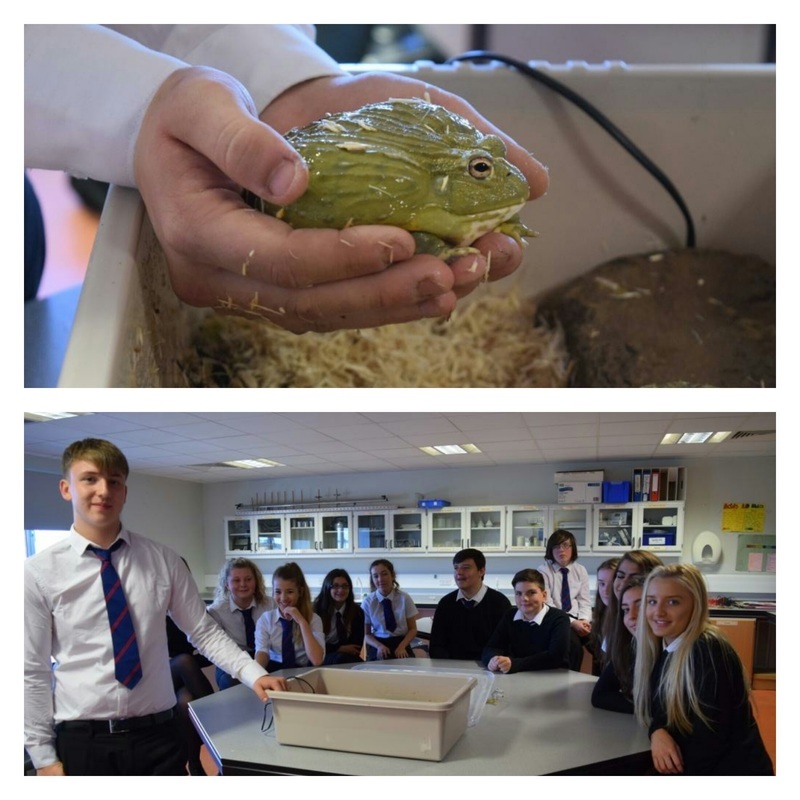 Friday 9 December - S2 pupils excelled themselves today with their ABC Cafe Project presentations. They had to come up with a full Business Plan, including marketing, finance and interior design of their cafe with some special features. 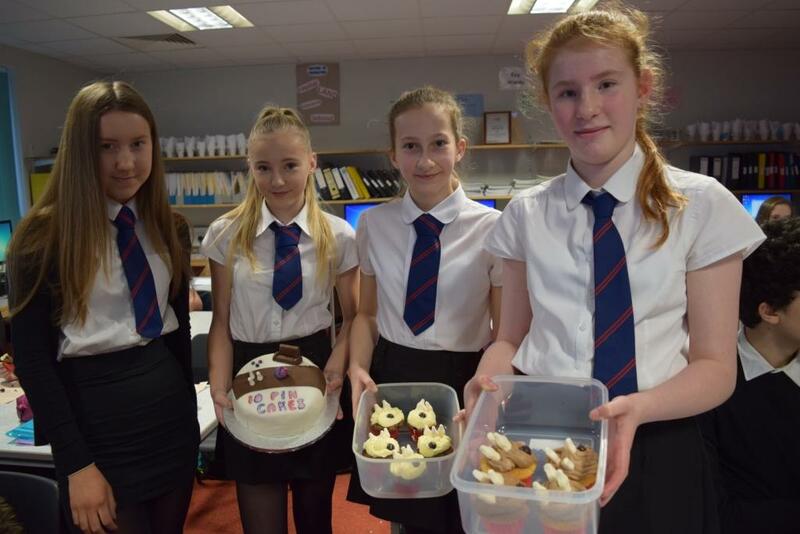 One group including Alanna Bell, Emily Robb, Morven Sanderson and Eilidh Campbell even baked some lovely cakes to complete their Cafe! 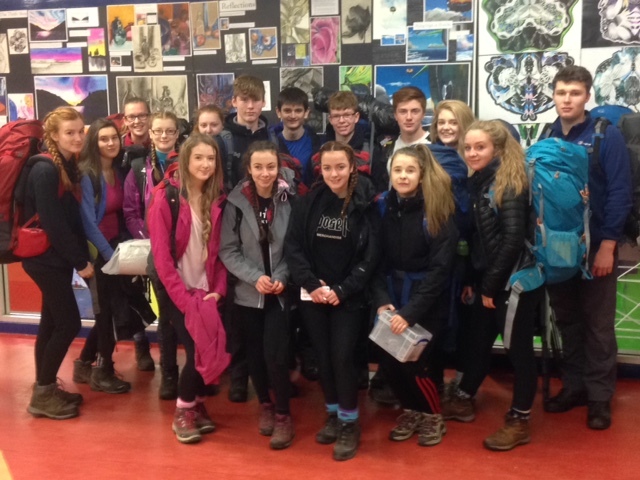 Friday 9 December - An incredible 18 pupils set out in their DoE Gold Award practice walk in Aberfoyle..... all smiling faces ready to challenge the rain and terrain .. approx 18 km walk! 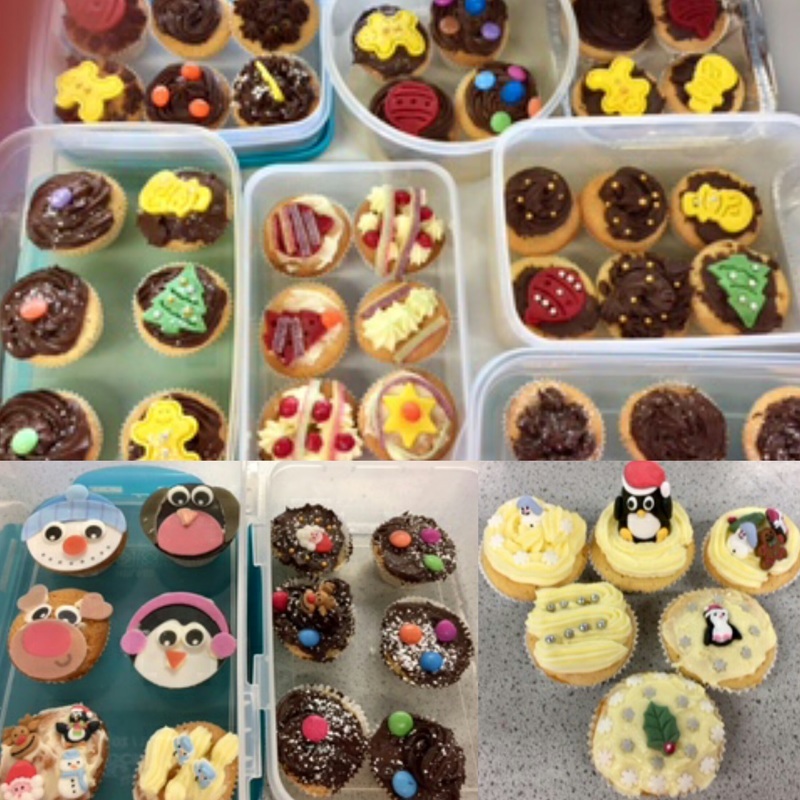 Thursday 8 December - S3 have been busy in HFT making festive treats. Well done on your designs. Wednesday 7 December - A thoroughly entertaining evening tonight at the MAD show in the school Theatre. 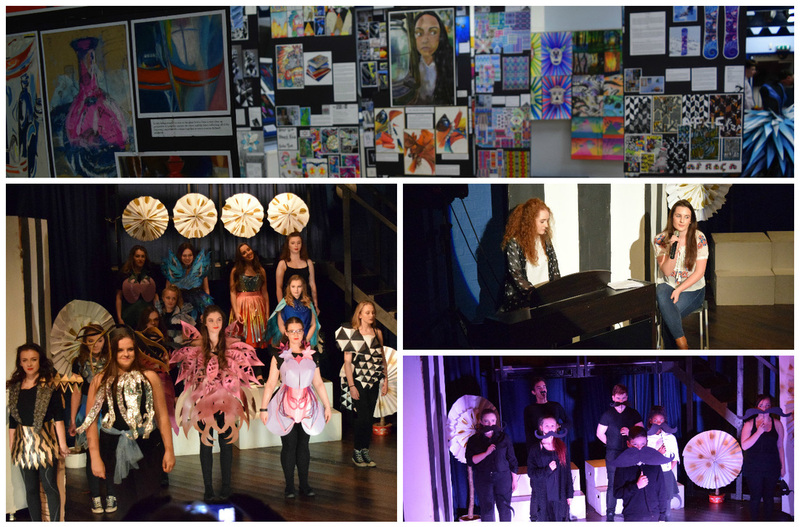 Music, Art and Drama combined to dazzle the audience with a very skillful, fast moving and vibrant performance. Well done to Mrs Wilson and everyone who contributed their time and talents. Full detail in the January newsletter. 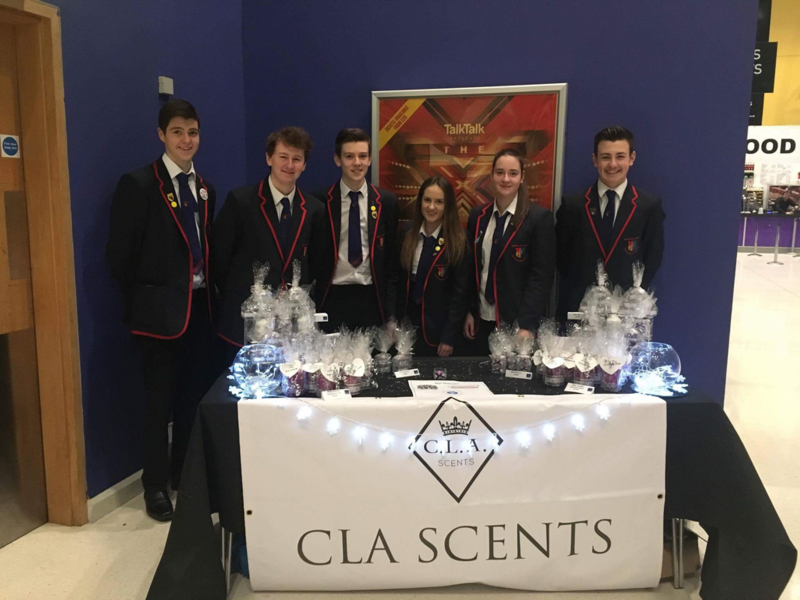 Saturday 3 December - Gryffe's Young Enterprise team had a very successful night of trading at the Braehead Clan game. 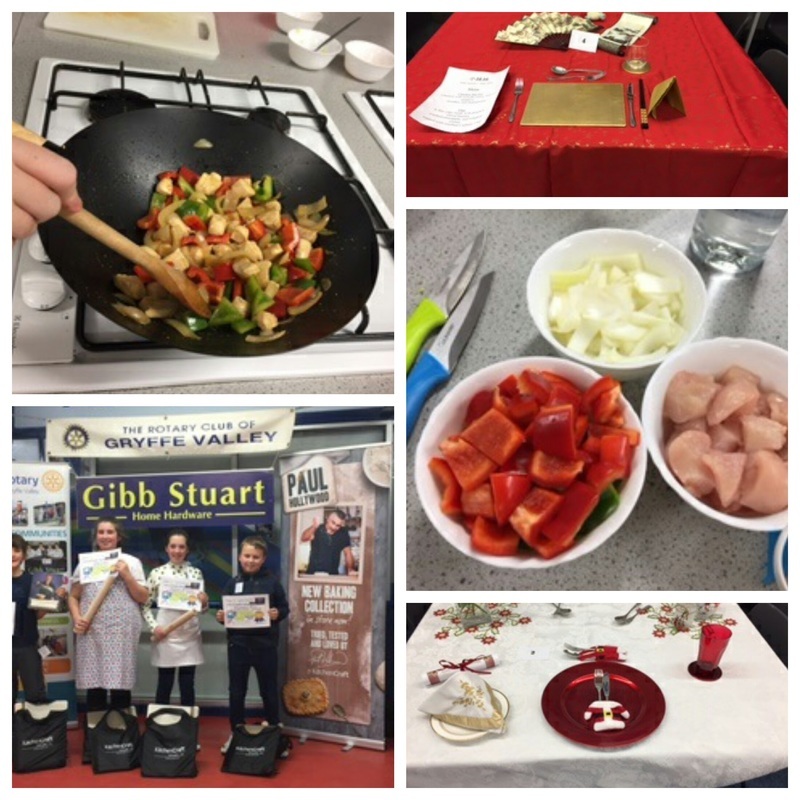 Friday 2 December - The HF&T Department were delighted to host this years Rotary Young Chef Competition. Well done to all who took part, especially to Amy Cooper who won runner up! Thanks again to Gibb Stuart for their fantastic prizes! Thursday 1 December -The DECEMBER NEWSLETTER has been uploaded and can be found under the 'News' tab, then 'Newsletters'. 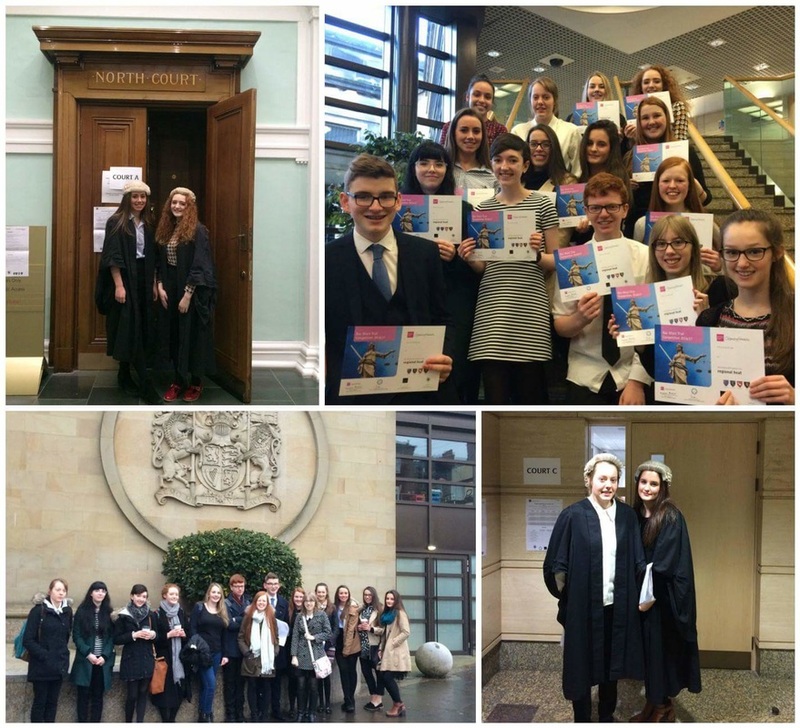 Saturday 26 November - 15 pupils took part in the Citizenship Foundations Mock Trial competition at Glasgow High Court. 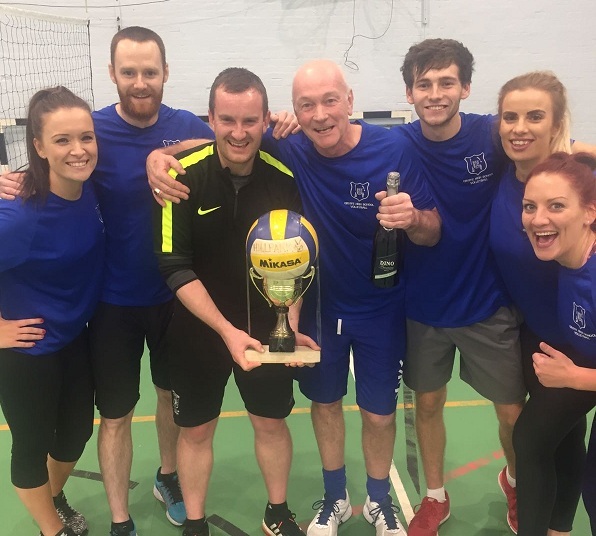 ​Friday 25 November - Gryffe staff win the prestigious Hillpark Volleyball Tournament, in a gathering of over 20 Secondary Schools from across the West of Scotland, beating Bishopbriggs Academy in a hard fought final. 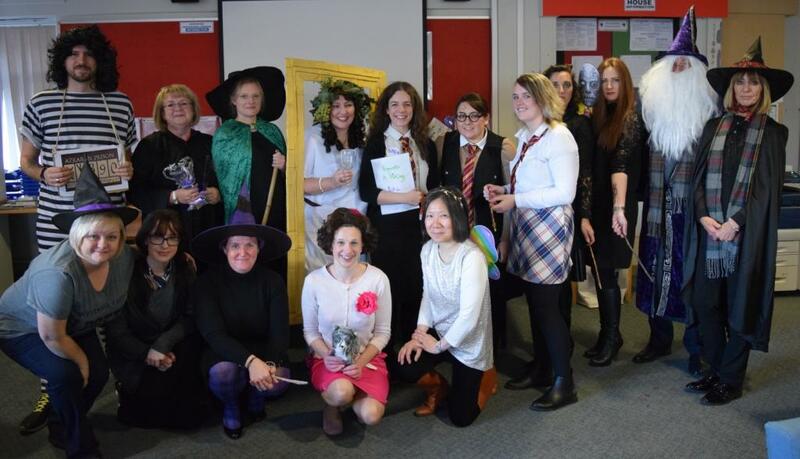 Friday 25 November - A nice end to Book Week with a Harry Potter themed day. Looks like some staff are taking this very seriously! 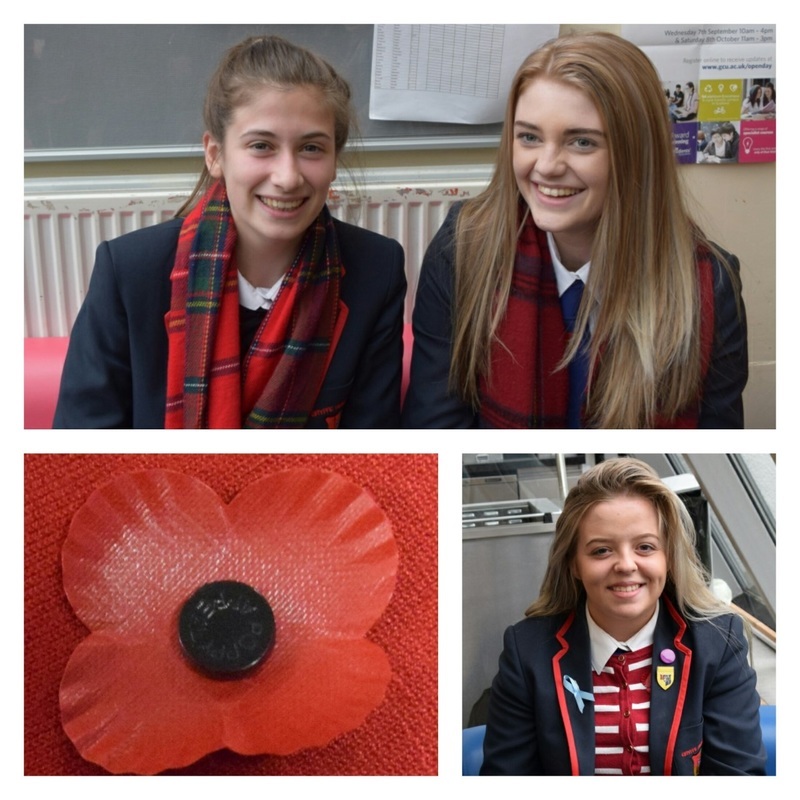 Friday 25 November - The NQTs (Newly Qualified Teachers) and student teachers have been busy lining up events for St Andrew's Day Celebrations. 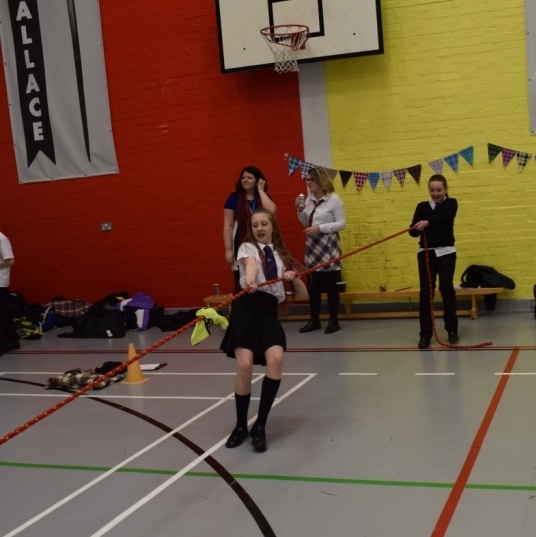 Today was Scottish themed day and pupils enjoyed Highland Games at lunchtime. 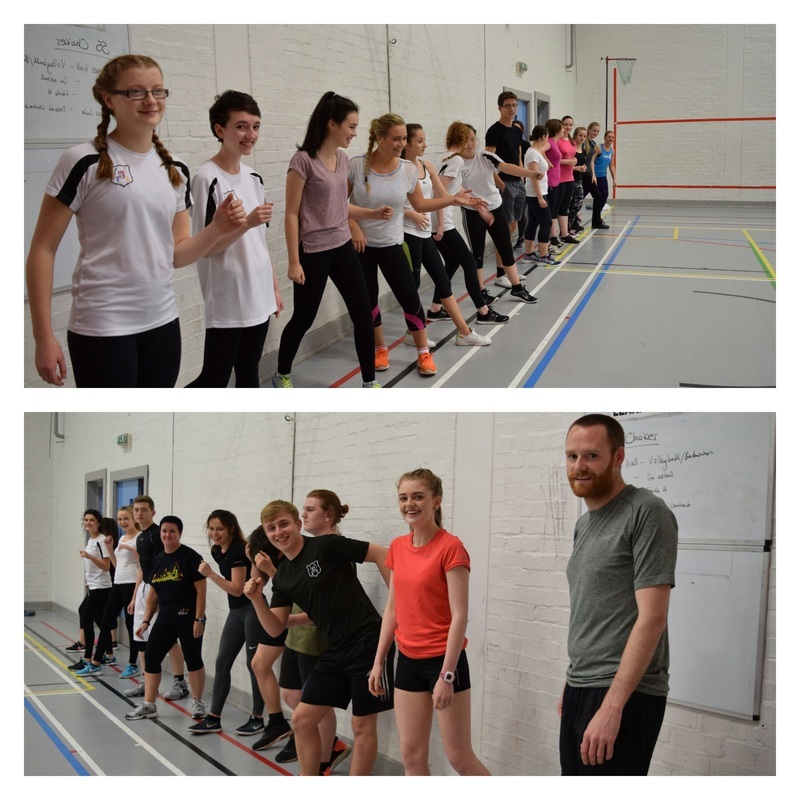 See the Gryffe Sports Twitter feed below for some more pictures. 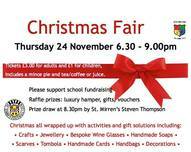 Thursday 24 November - There was something for everyone at the PTA Christmas Fair. Fantastic raffle prizes, bottle stall, home baking and an amazing array of Christmas Crafts. The choir and Christian on the guitar added to the Festive fun. Thanks to the PTA and everyone who put a tremendous effort into making a success of the evening. Thanks also to Steven Thompson. Thursday 24 November - These look good! 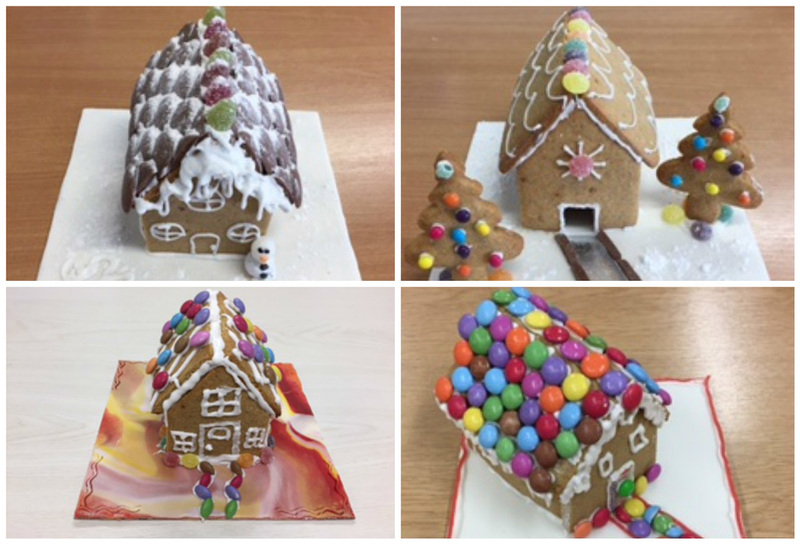 A selection of gingerbread houses from the SQA Practical Cake Craft pupils, who have recently completed one of two assignments based on Christmas Themes. 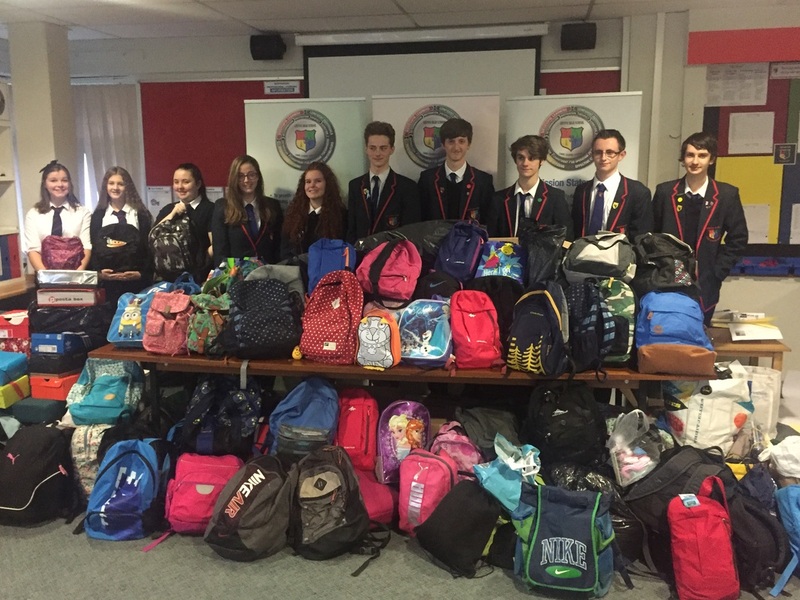 Tuesday 22 November - Amazing achievement from our school community - collecting hundreds of items to be sent to refugees through Re-Act Scotland. 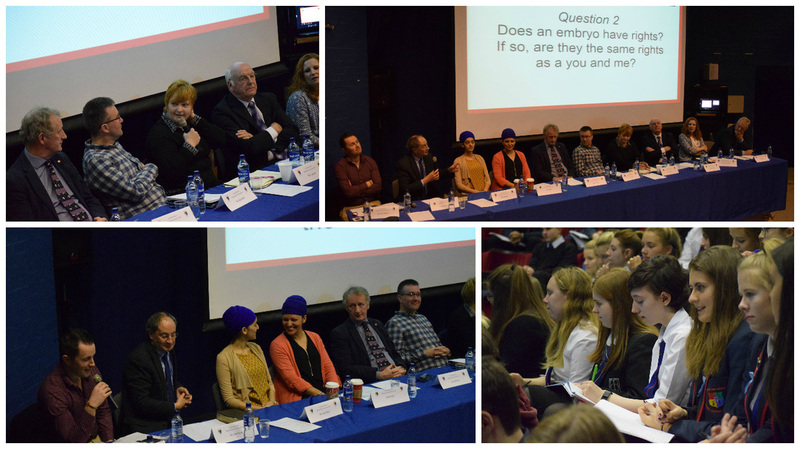 Monday 21 November - We welcomed a panel of experts to discuss a variety of questions about ethics and philosophy with our Higher RMPS and Biology pupils. Thank you to our guests. 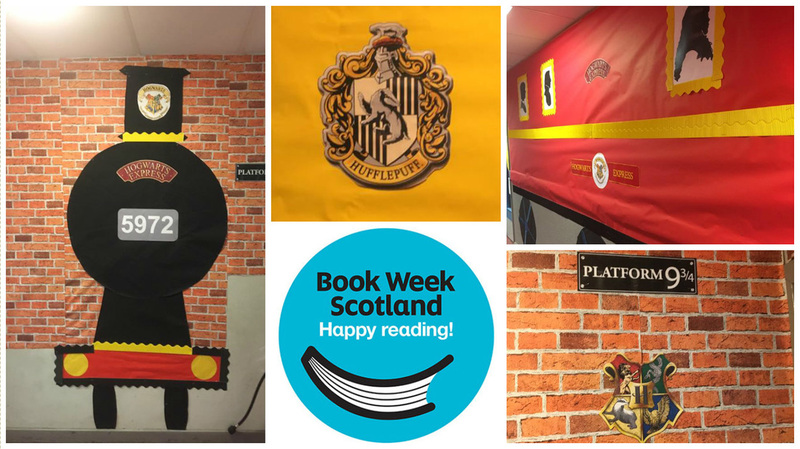 Monday 21 November - Can you tell that the English department are really looking forward to Book Week Scotland which starts today? All dressed up and ready to go to Hogwarts! Lots happening all week with a Quiz, Book sale, Bookbug and Harry Potter dress up day on Friday. 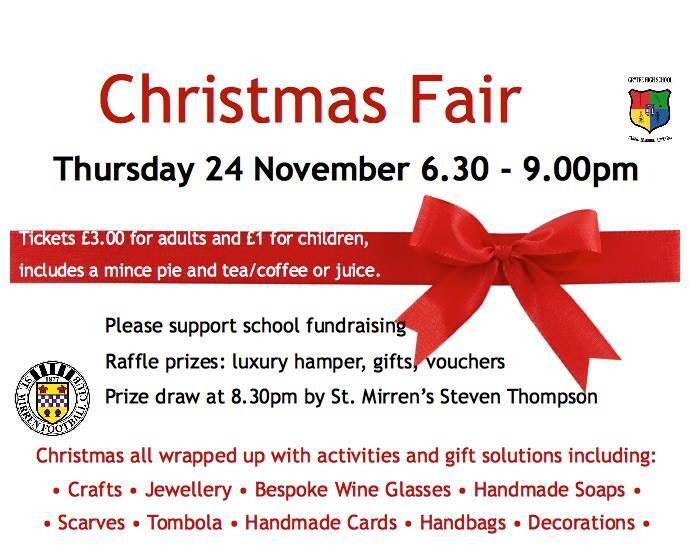 Please come along and support our PTA Christmas Fair on Thursday 24 November, 6:30 pm start. Click on the picture to enlarge. Tuesday 15 November - A group of 55 S3 geography pupils had a great morning at the IMAX cinema watching 'The Beautiful Planet'. Thank you to Intofilm Education for inviting us. 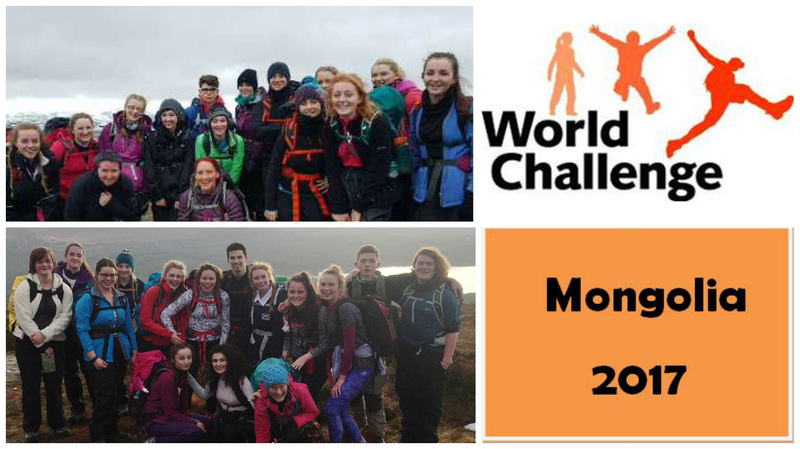 Monday 14 November - The World Challenge Teams braved the winter conditions at the weekend in Aviemore, as part of their build up for their expedition to Mongolia in June 2017. 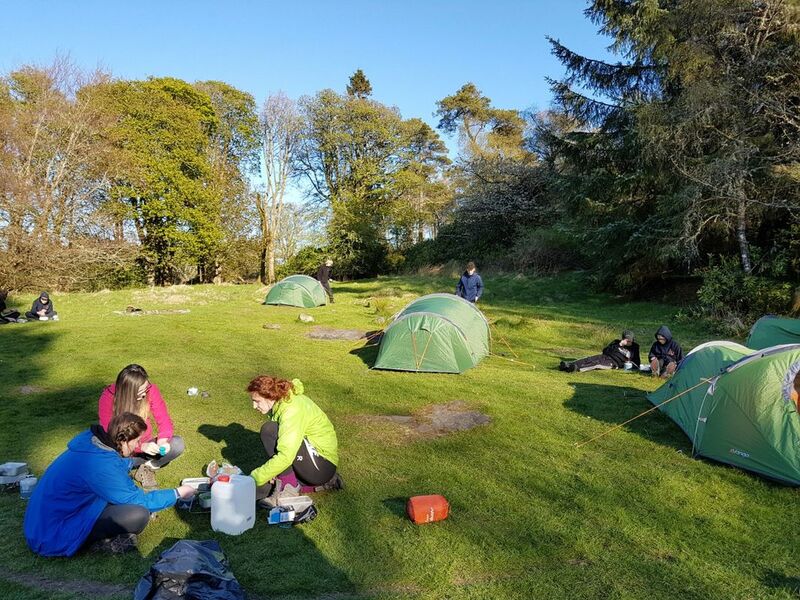 Teams camped overnight, climbed neighbouring hills and undertook a variety of team building activities aimed at preparing them for the challenges that they will face. More details to follow in the December newsletter. 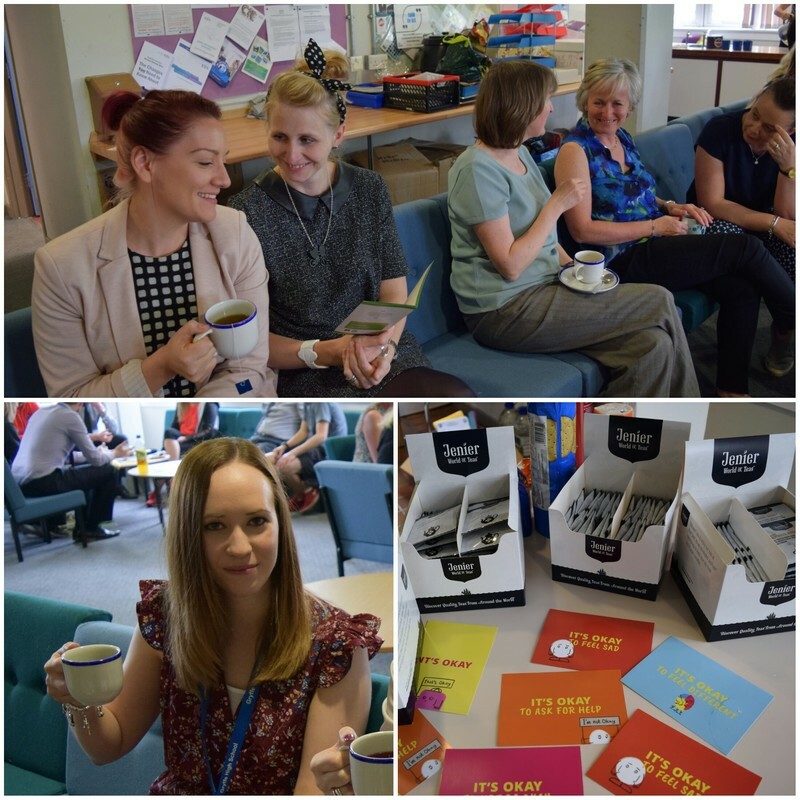 Friday 11 November - A very pleasant way to end a busy week with a delightful Community Fairtrade Afternoon Tea with the proceeds going to Rainbow Turtle. Parents, Pupils and Staff enjoyed a chat, some delicious homebaking and were even treated to the sound of the harp and guitar.